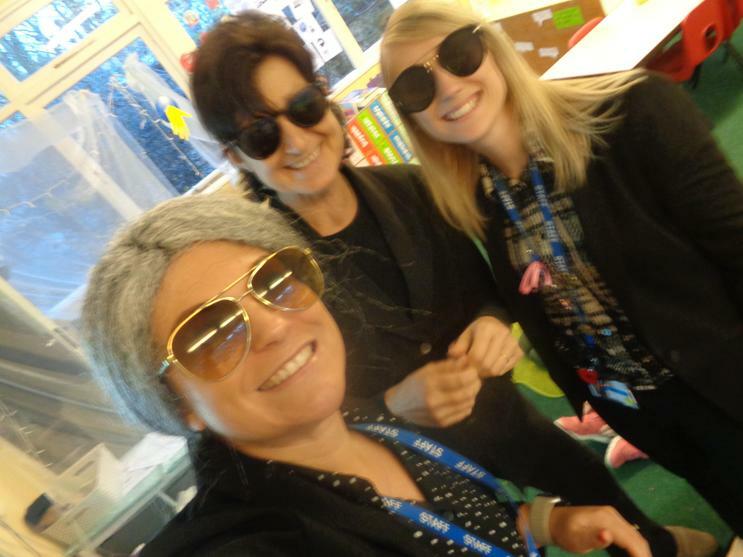 Mrs Orme, Mrs Copestake, Mrs Lakin and Miss Milward are looking forward to the following year and hope that we can enjoy a happy and productive school year. 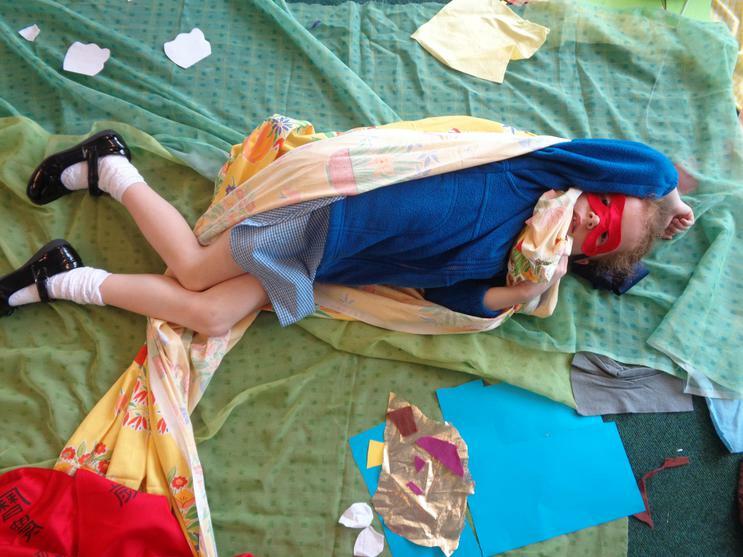 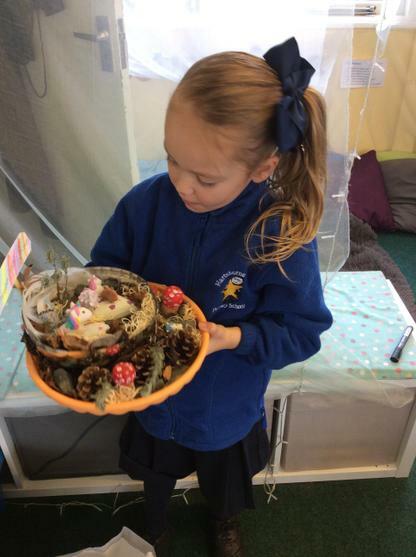 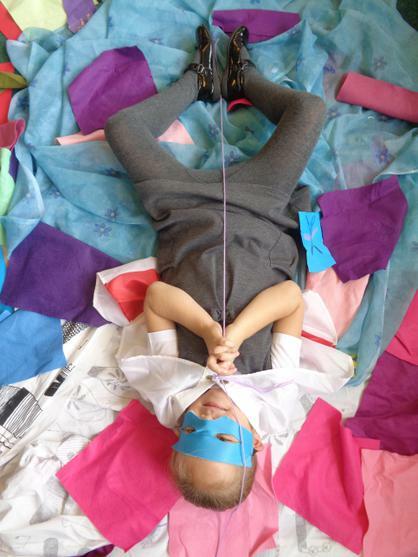 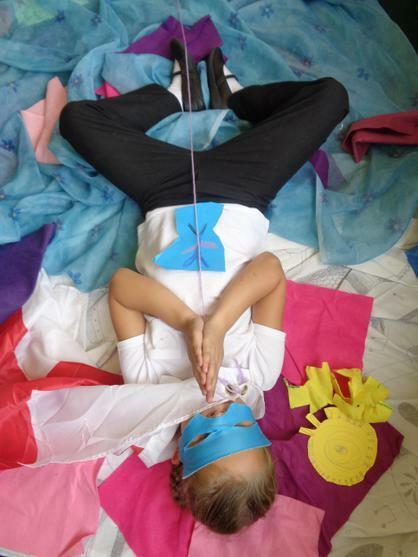 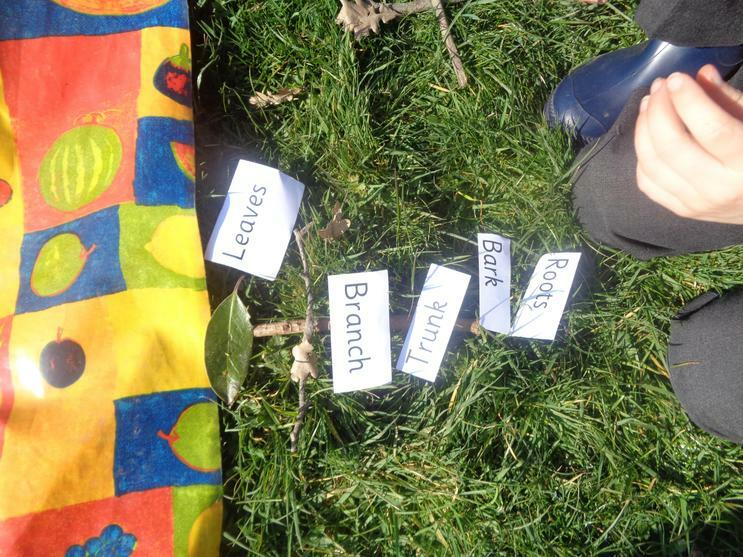 Our topic this half term is Enchanted Woodland! 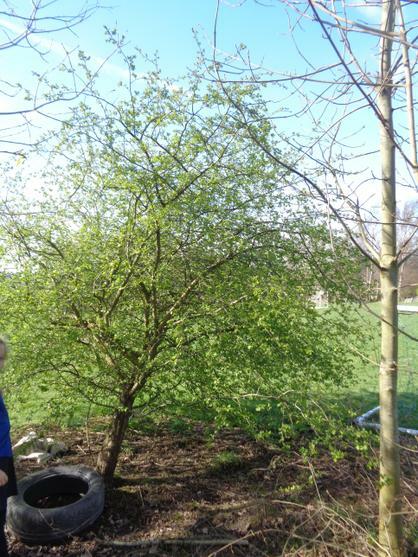 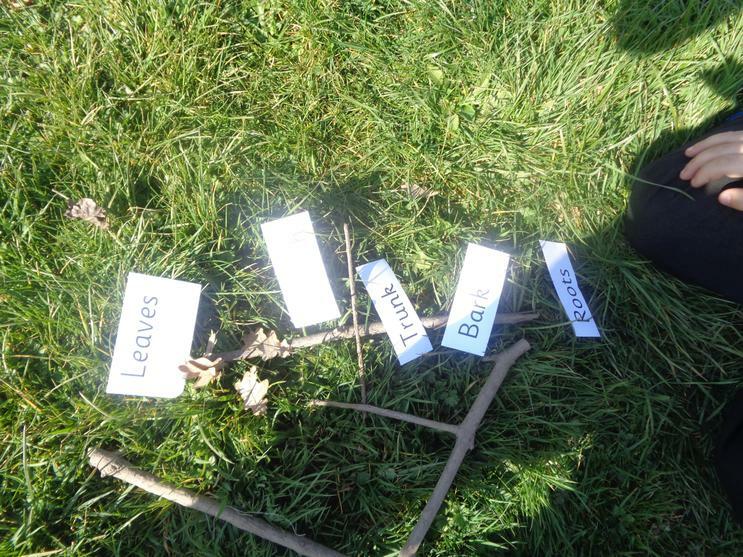 We will be learning about different trees and plants. 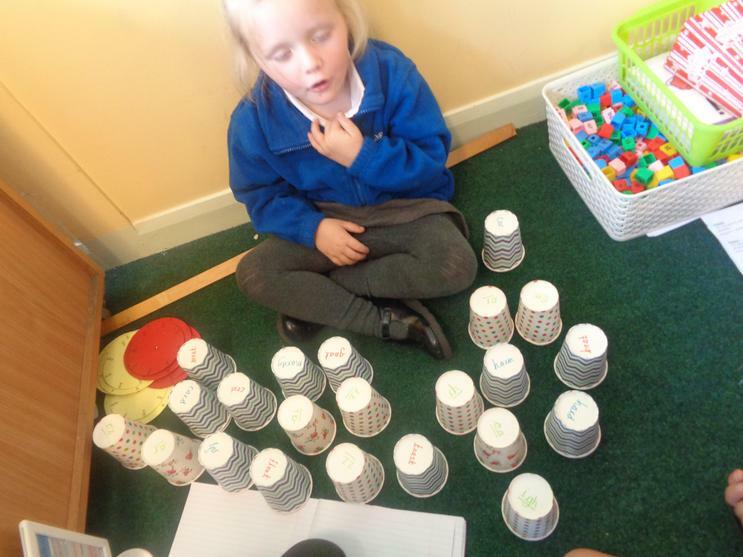 Feel free to have a look at what we have been learning. 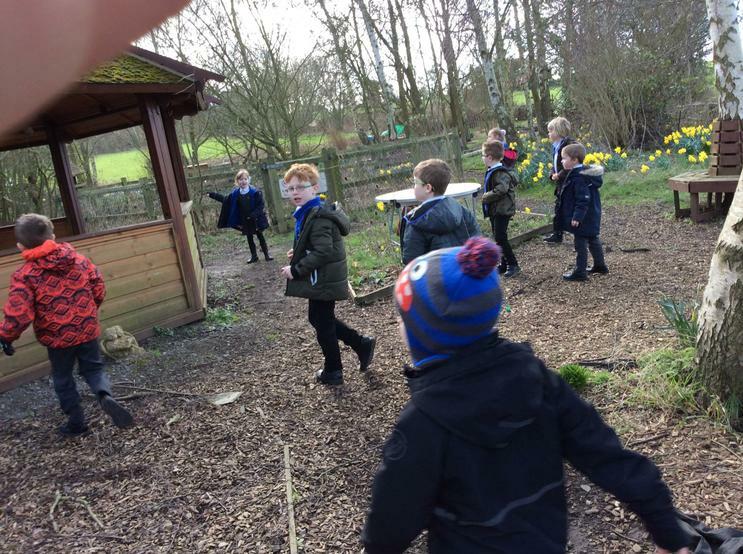 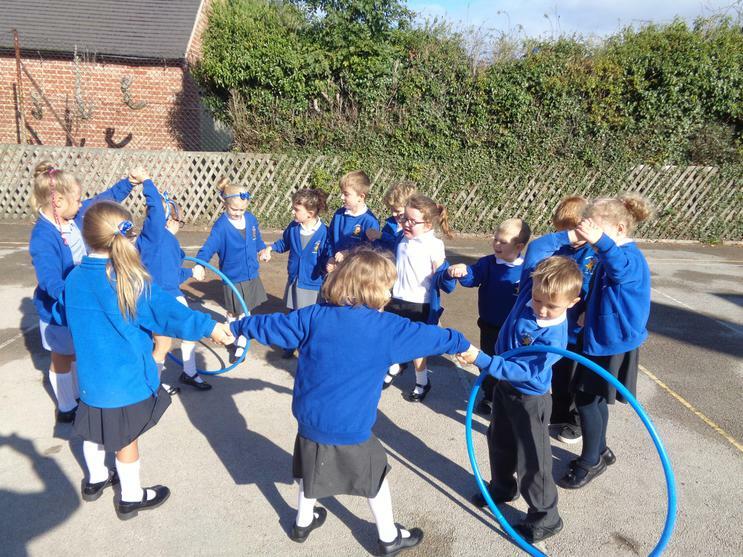 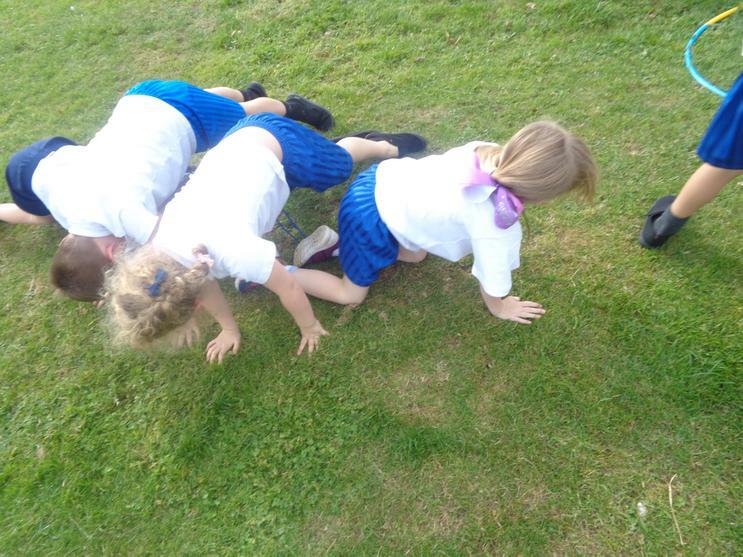 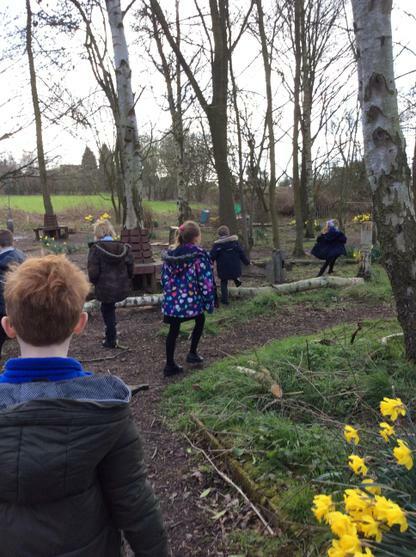 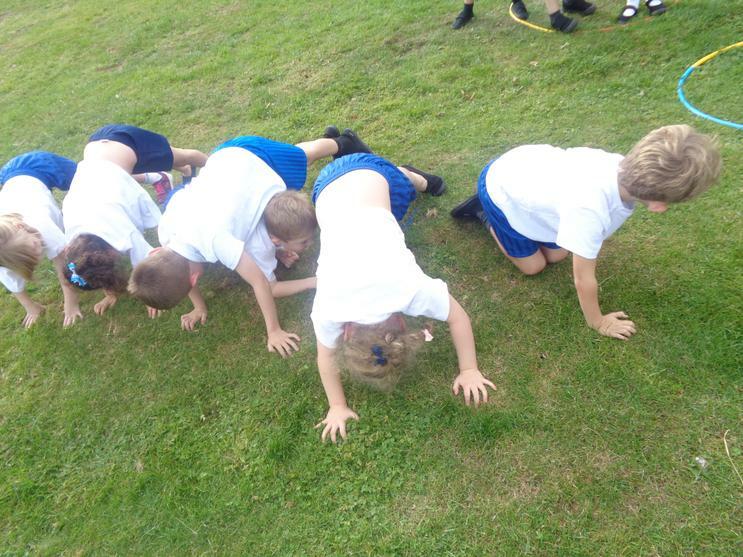 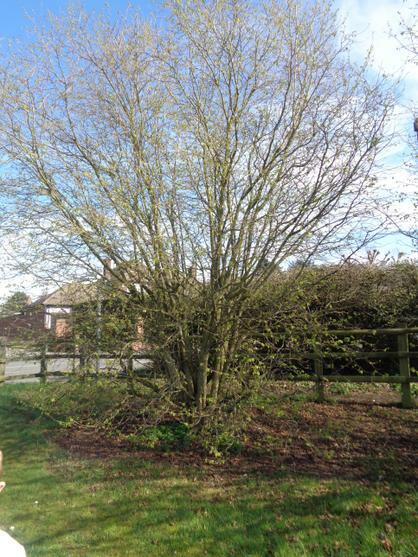 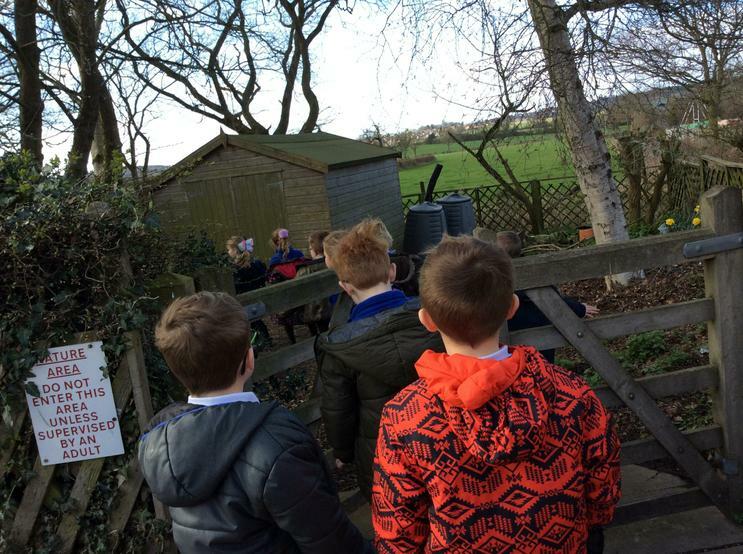 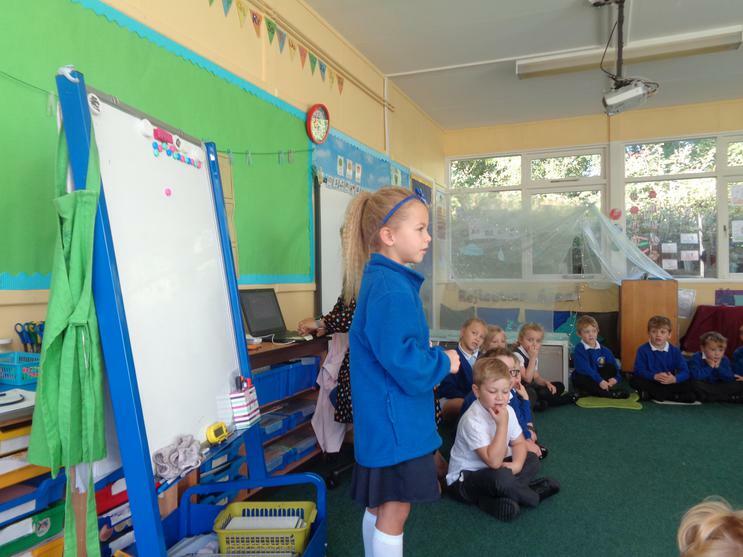 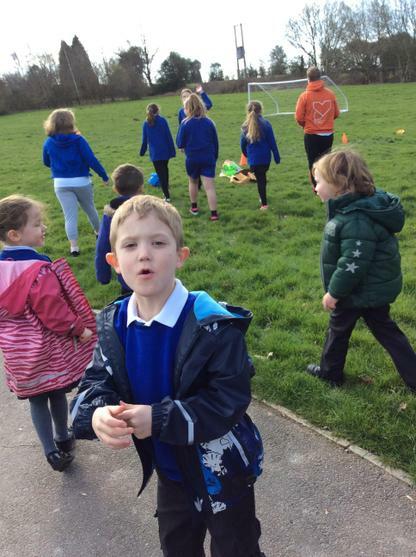 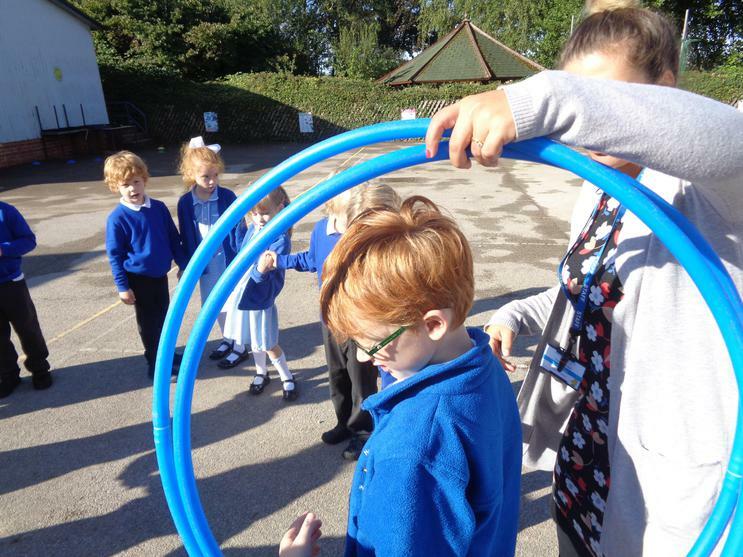 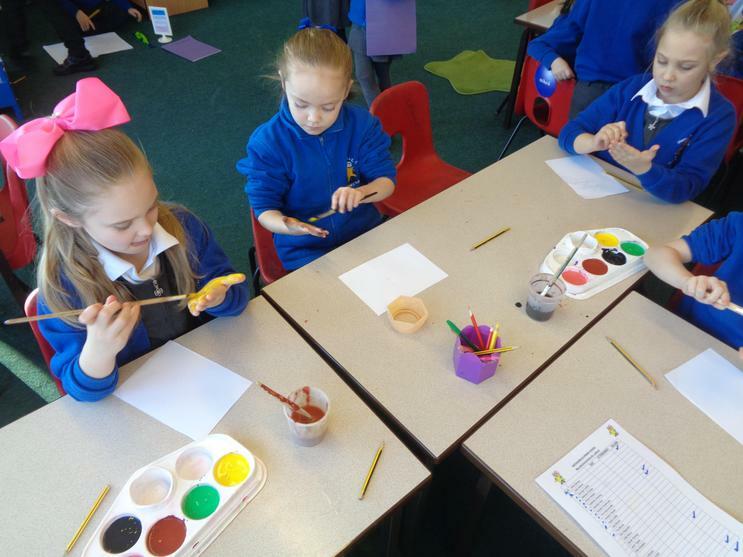 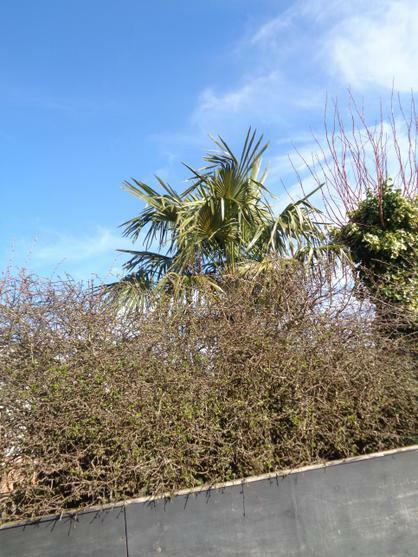 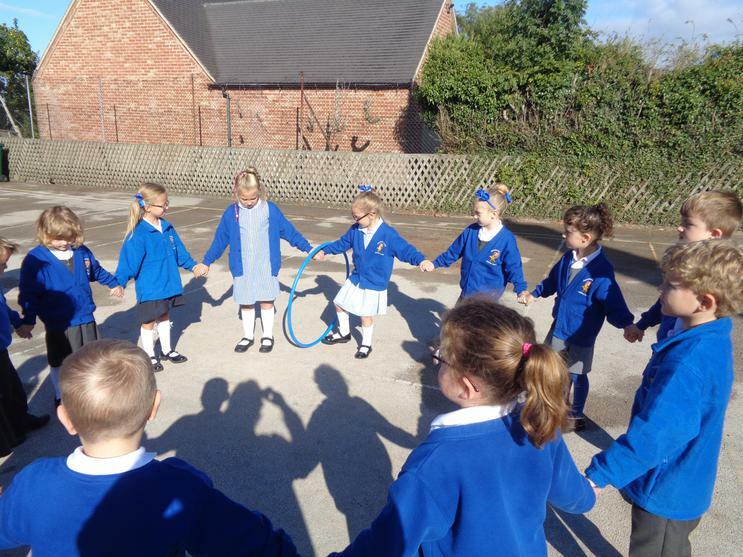 Muddy Monday will take place every Monday, children are asked to come to school in their normal school uniform and will then change ready for outdoor learning in the afternoon. 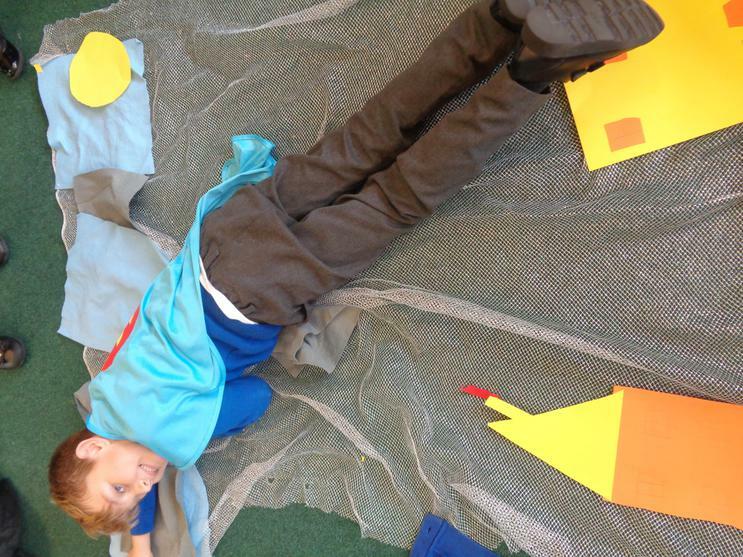 The wolf has been murdered.... but who was it?????? 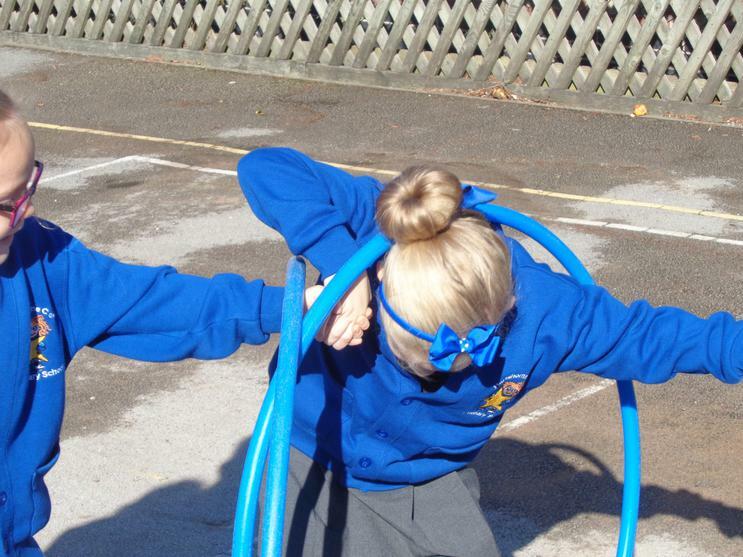 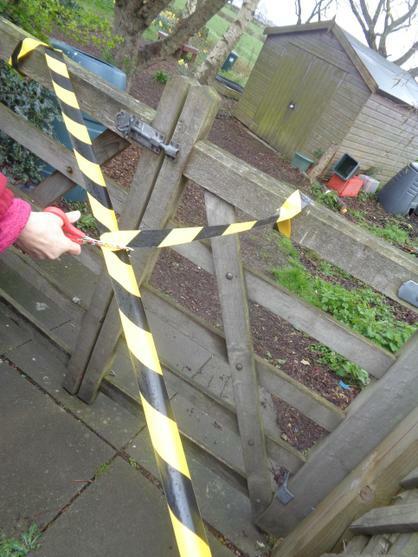 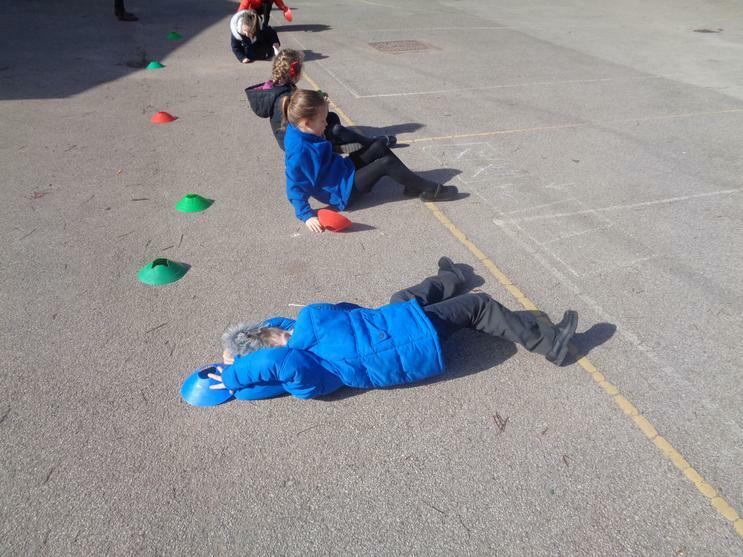 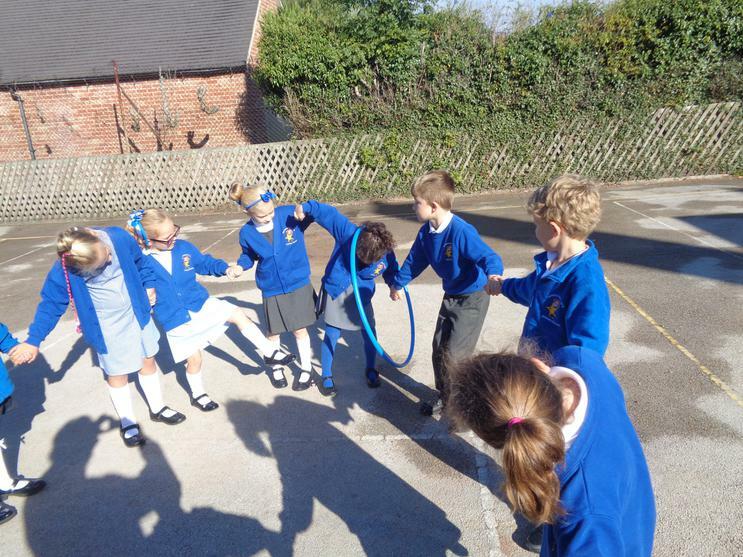 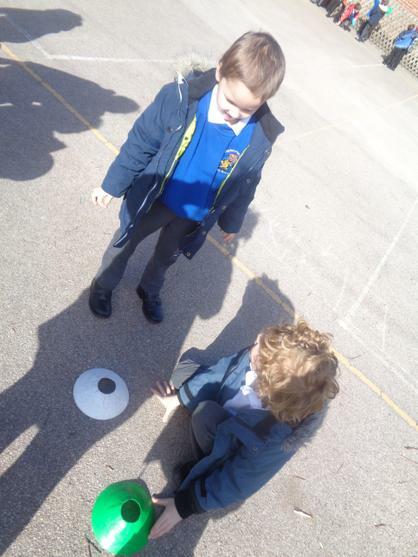 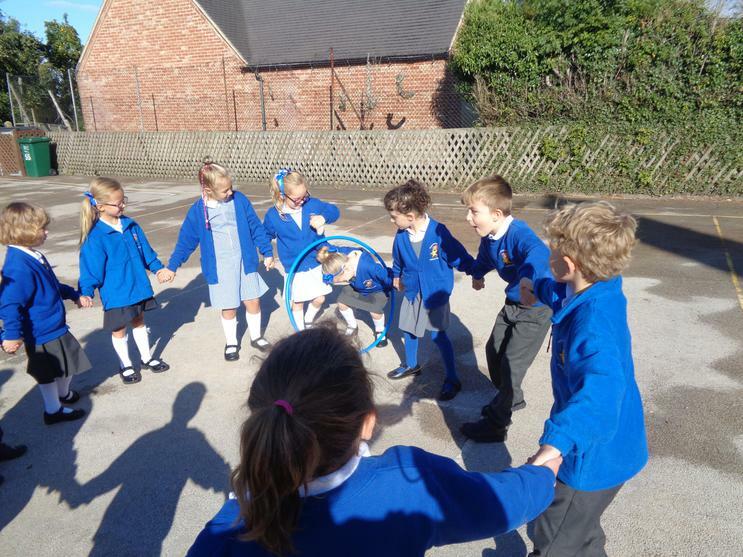 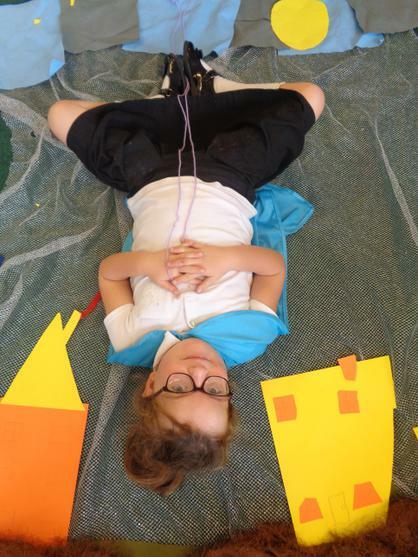 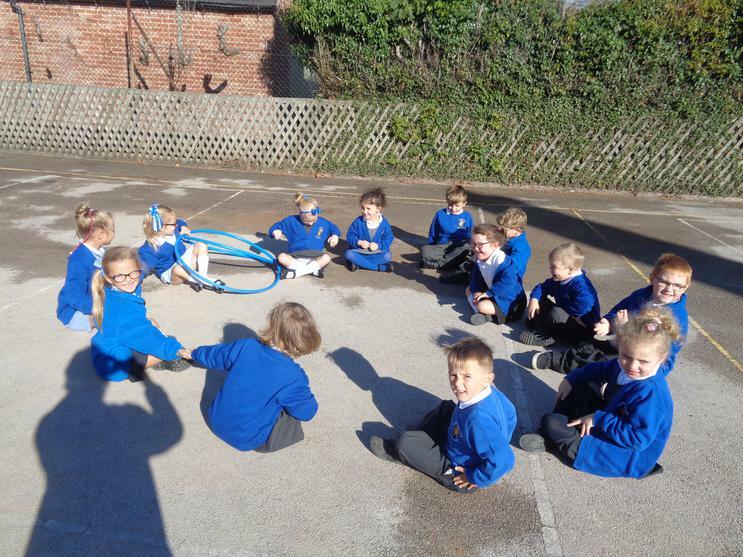 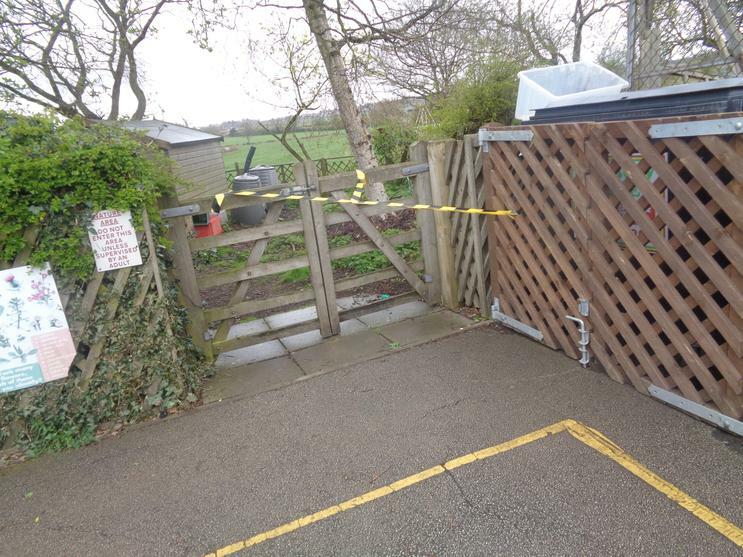 On Monday Willow Class spotted some strange tape on the KS2 playground so we decided to have a look. 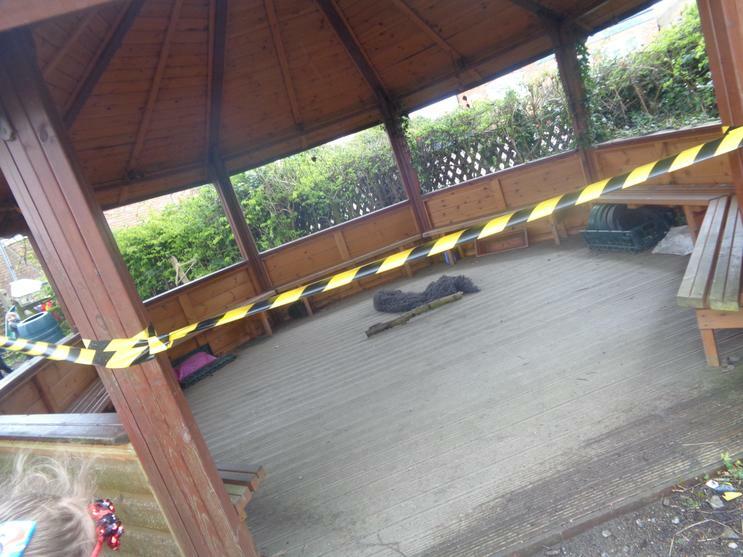 Inside the outdoor classroom was a dead wolf. 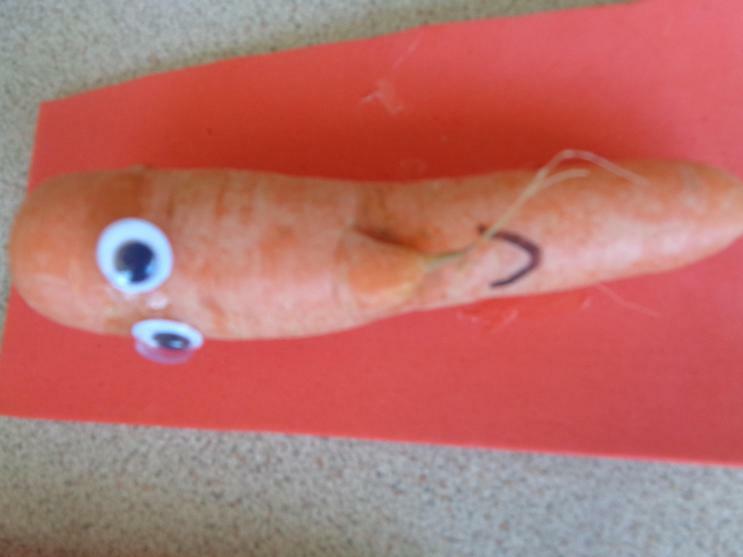 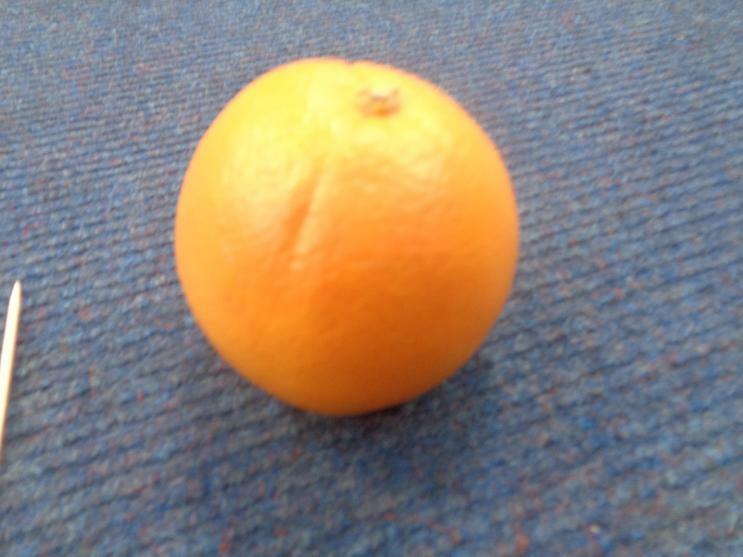 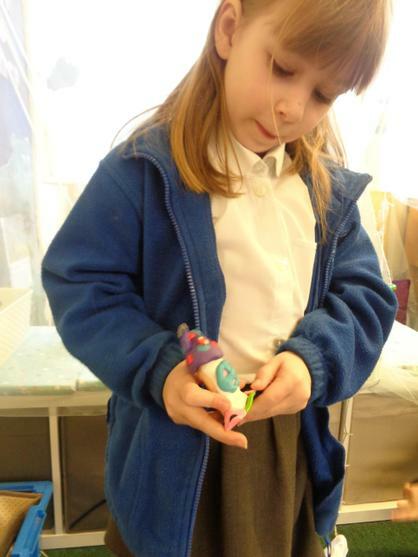 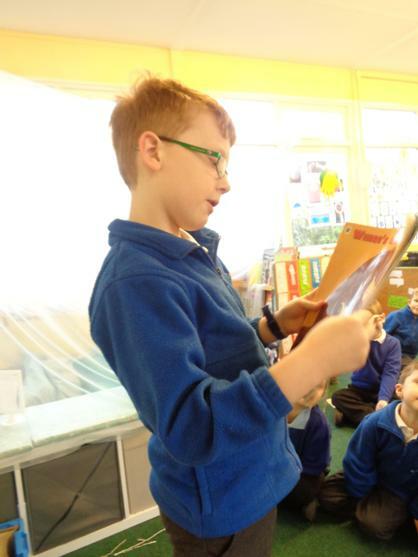 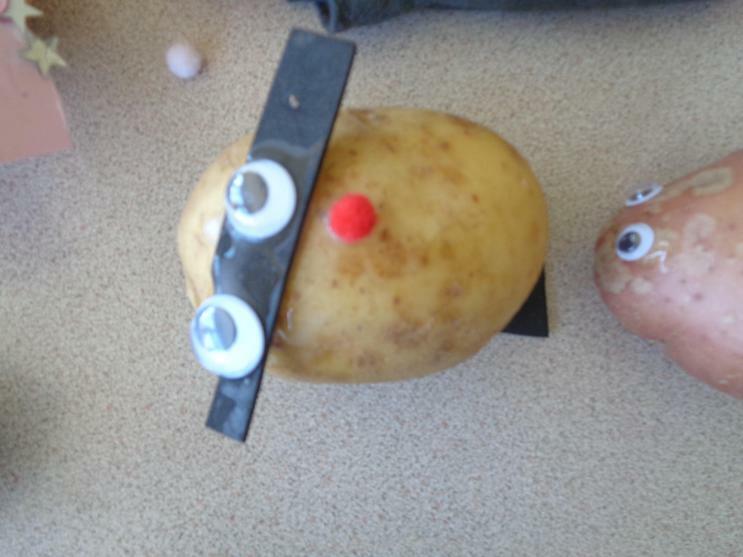 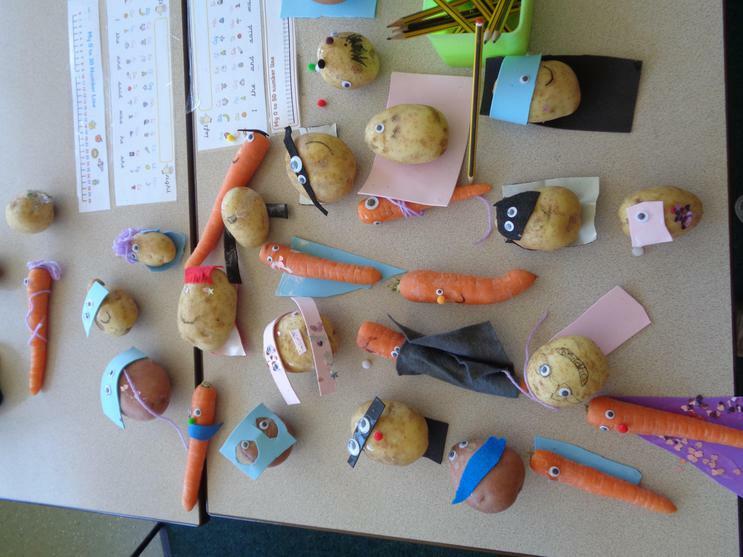 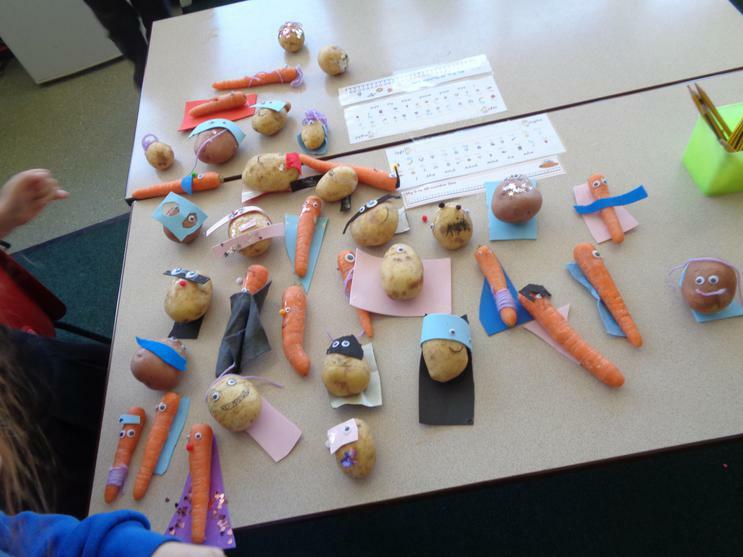 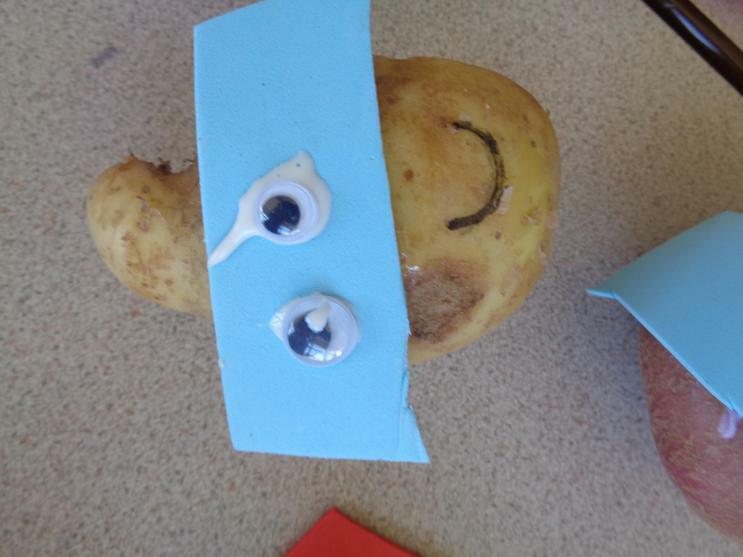 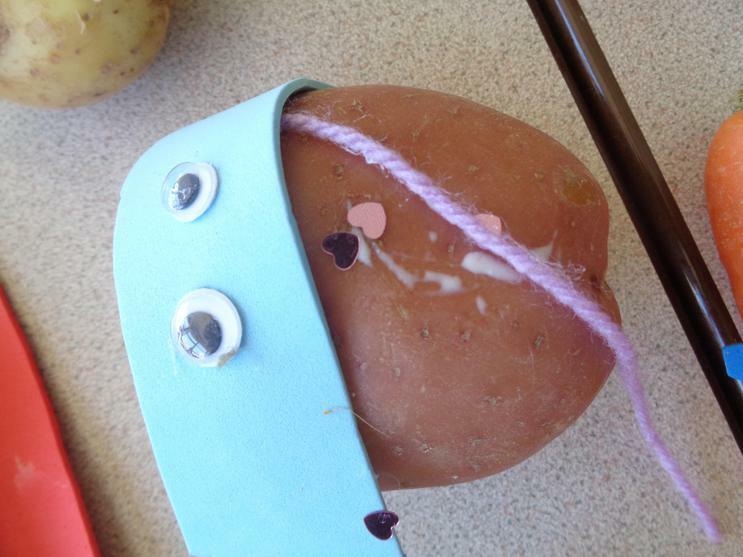 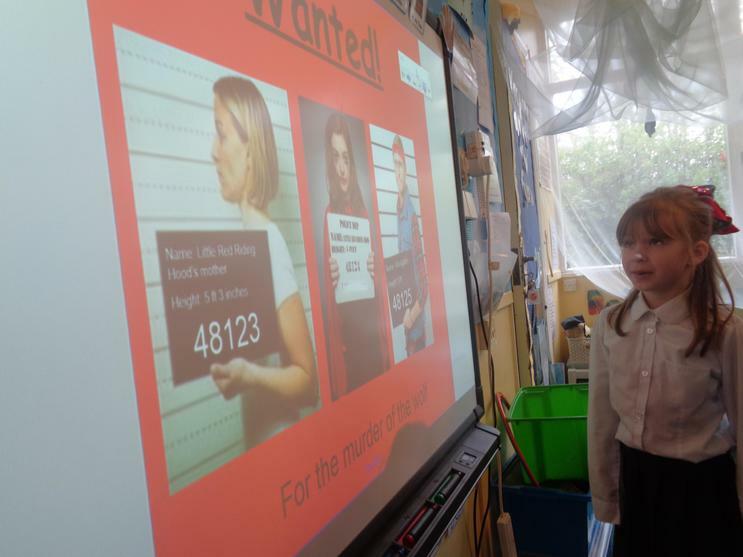 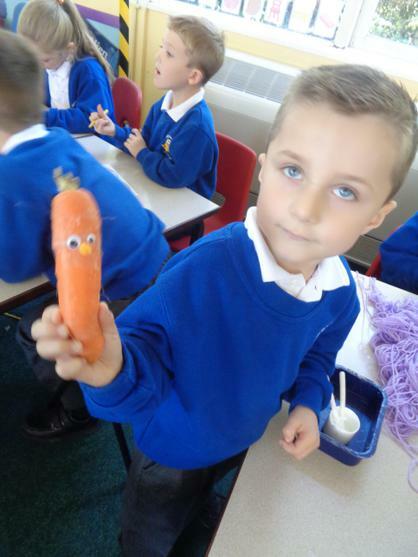 We were extremely shocked but when we came back into the classroom we found a WANTED posted. 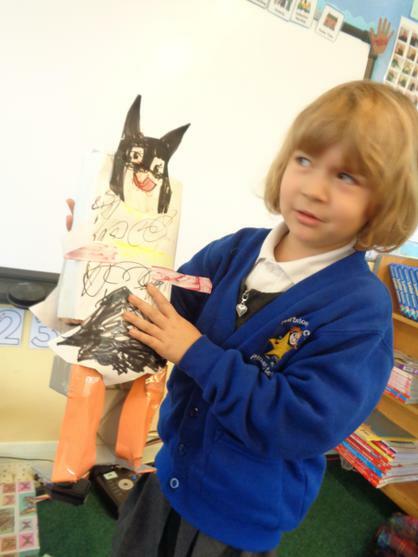 Was it Little Red Riding Hood, the Woodcutter or Little Red Riding Hood's mother that had murdered the wolf????? 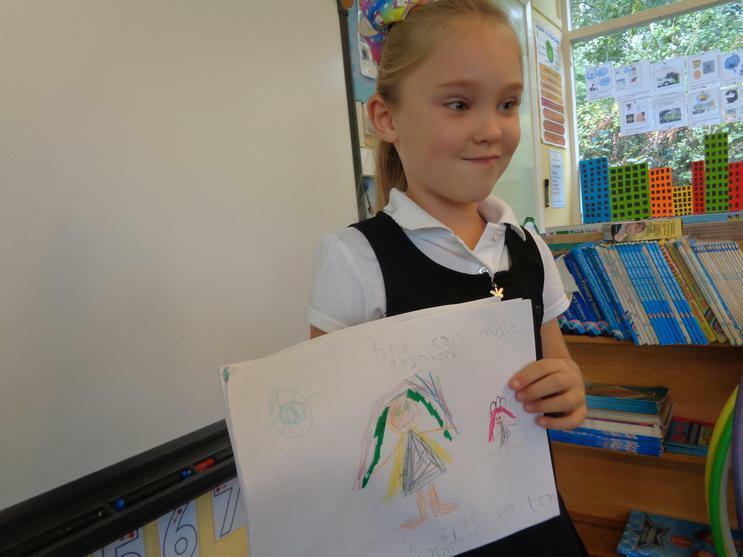 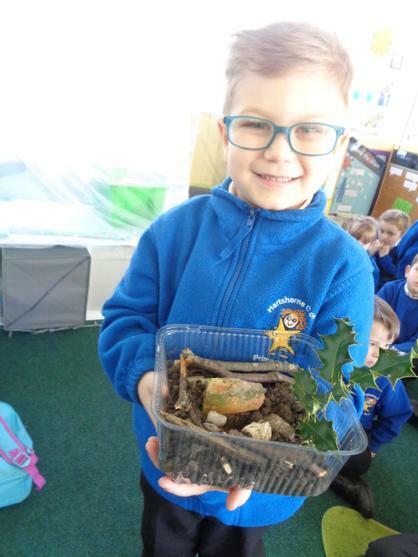 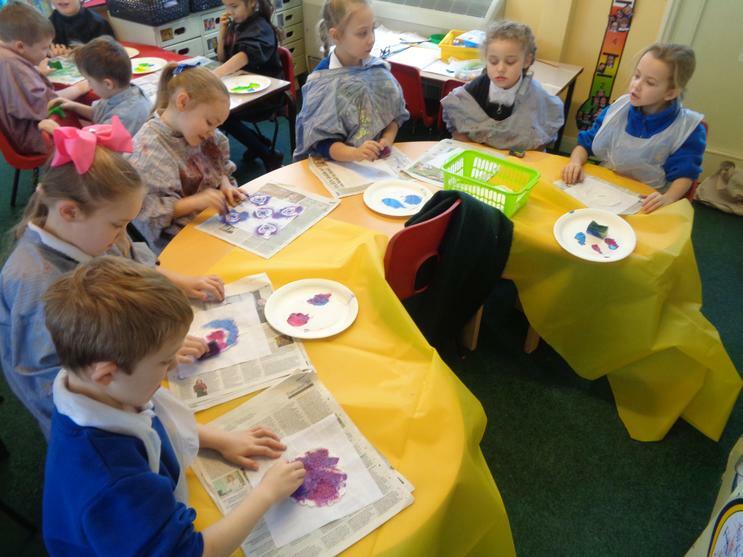 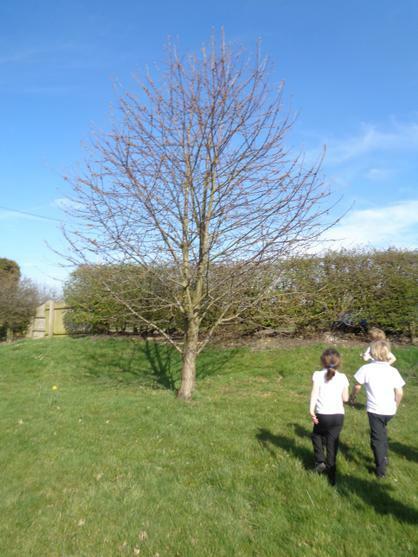 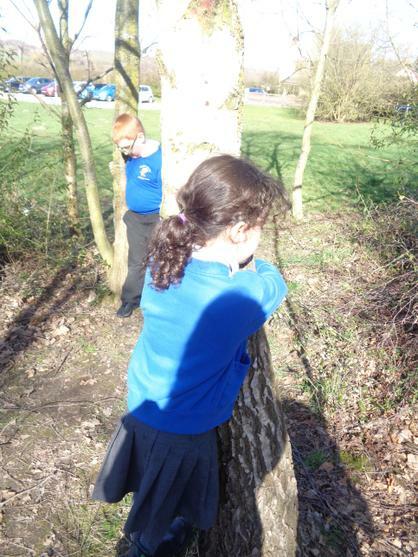 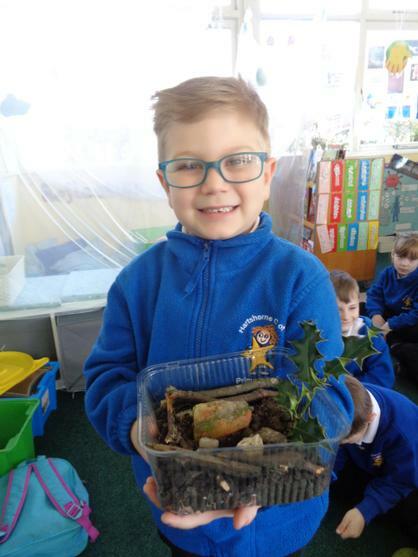 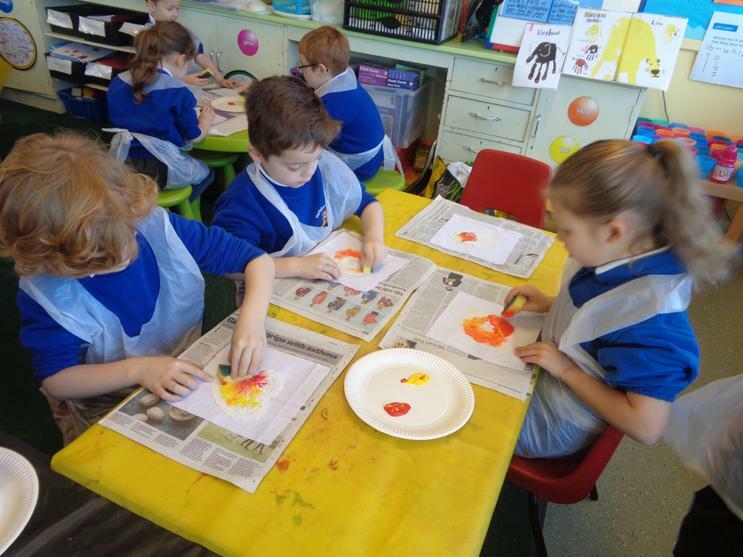 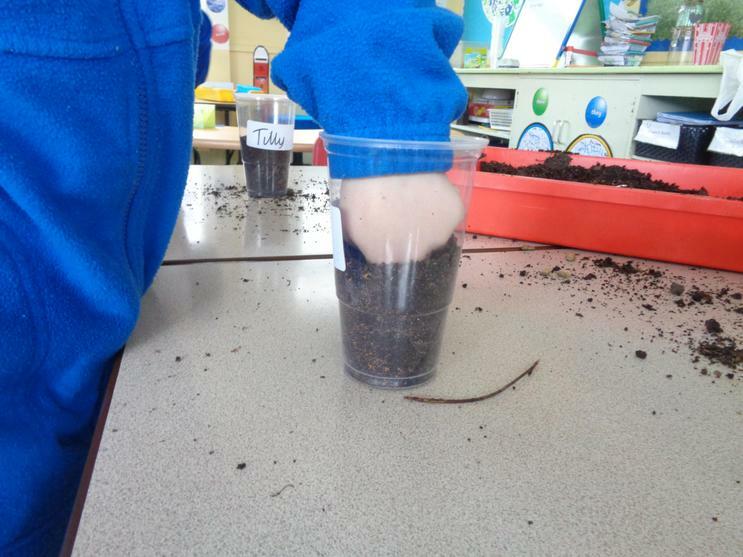 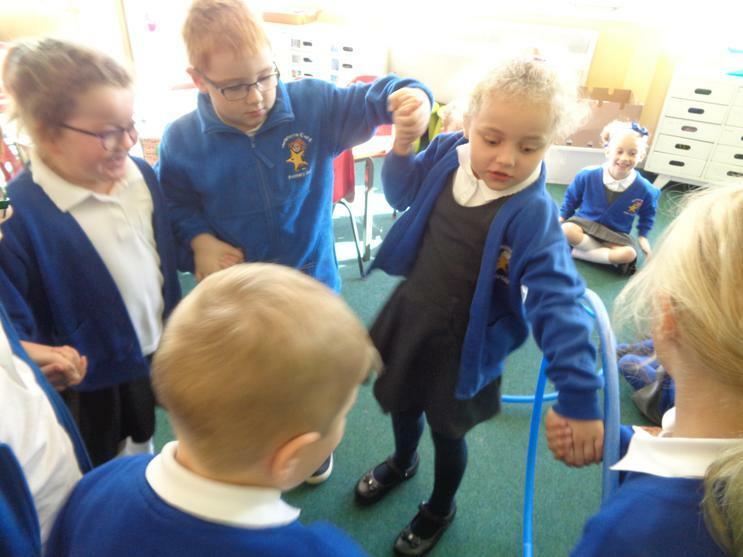 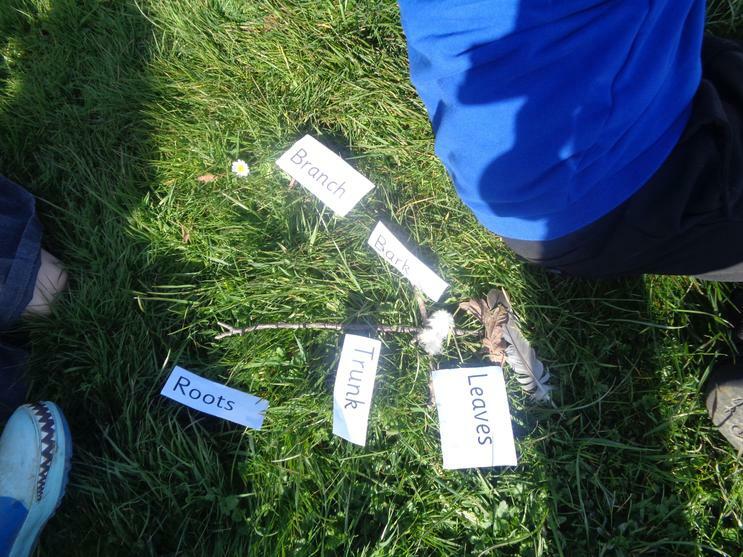 In science, we have been learning about why trees and plants have roots, a stem, a trunk and leaves. 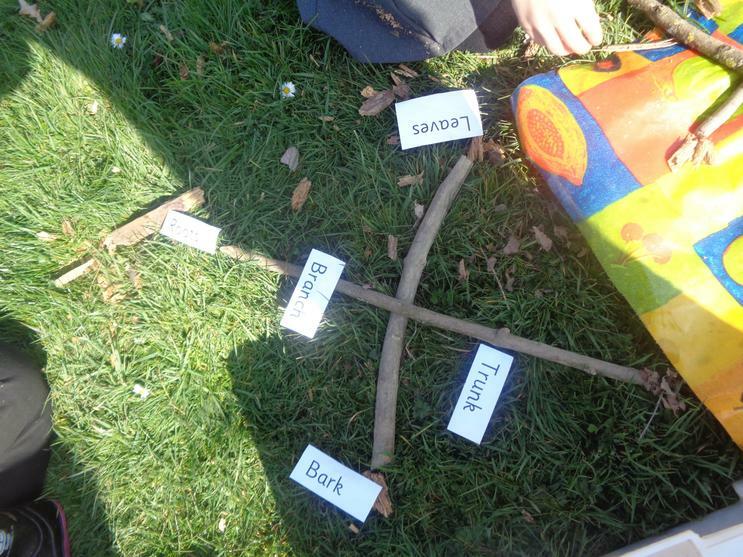 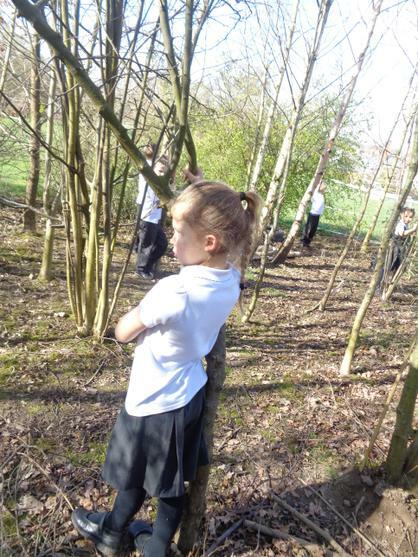 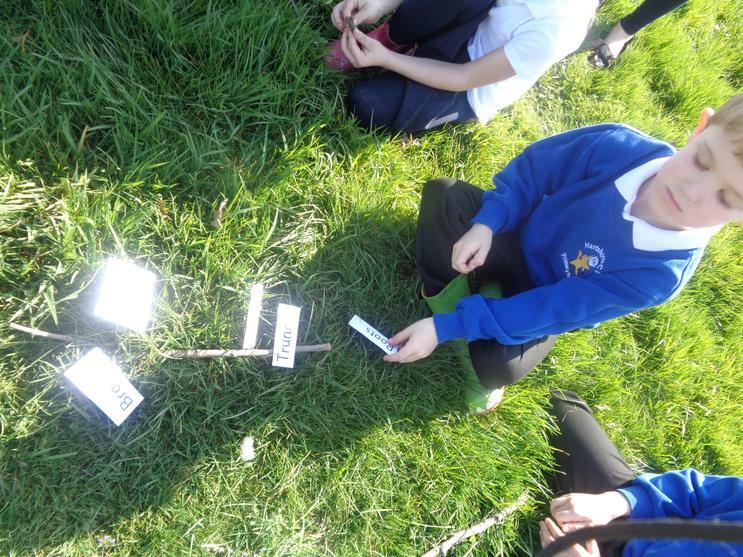 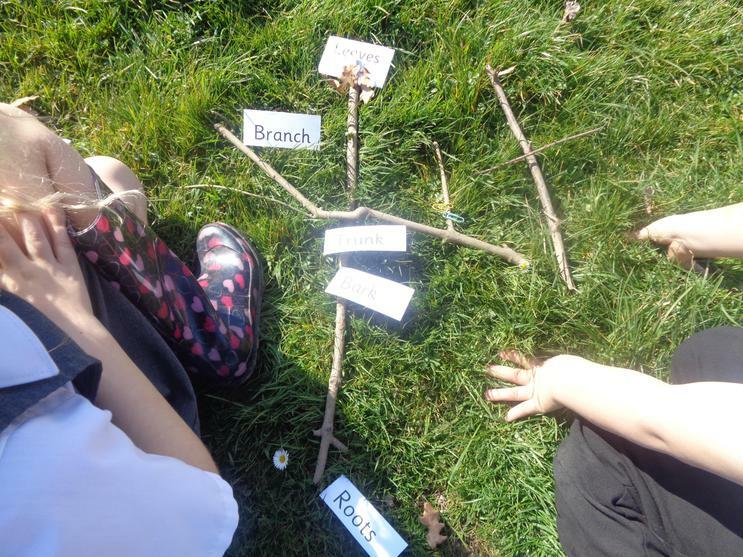 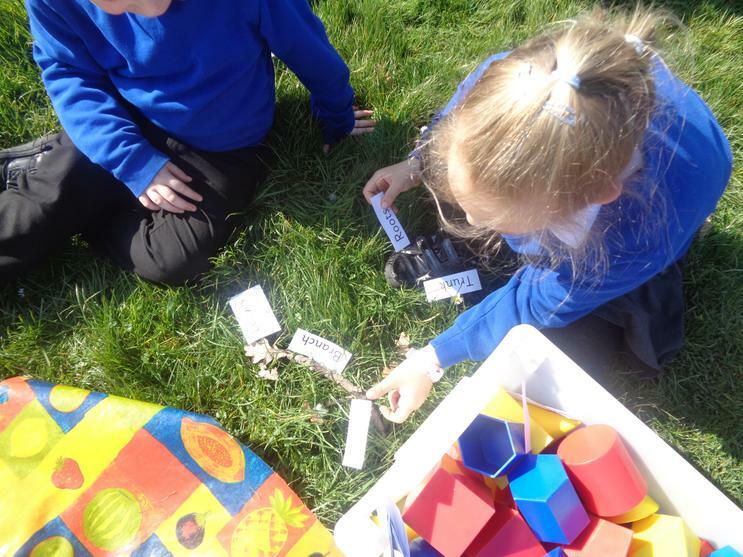 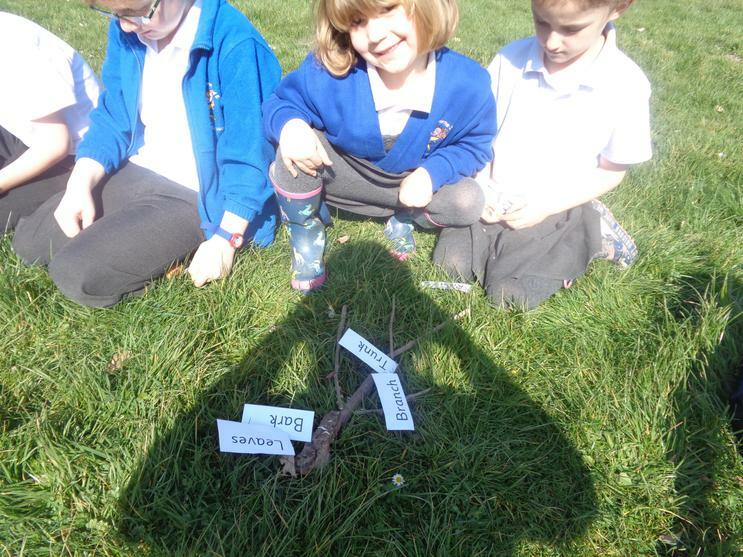 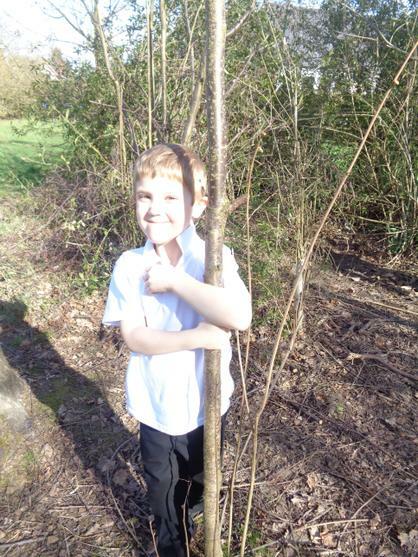 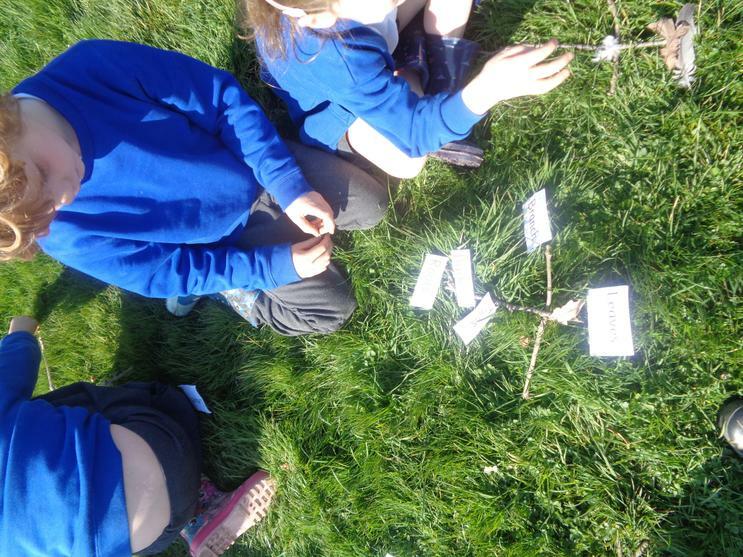 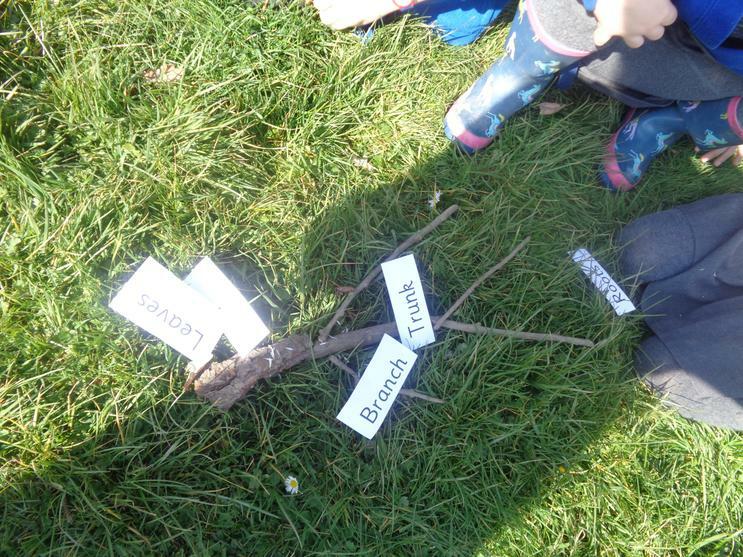 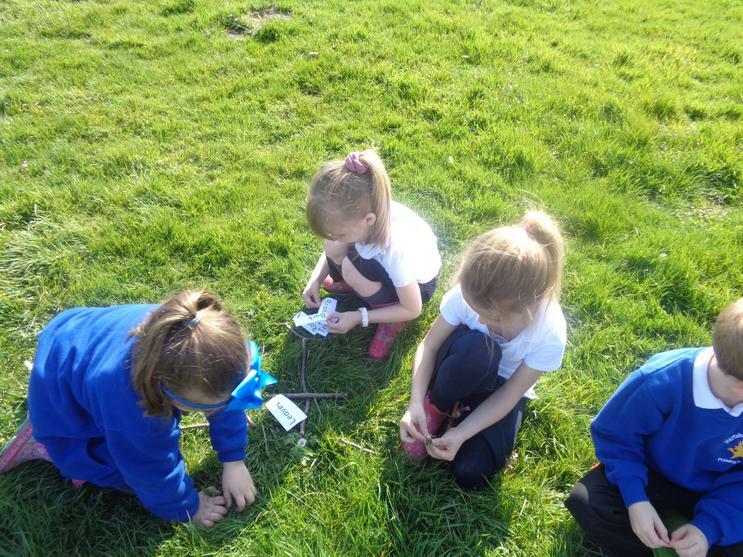 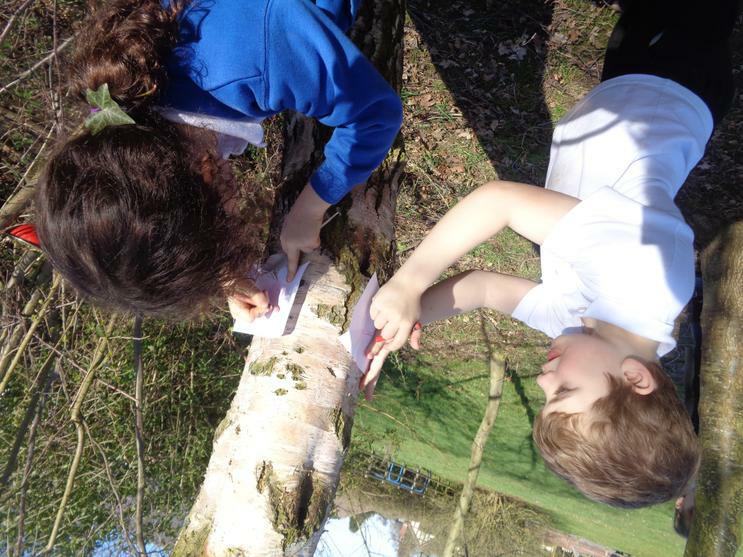 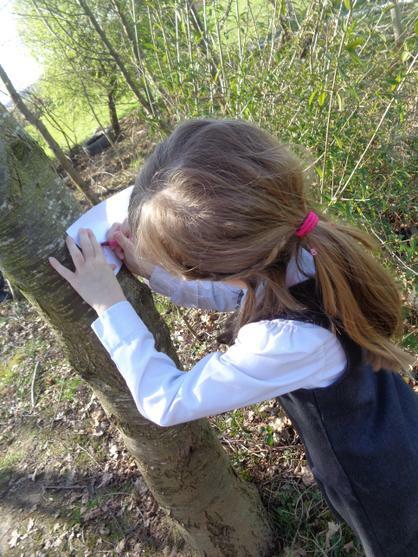 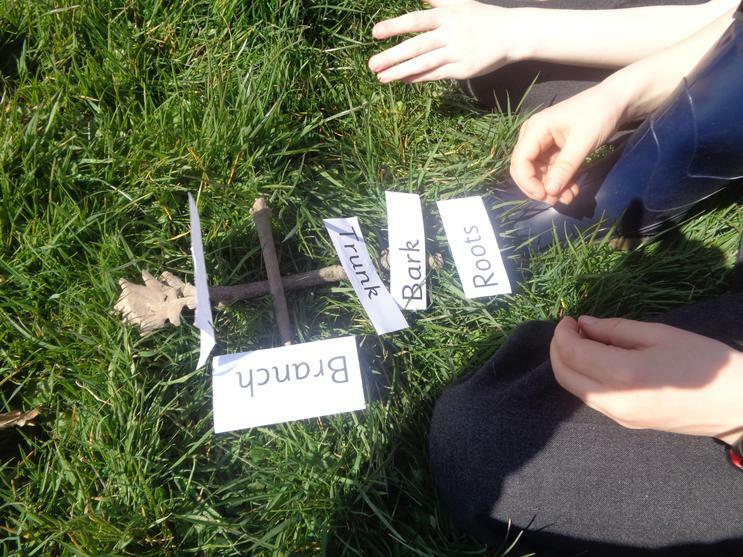 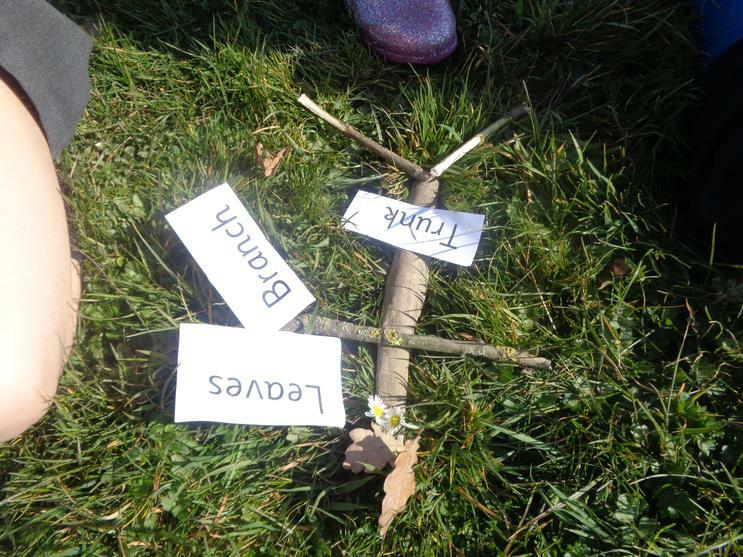 On Friday we made trees and plants using natural resources then labelled them. 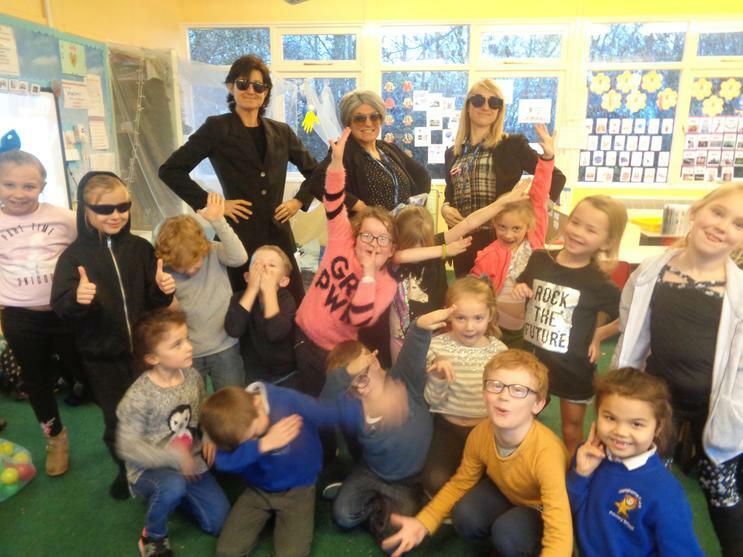 What a wonderful time we had with Mrs Copestake and Mrs Lakin! 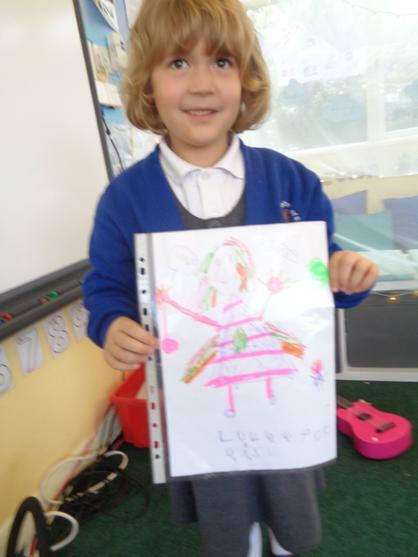 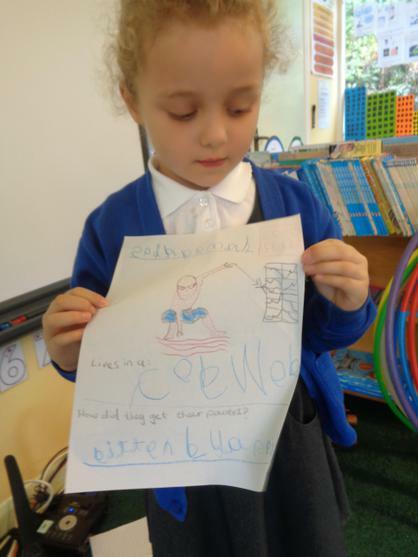 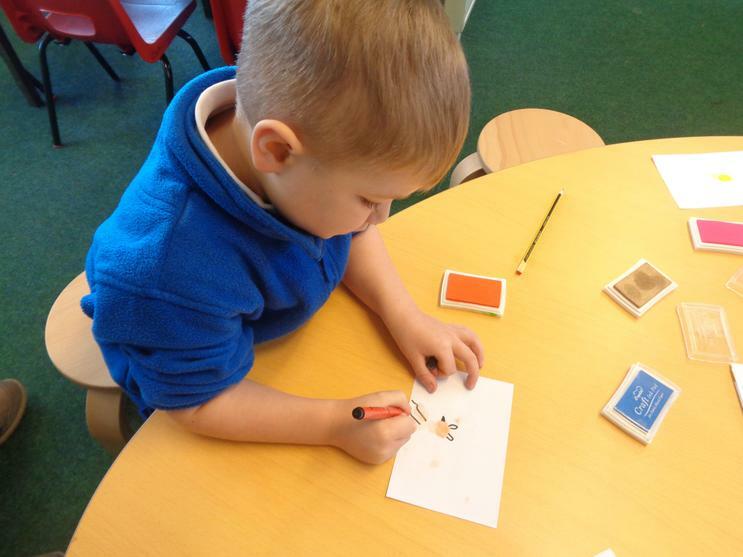 Today in Willow Class, we received a letter. 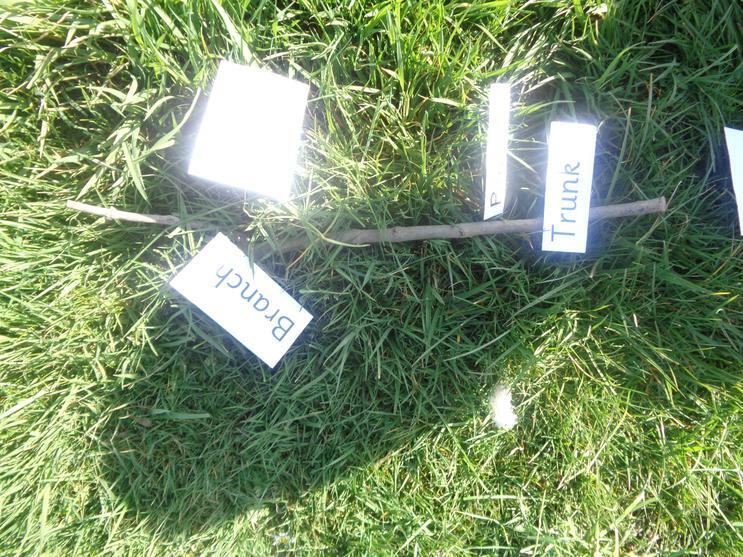 It contained a riddle about a unicorn so we decided to go on a hunt. 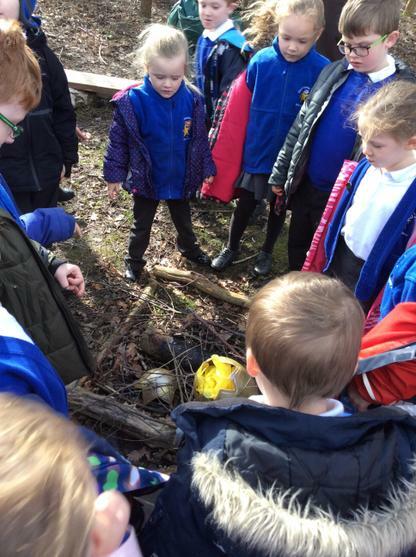 We searched everywhere! 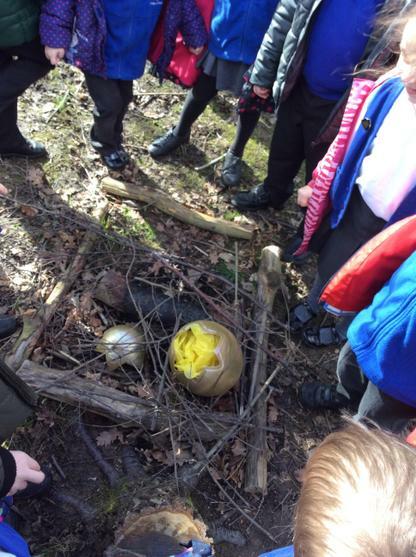 Eventually we found a golden unicorn egg. 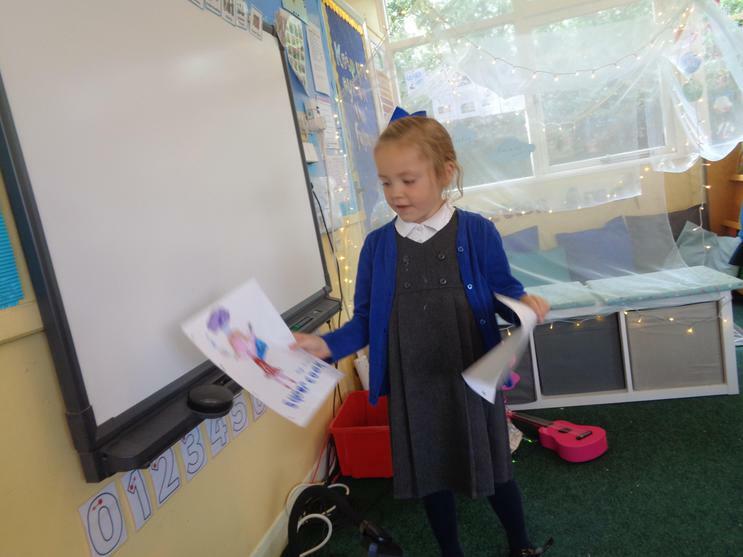 When we arrived back at the classroom, another letter had arrived explaining all the interesting facts about a Storm Unicorn. 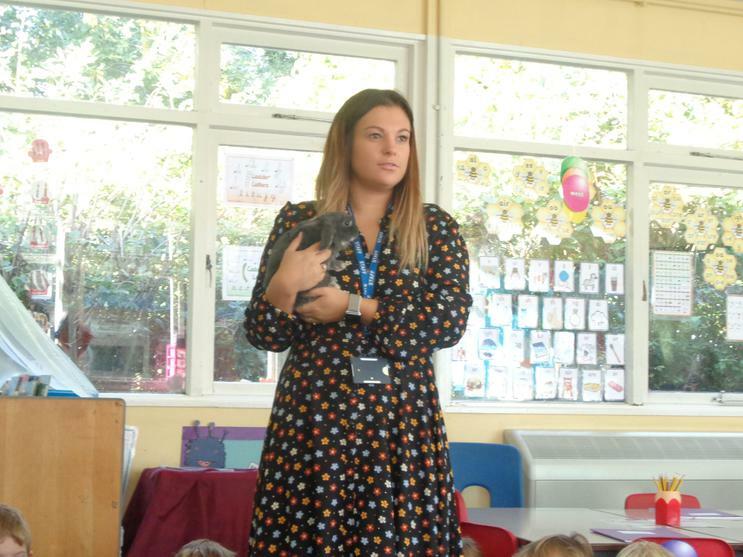 Thank you to the wonderful Fire Safety Officer that visited Willow this week (WC 4.3.19). 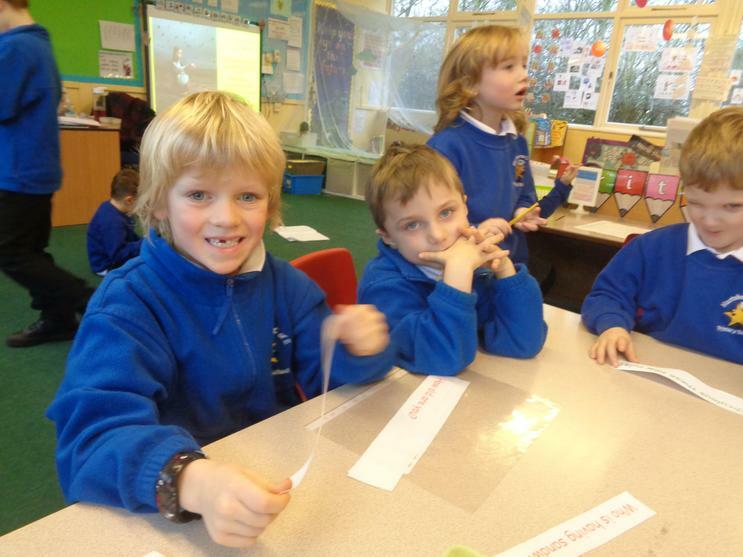 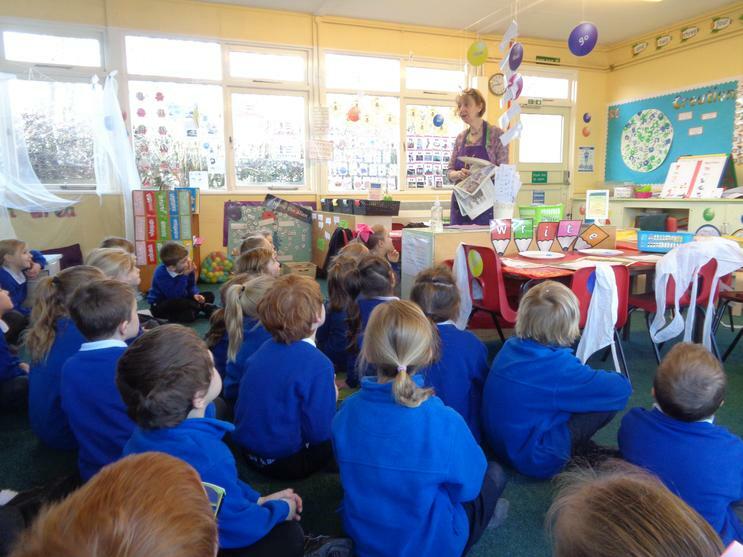 We have learnt how to keep ourselves safe, how to look after ourselves during a fire and how to test out smoke alarms. 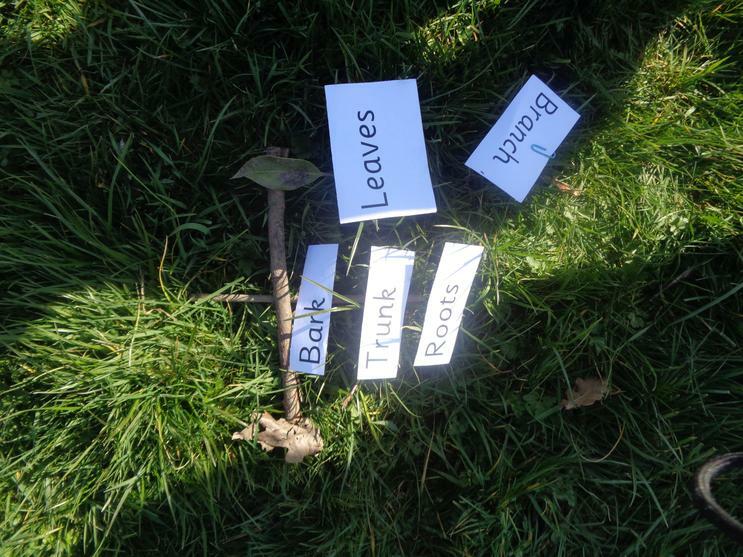 Don't forget TEST IT TUESDAY! 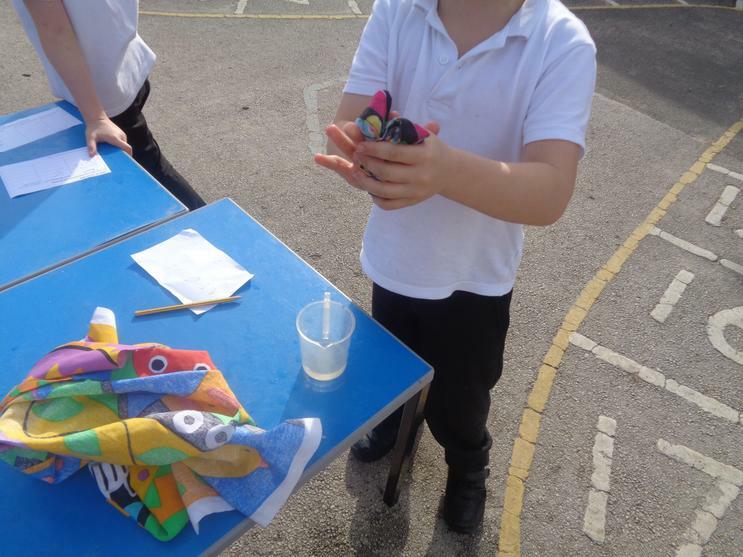 Thank you so much to all parents that have supported with the homework. 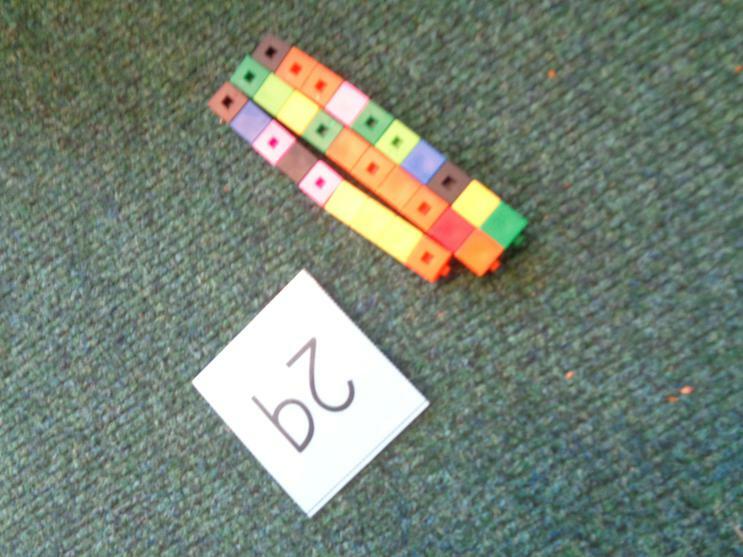 It has been great to see such a range in school. 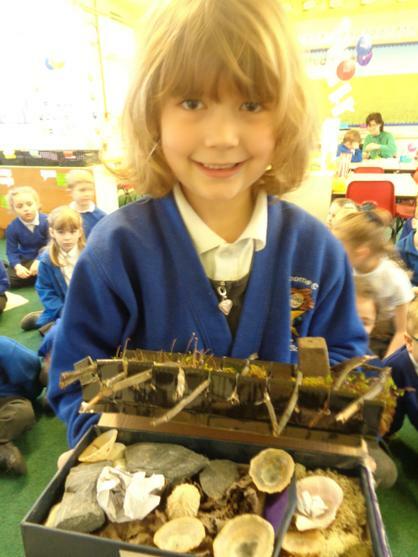 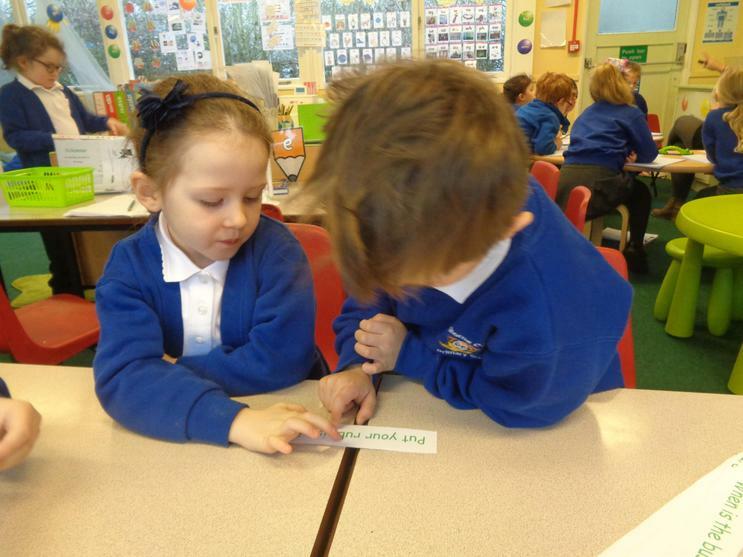 They have really embraced the topic and it is wonderful they are extending their learning at home. 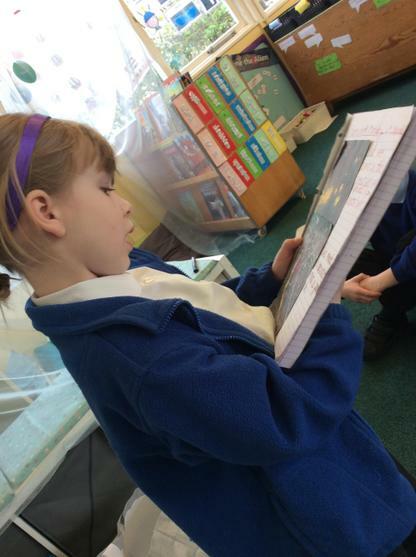 Here are some pictures from throughout the year. 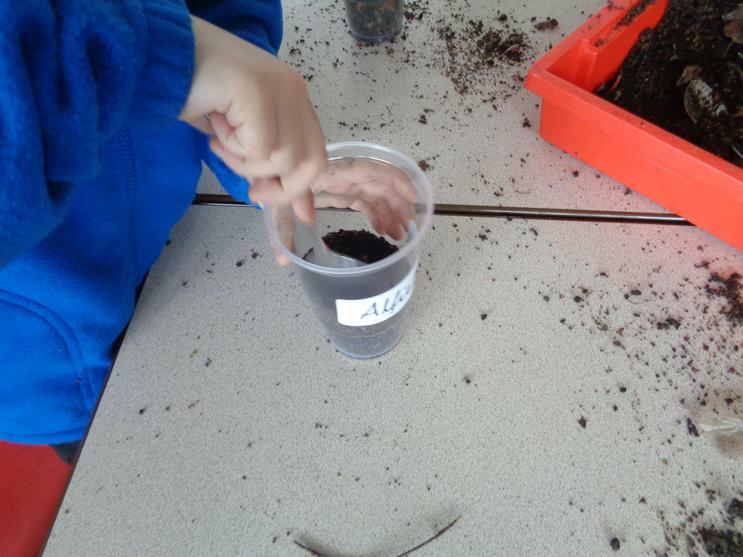 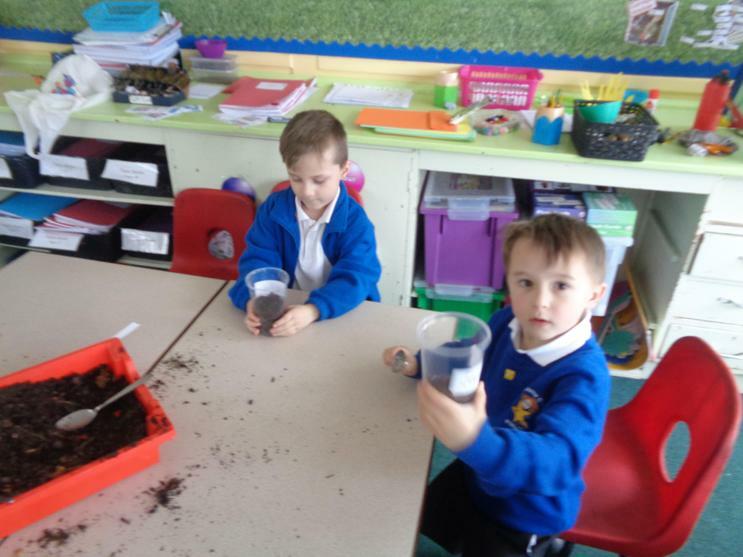 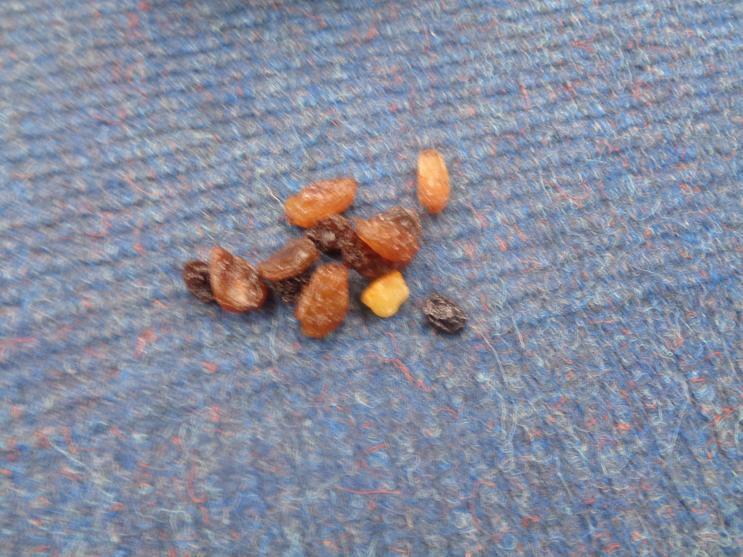 In our first week of this half term, we planted bean seeds. 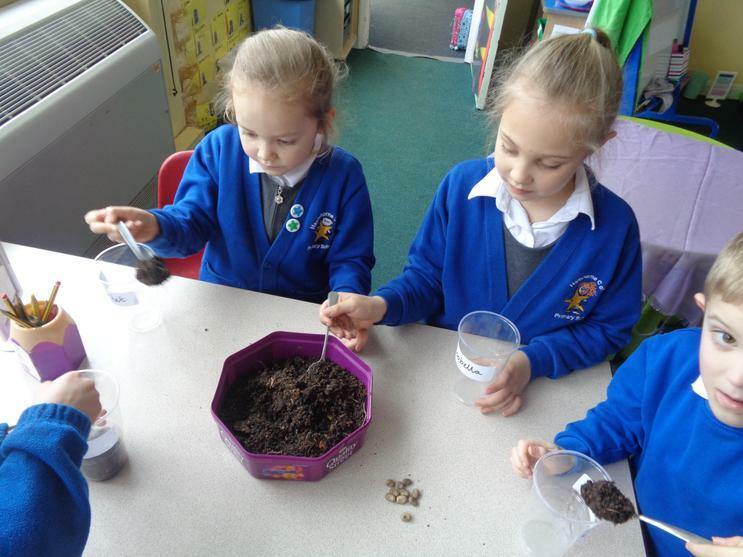 We are very excited to see the beans grow in our classroom. 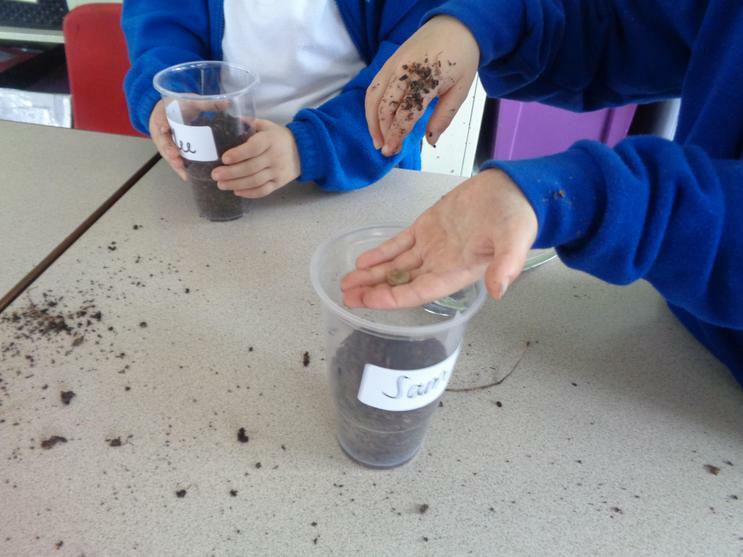 Here are some picture of us planting the seeds. 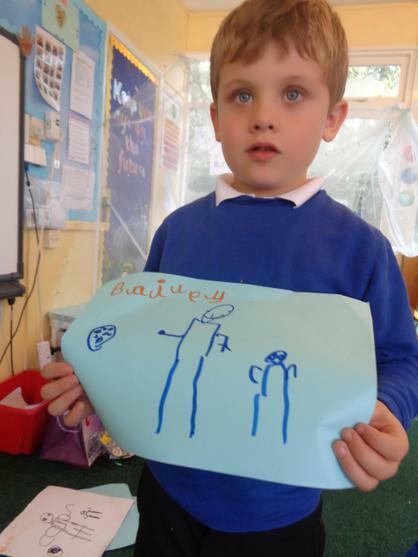 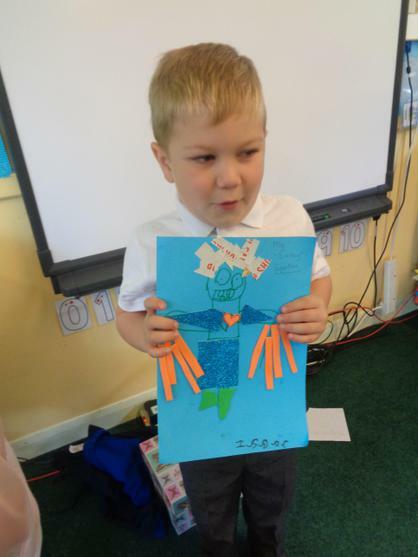 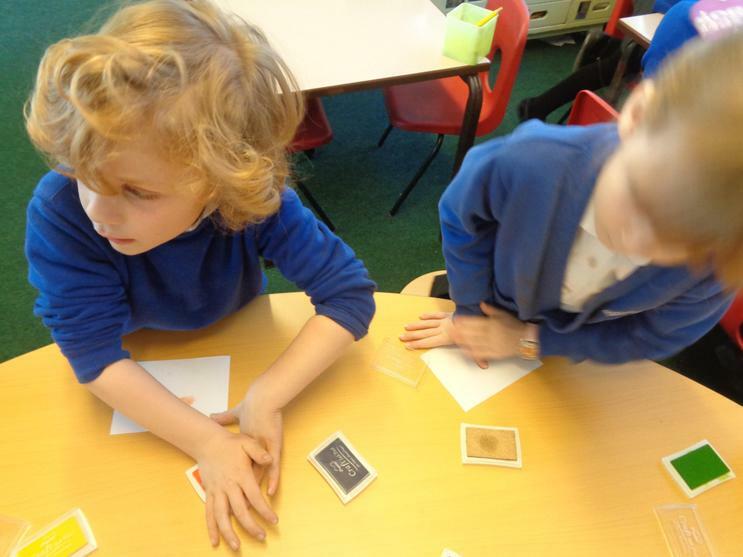 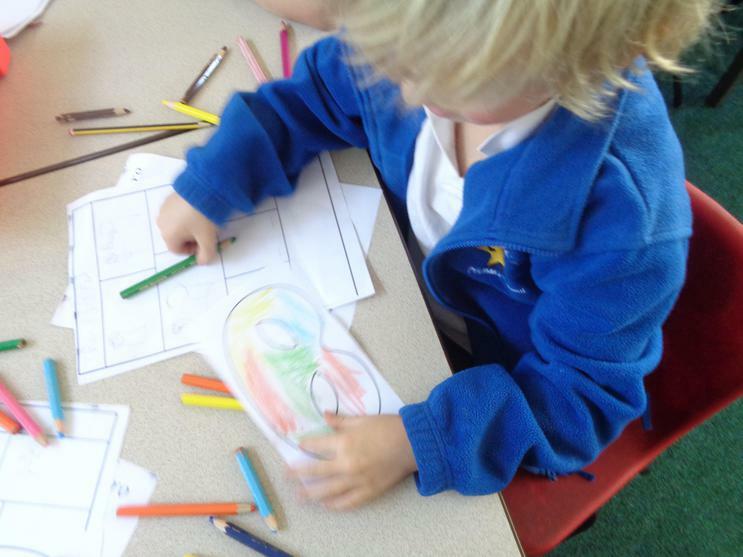 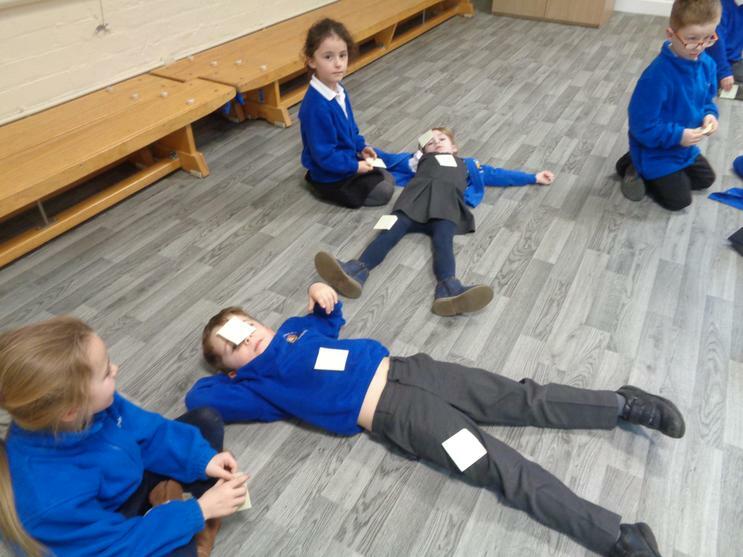 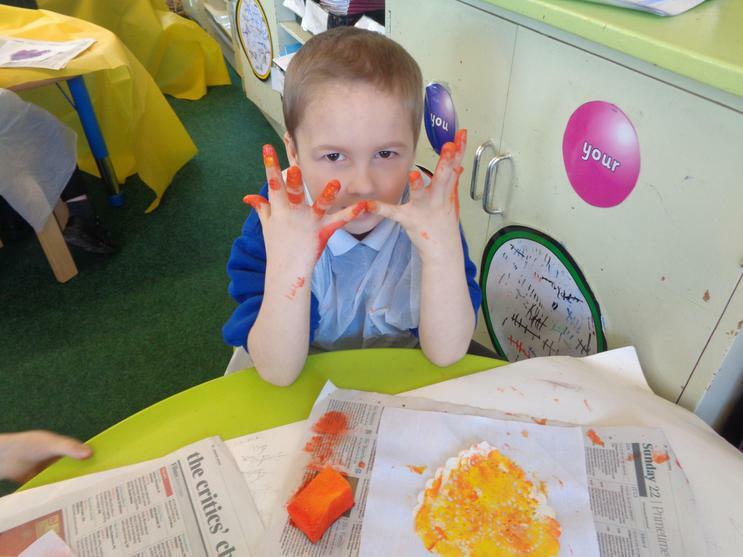 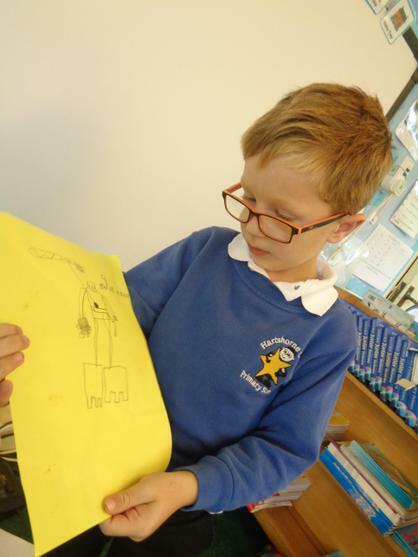 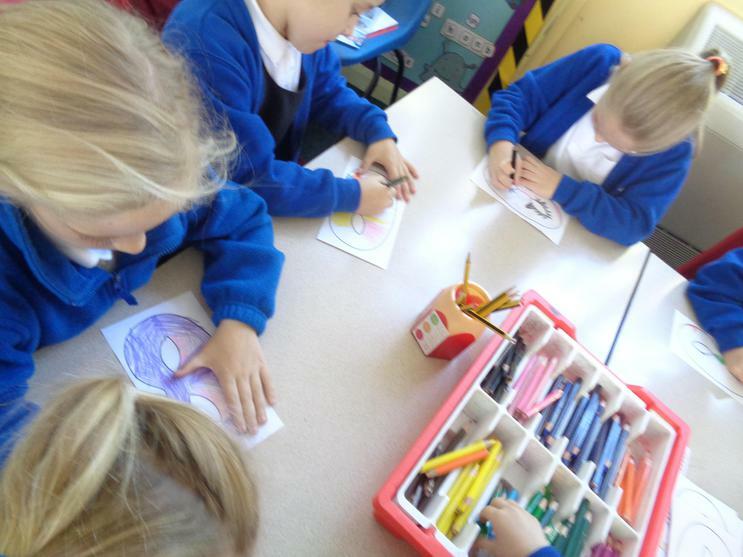 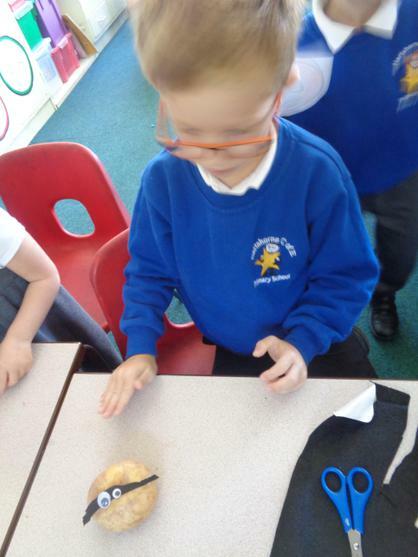 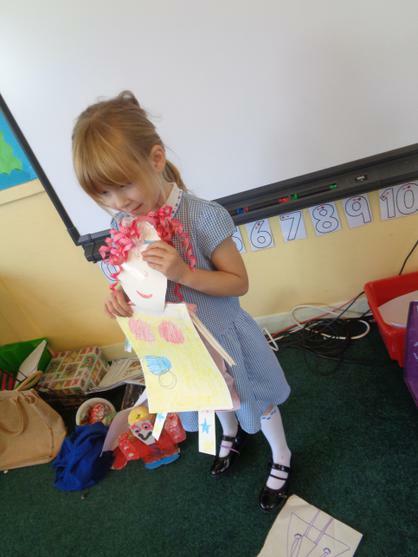 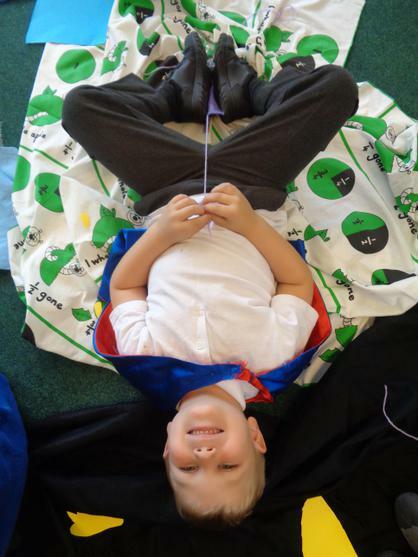 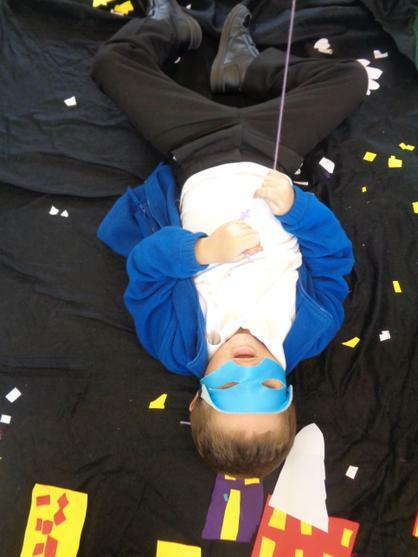 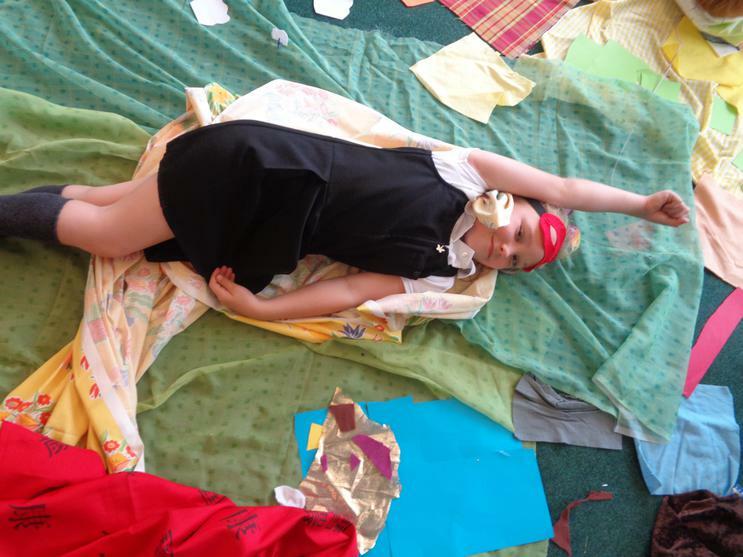 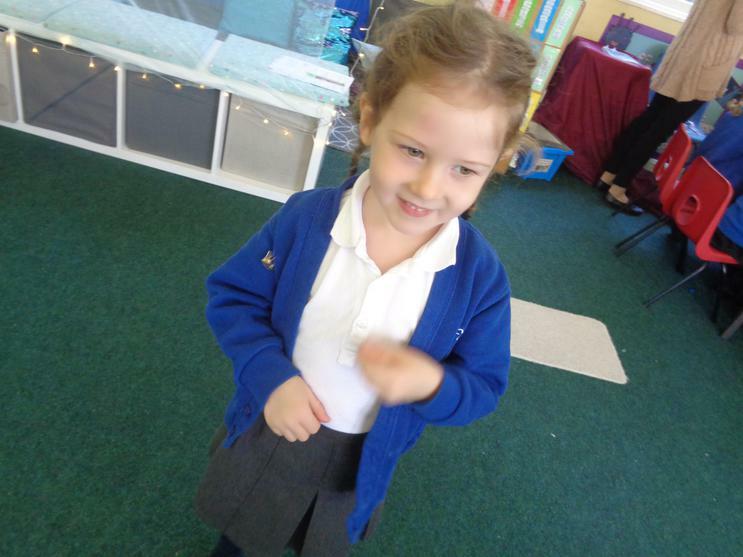 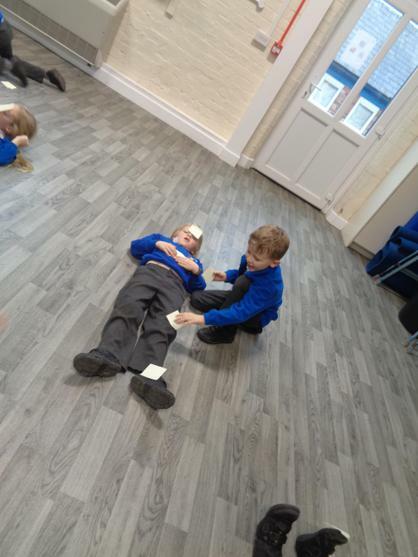 In science we have looked at our body parts. 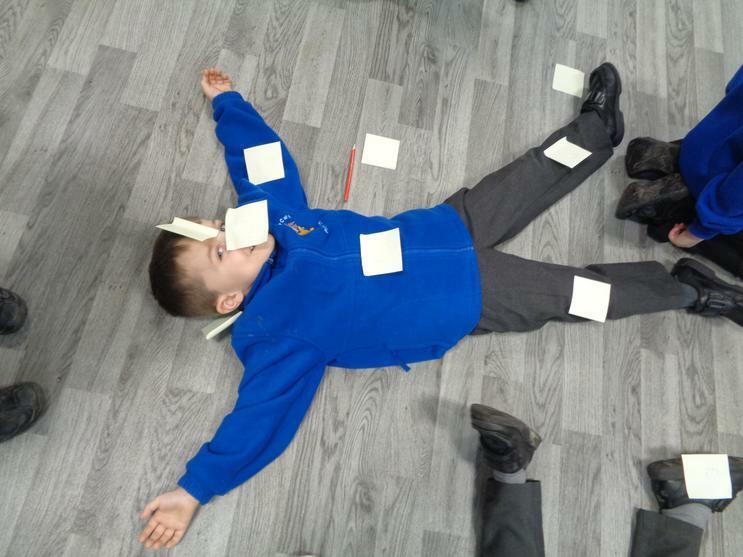 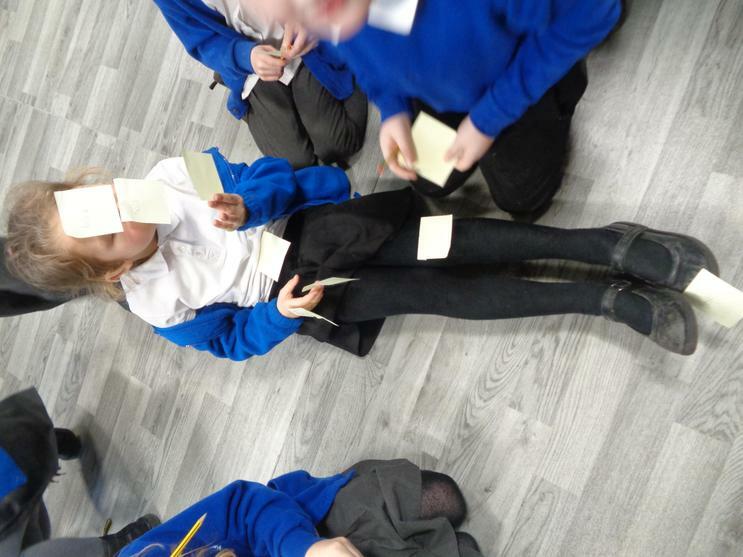 First, labelling them using postit notes then playing body part bingo which was our favourite part and everyone was a winner! 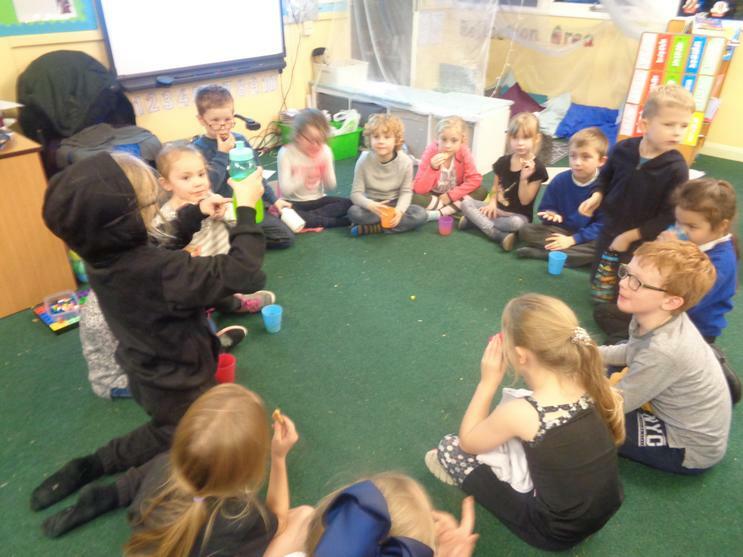 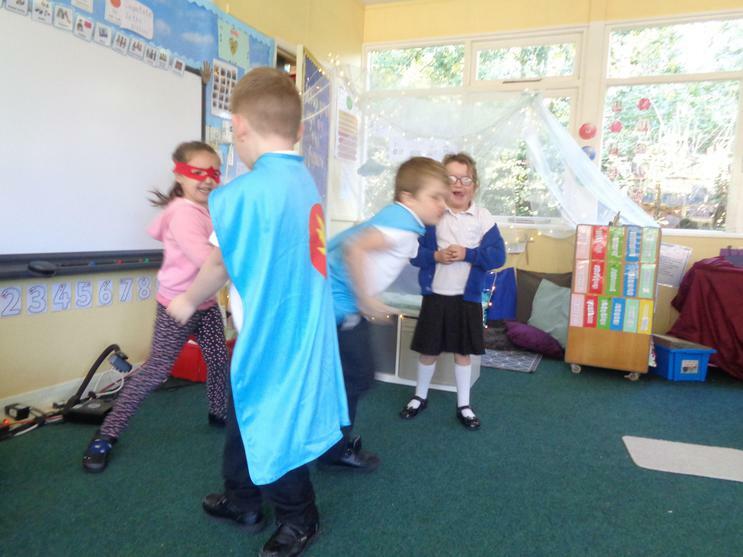 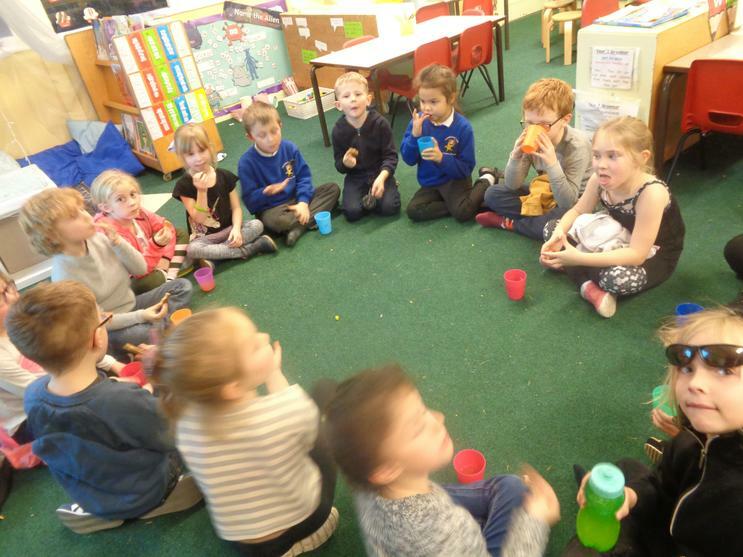 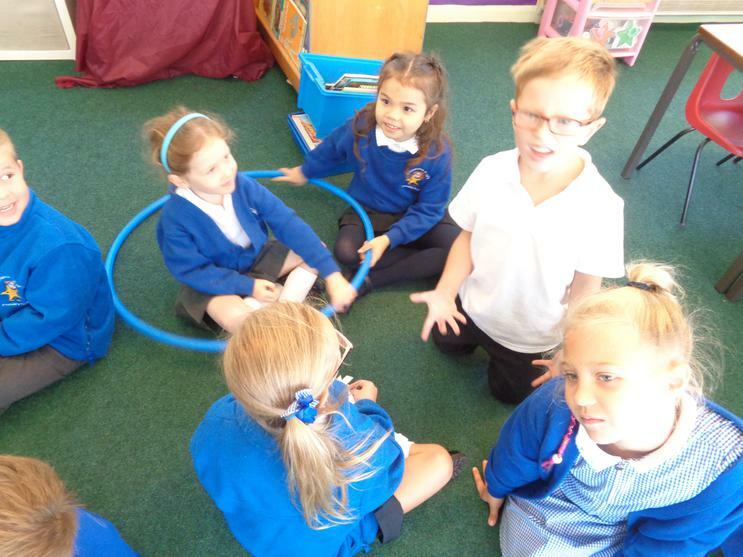 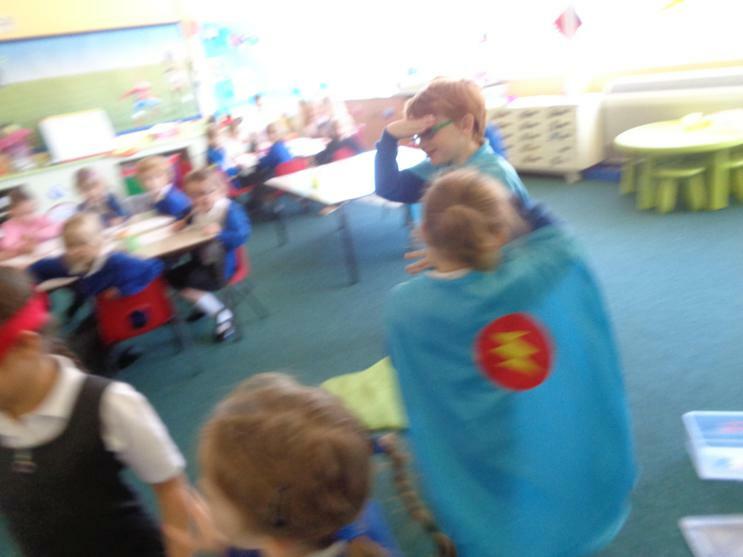 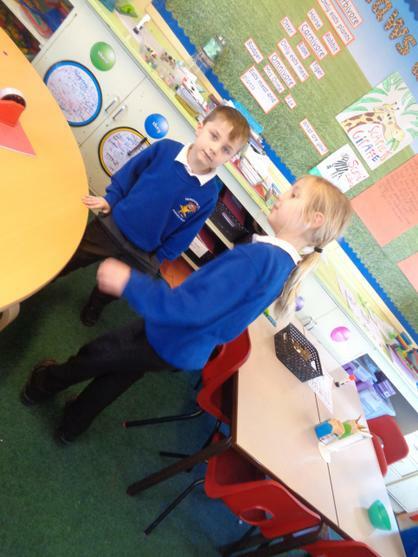 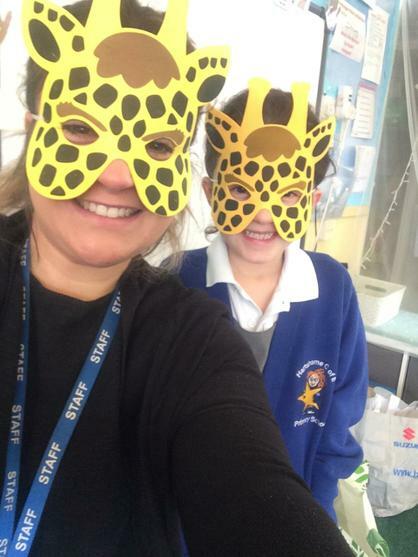 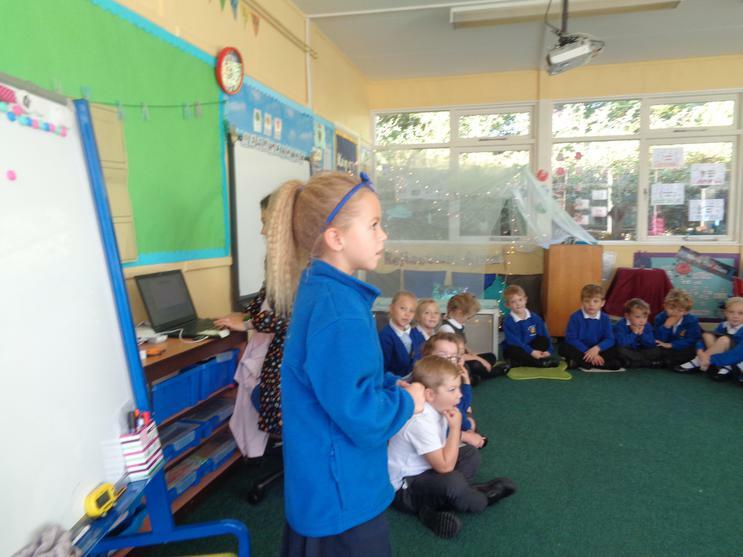 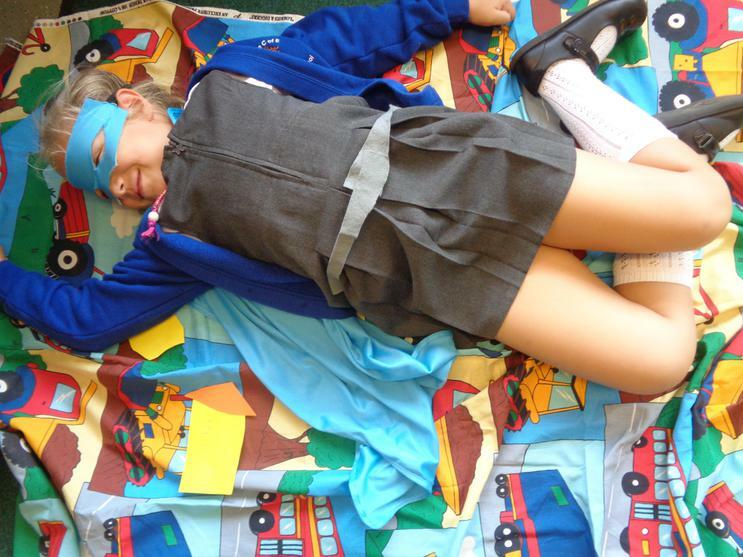 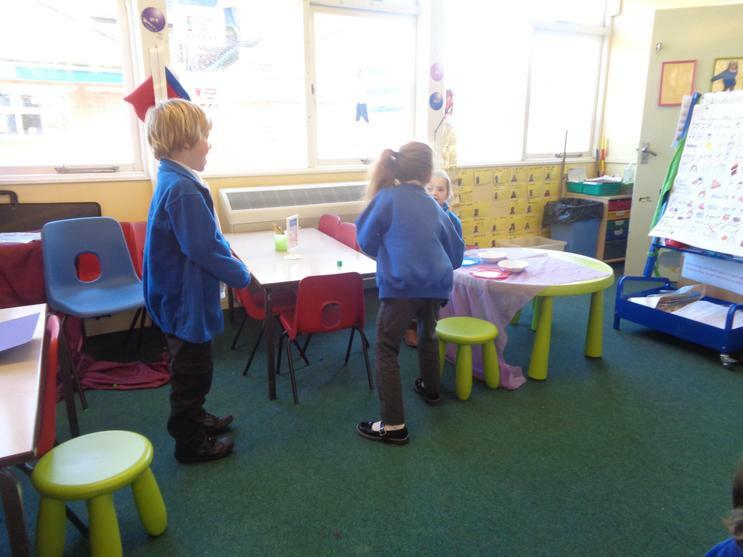 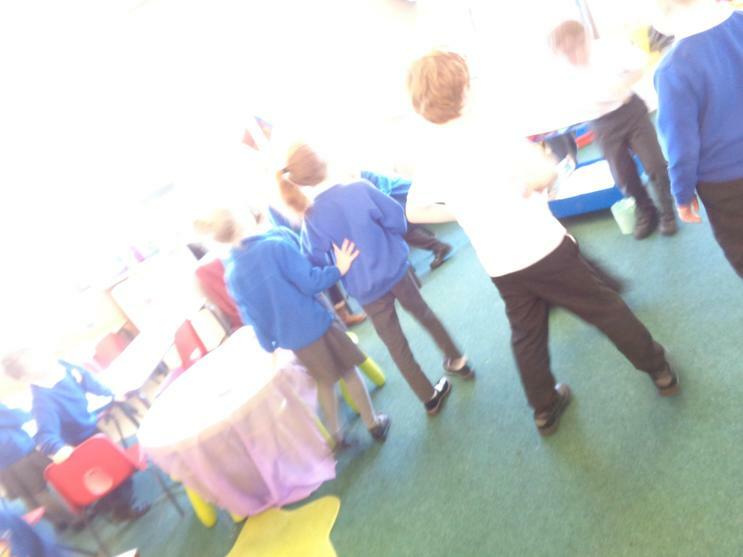 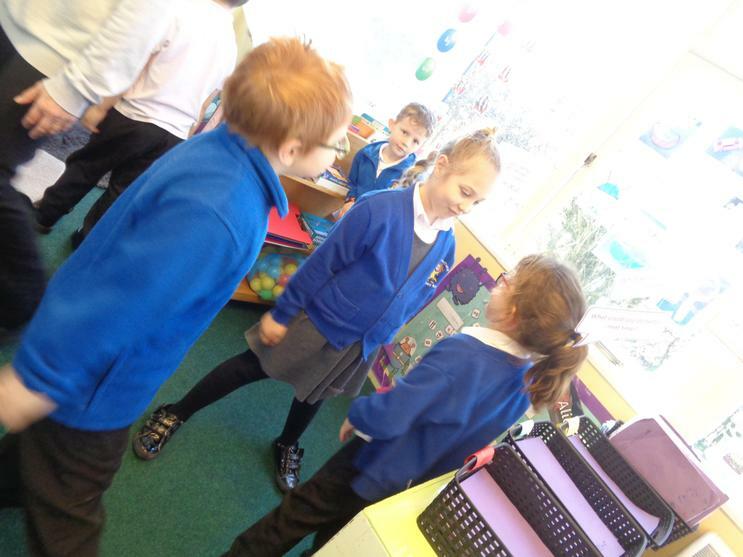 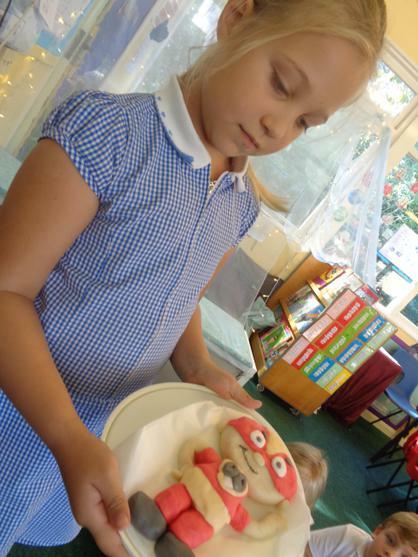 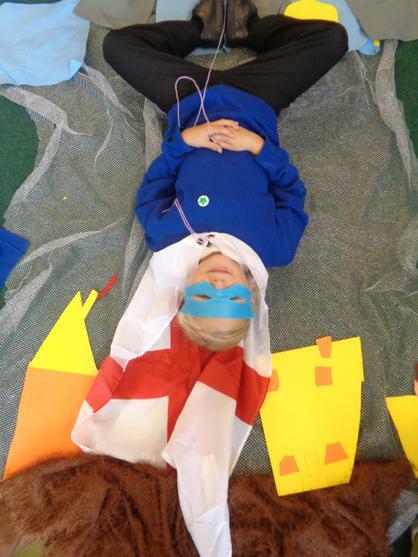 This week we have acted out and learnt the story of 'The Tiger Who Came to Tea', what a great week have had! 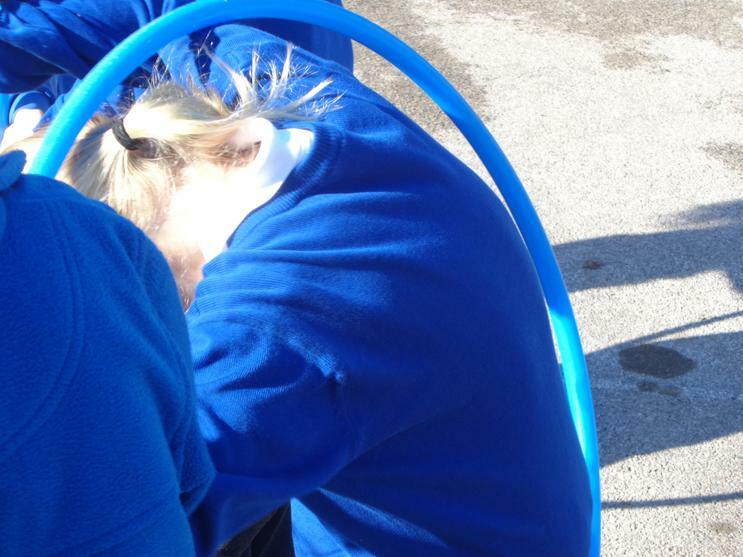 Focus on the positives, even if something is hard. 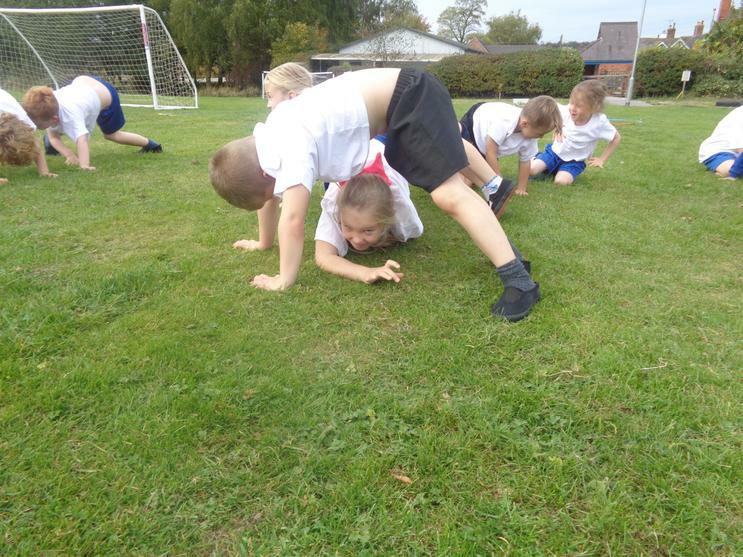 Focus on small steps to meet your goal. 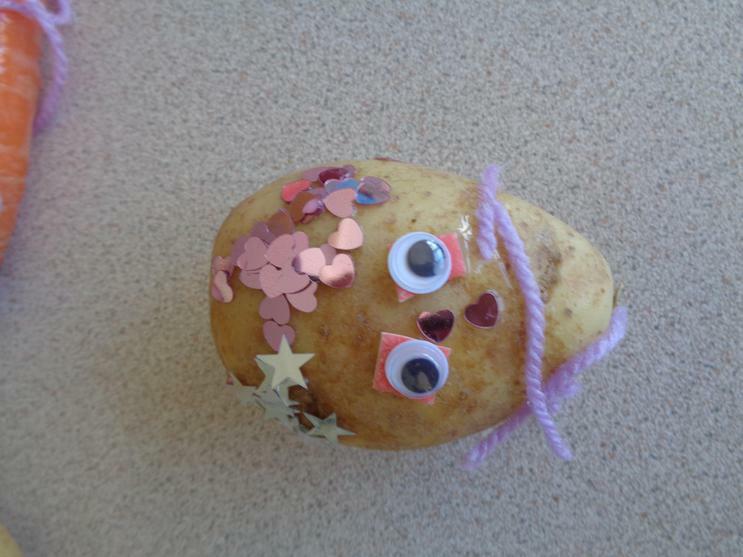 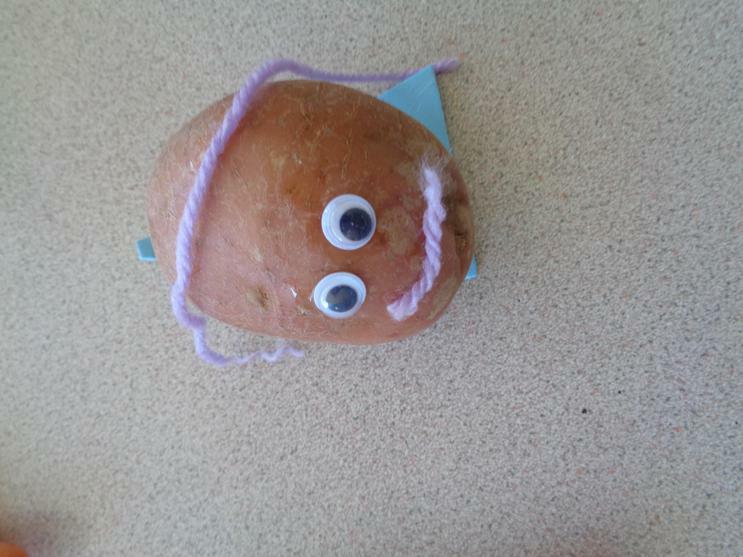 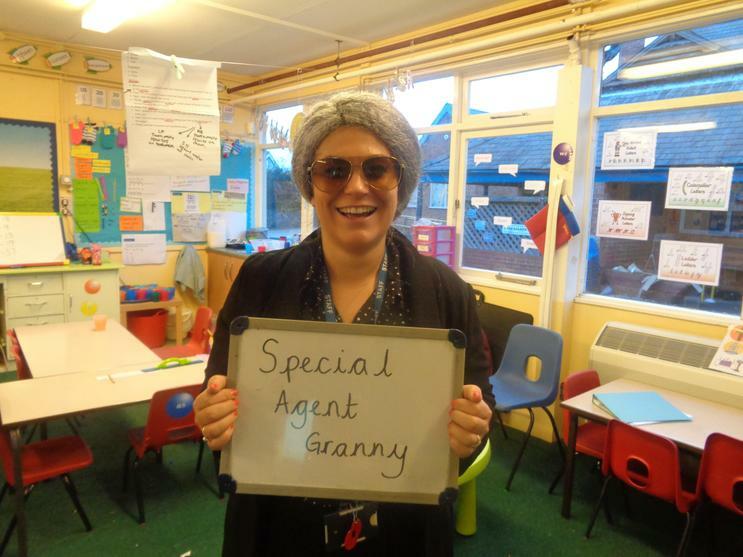 Mrs Orme has been very silly this week. 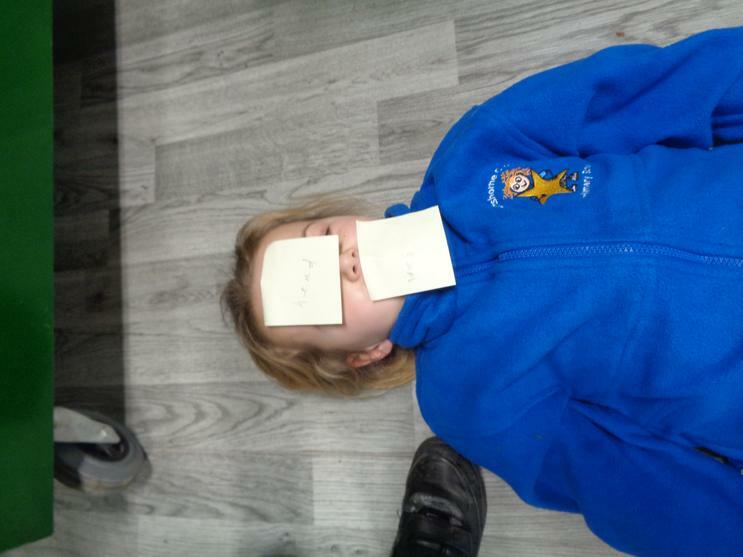 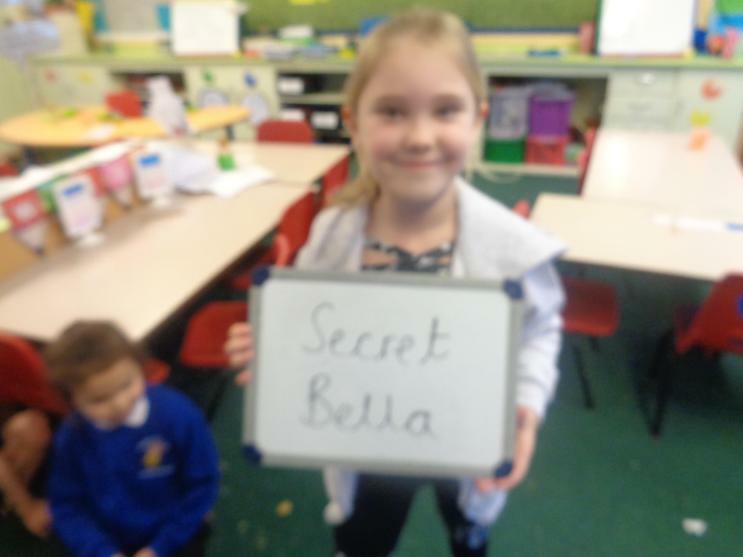 She wrote lots of sentences but none of them had capital letters or full stops in so we played a game to correct her work. 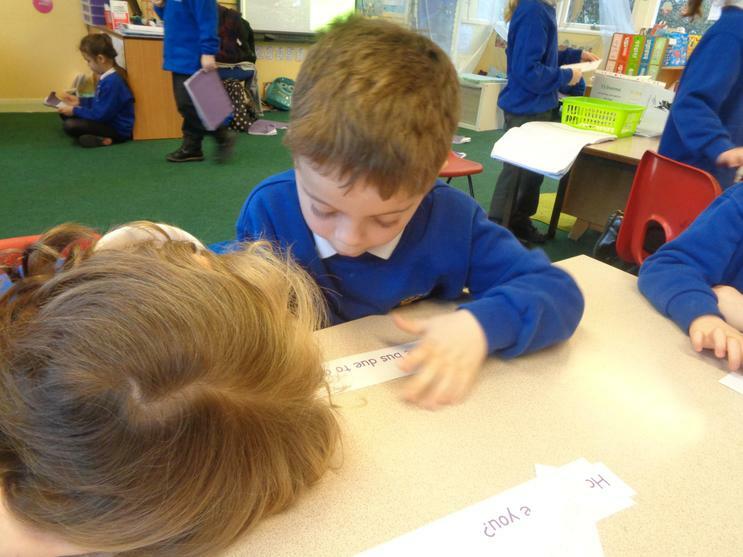 We worked as a team and made sure that all the punctuation was in the correct place. 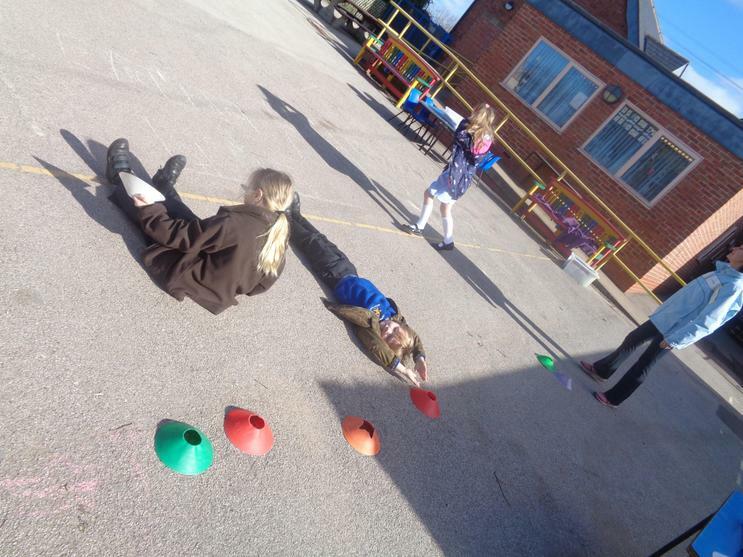 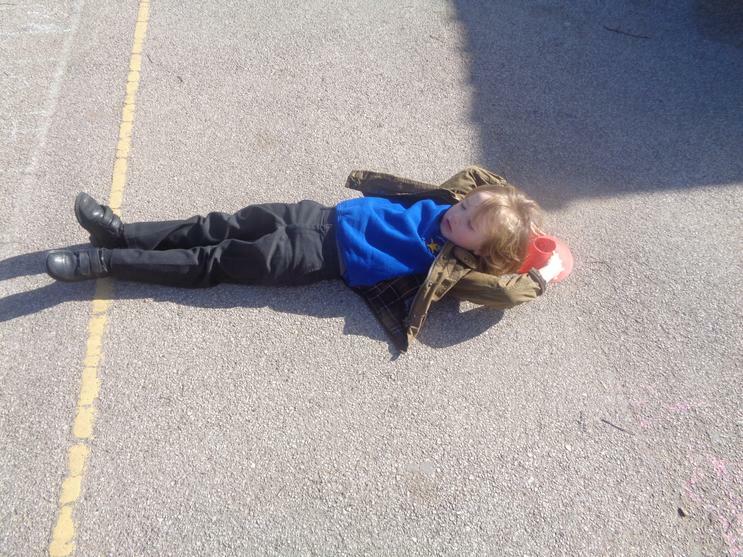 This half term we are learning to multiply and divide. 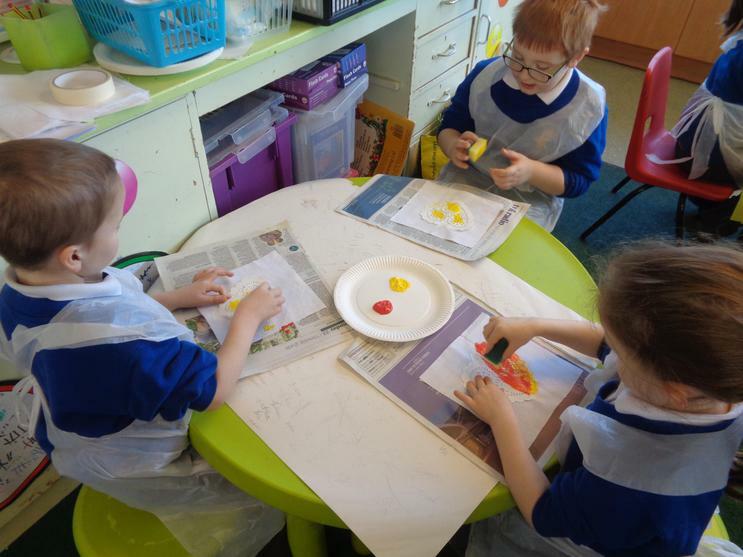 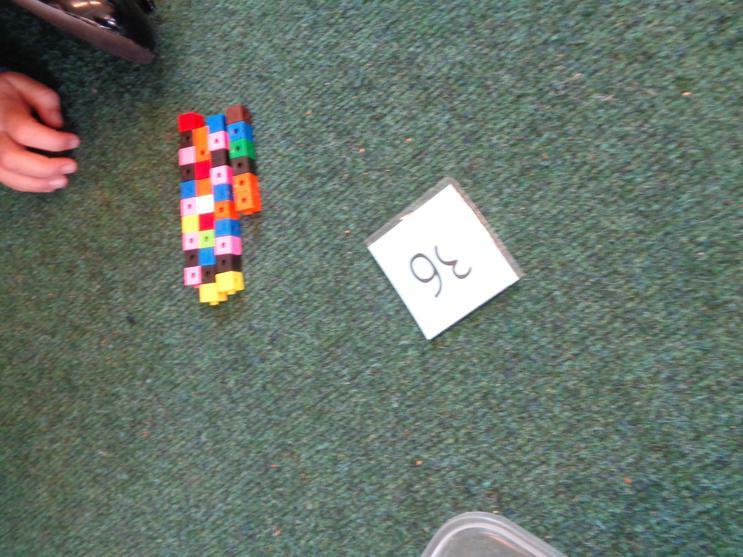 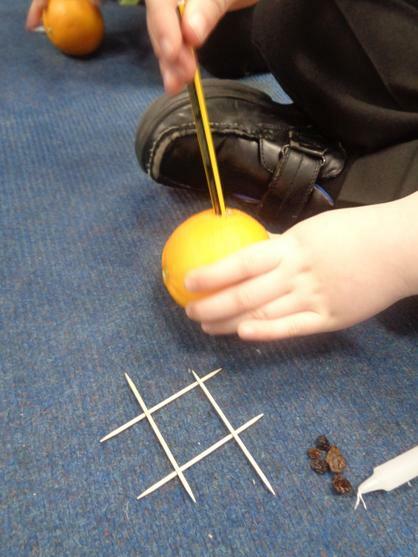 We have been learning to make arrays using a range of different objects. 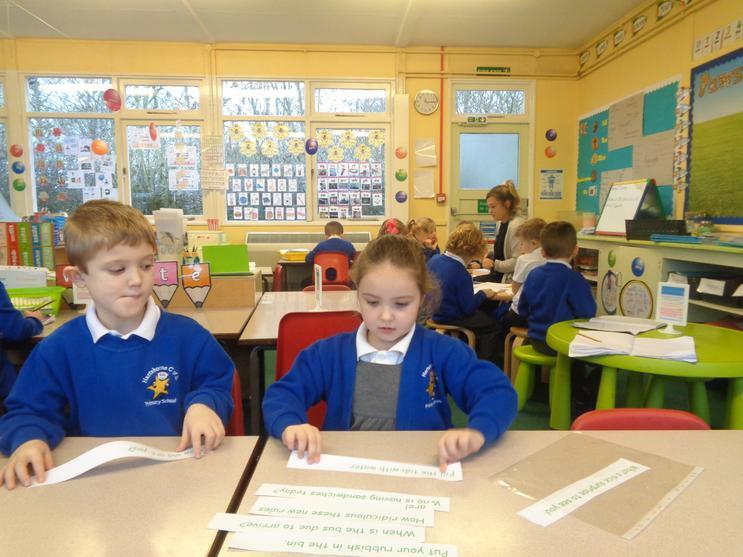 The Year 1's are focusing on 2, 5 and 10 times tables where as the year 2's are also learning the 3 times tables. 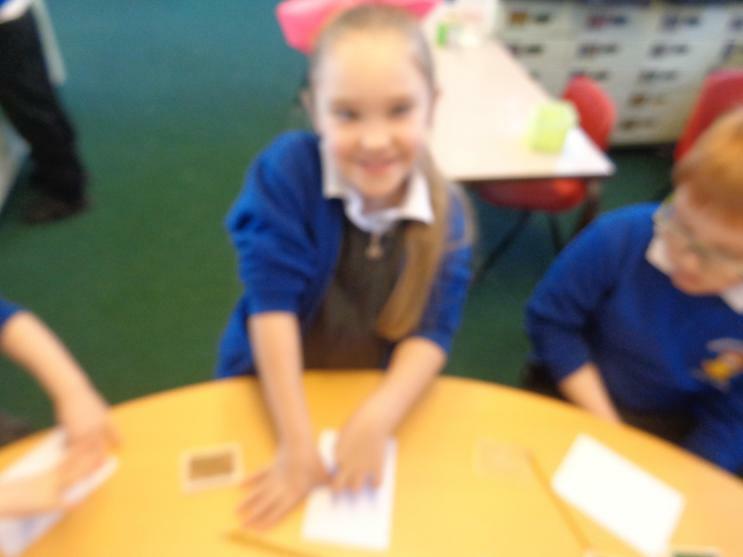 We have also been learning how to double using doubling plates. 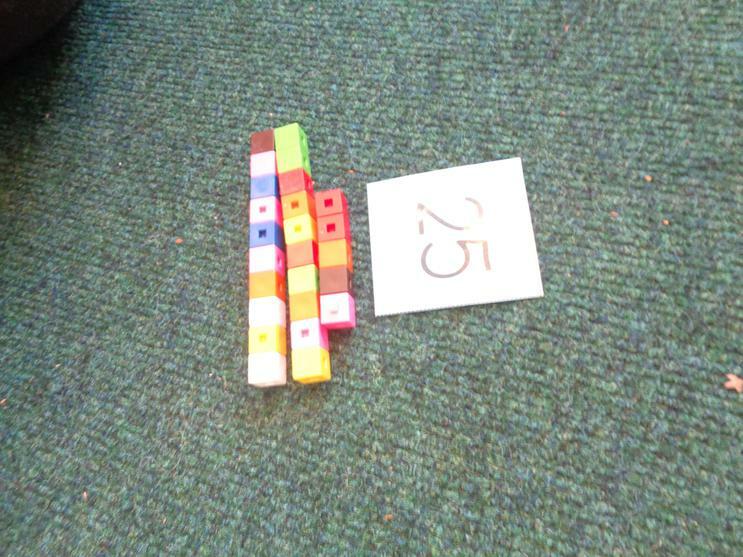 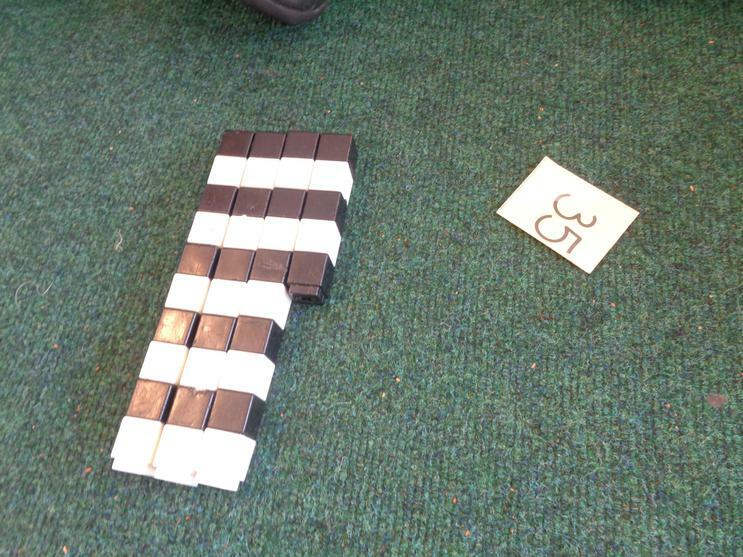 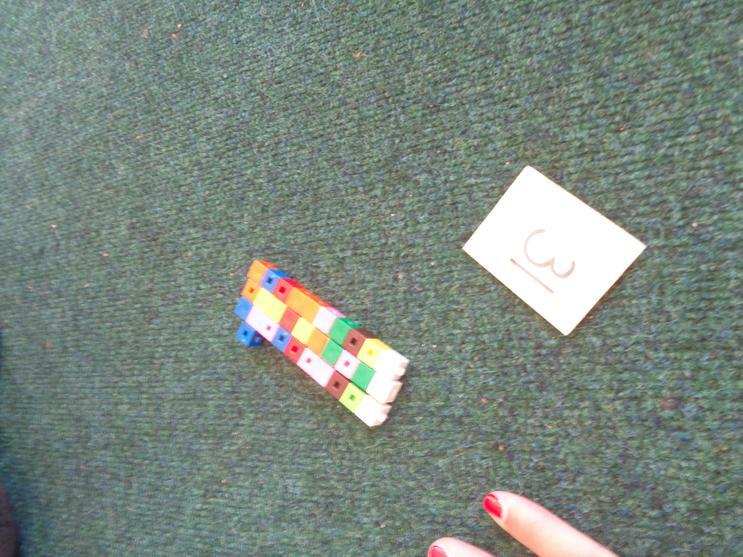 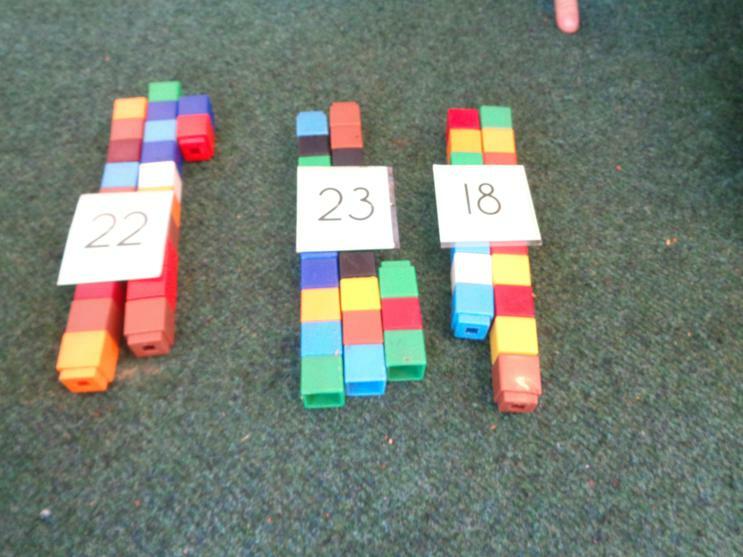 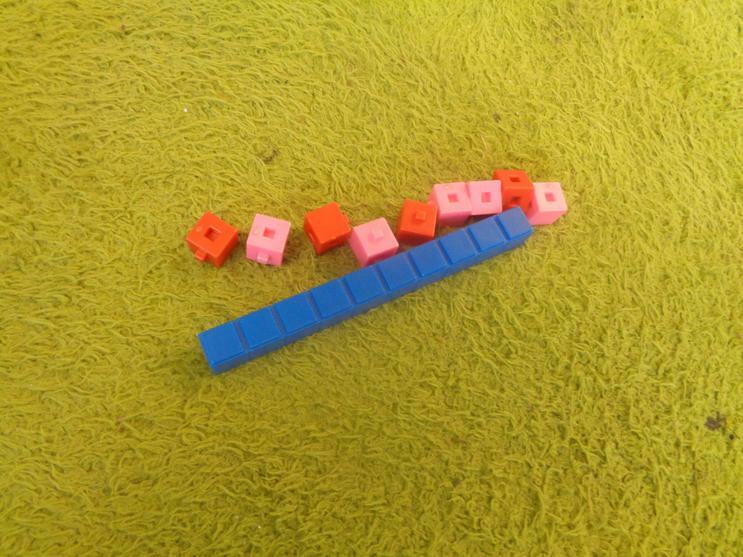 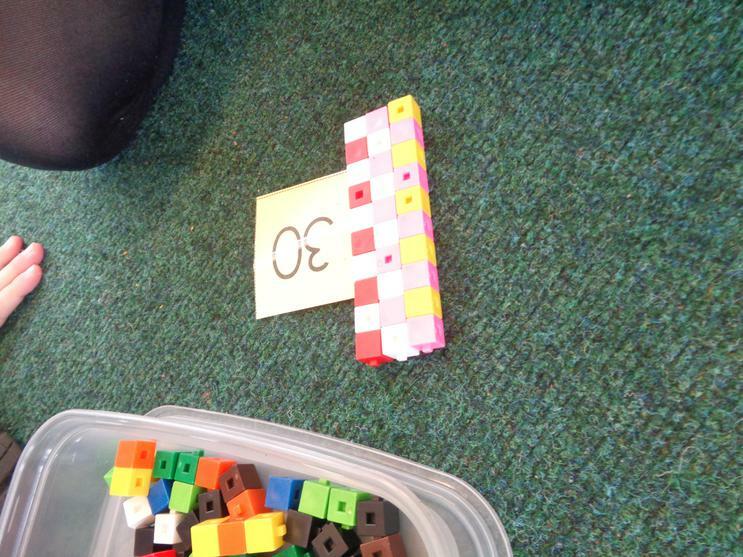 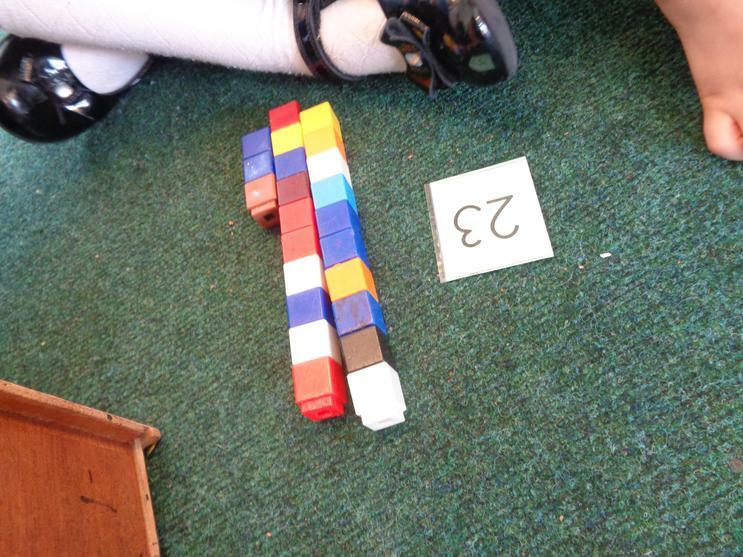 Some of the children even noticed that doubling is the same as the 2x tables and all of the numbers are even. 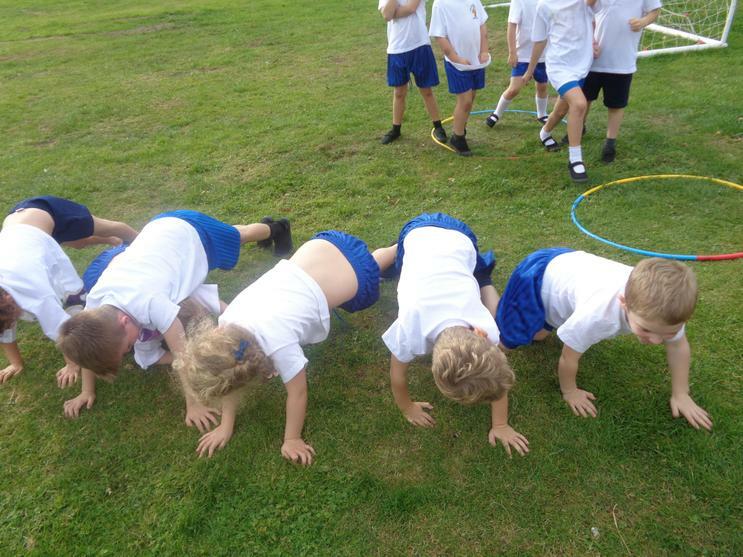 I know it is the first week back after Christmas but hard work is truly underway. 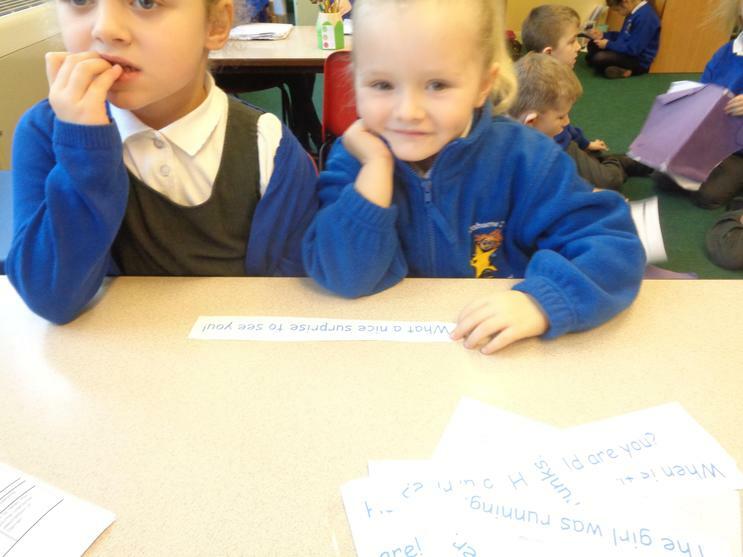 We have been learning about different types of sentences. 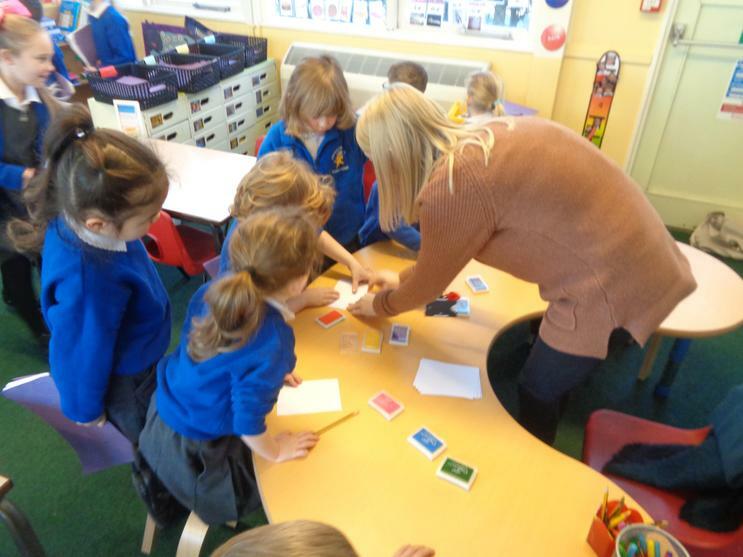 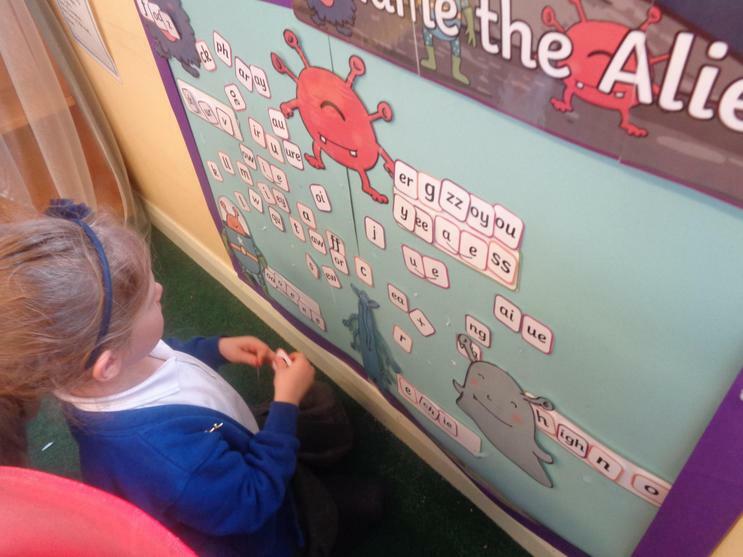 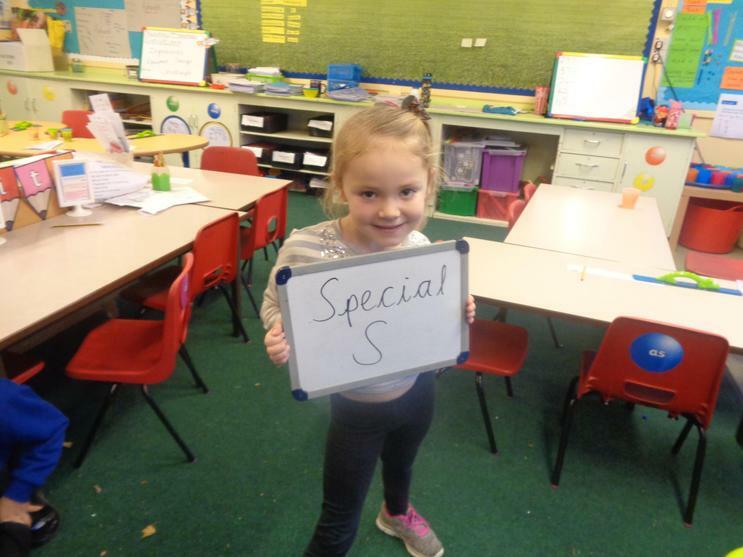 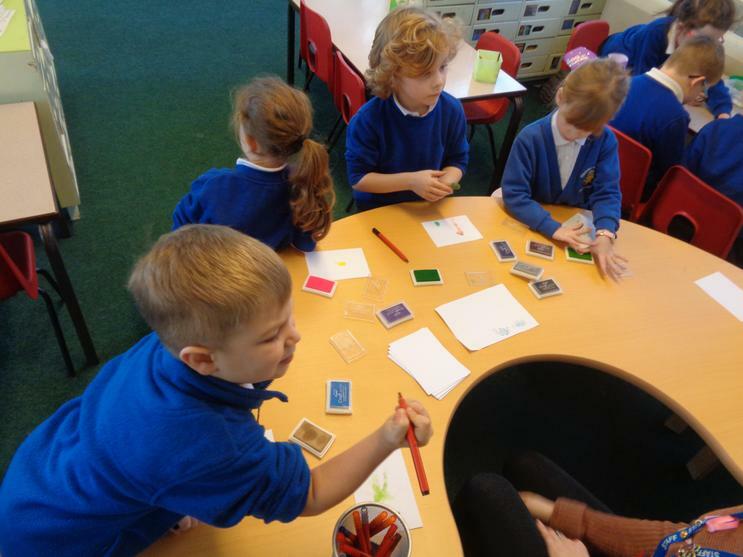 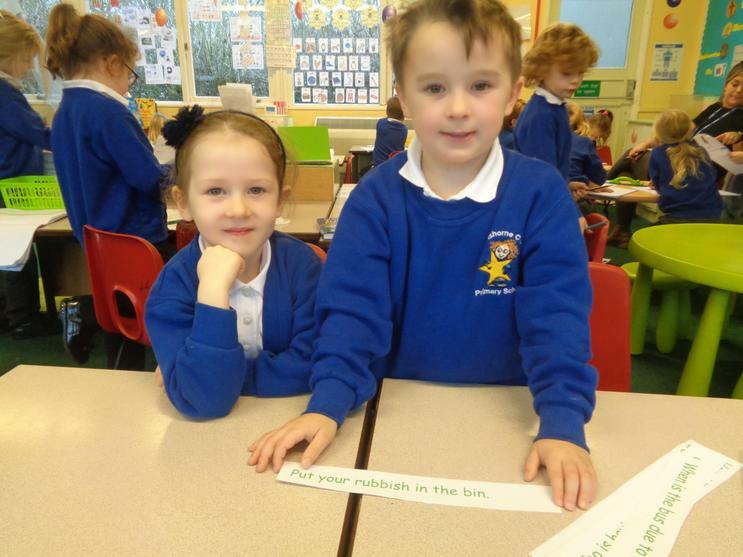 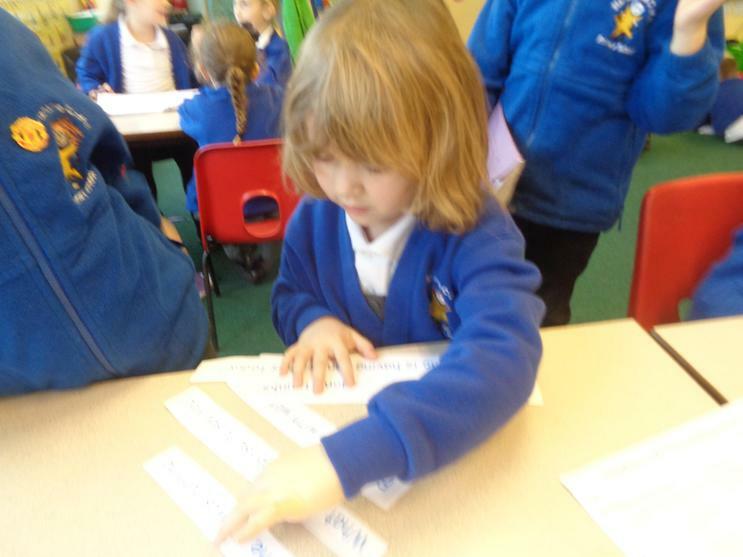 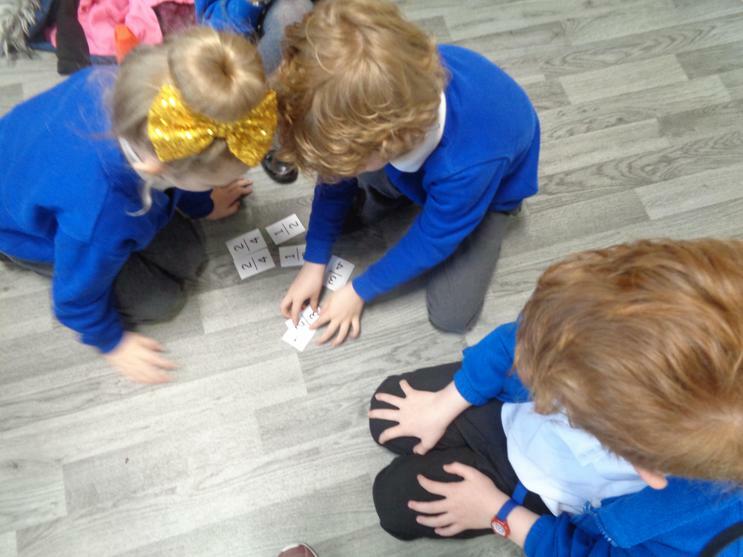 The Year1 children have been sorting different types of sentences where as the Year 2 children have been punctuation=ng and identifying the sentences. 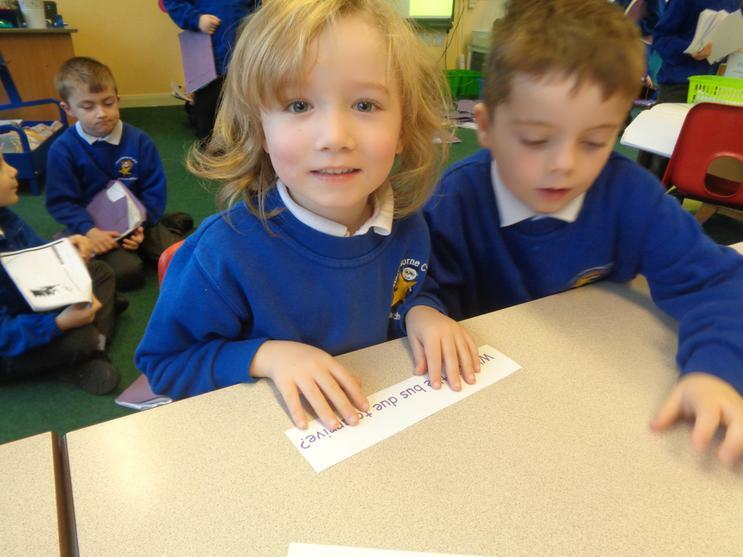 Which sentence is a question? 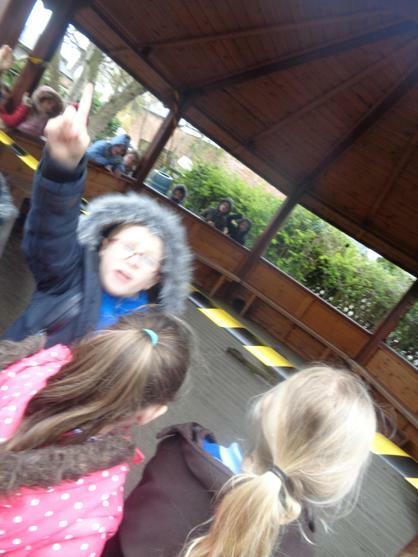 Exclamation? 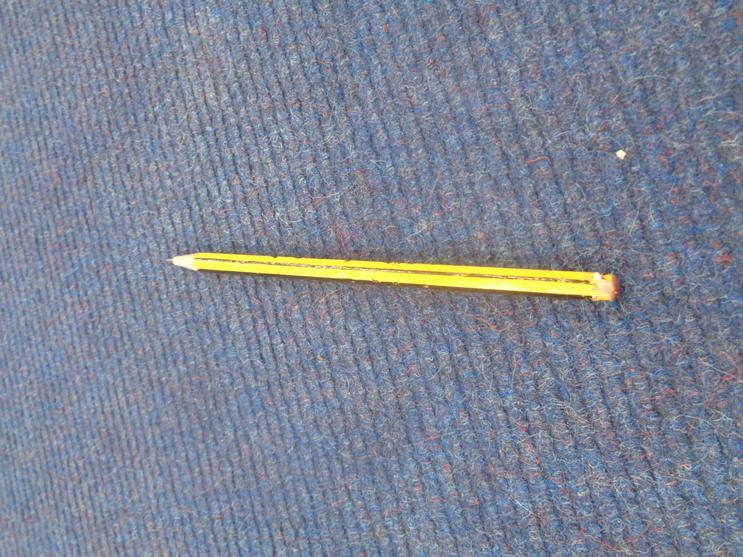 Statement? 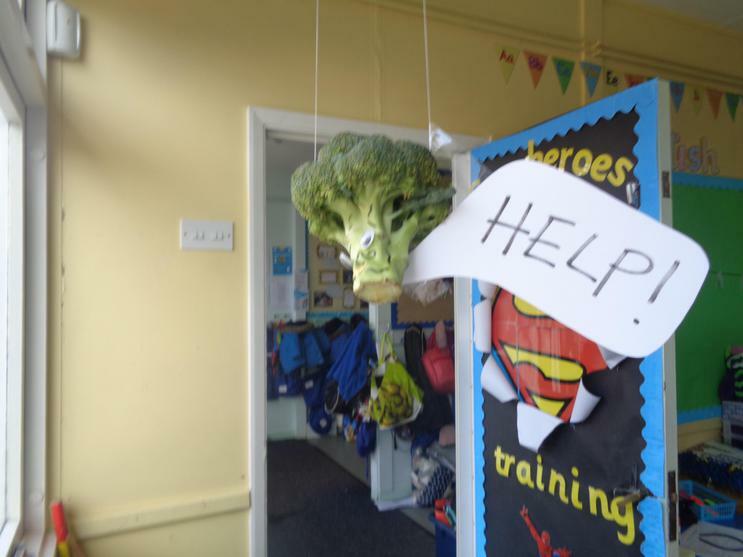 Command? 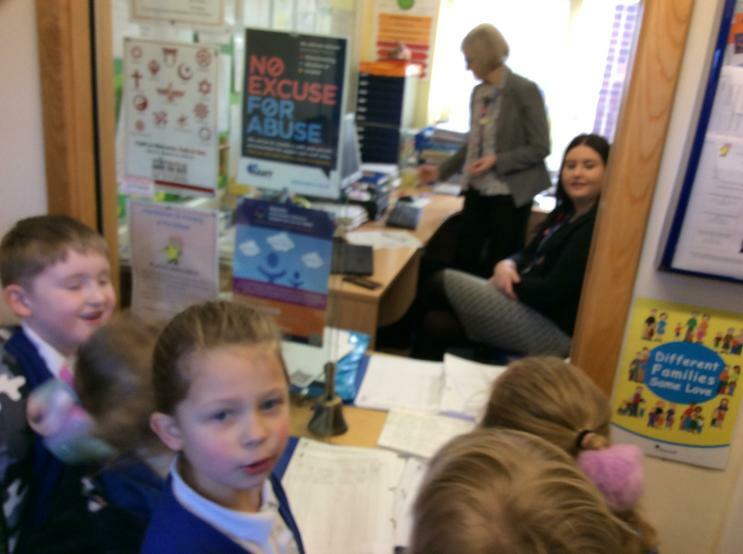 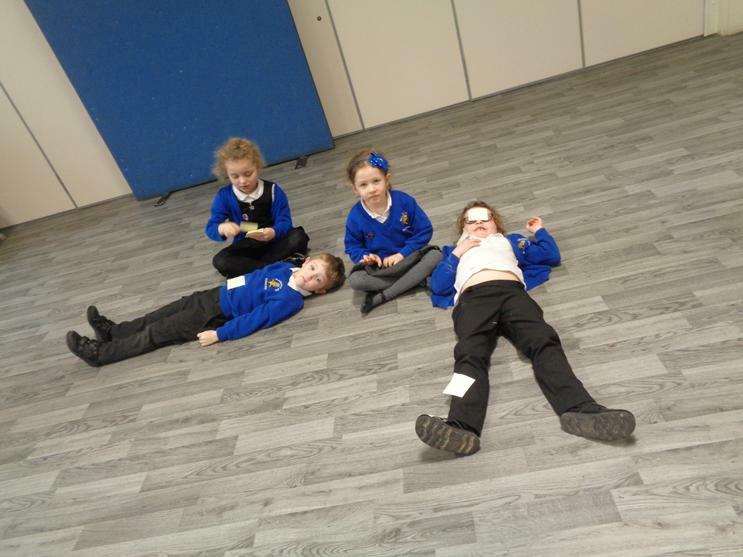 What a hard working group of children you all are! 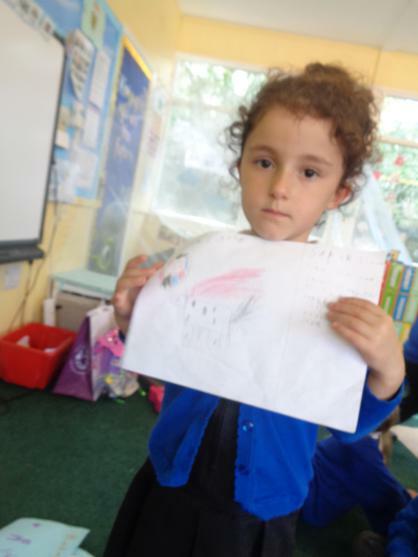 Put your pencil down and listen. 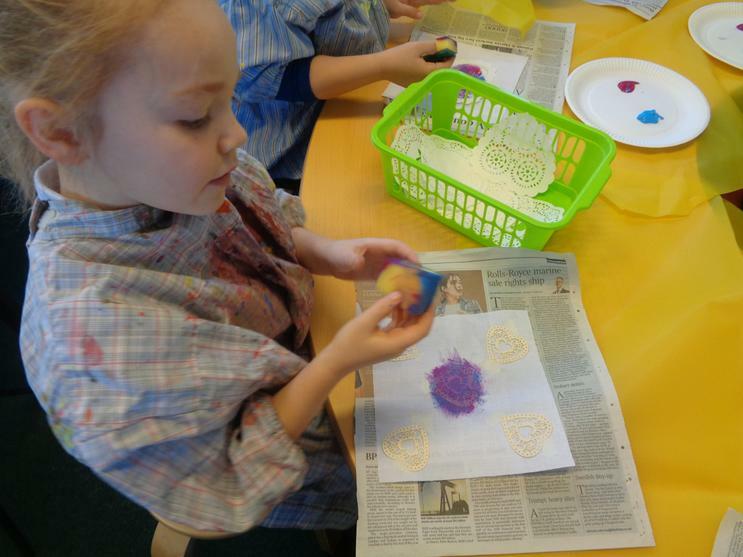 In Germany they like to make a lot of their decorations so we have made our own Christmas decorations out of salt dough. 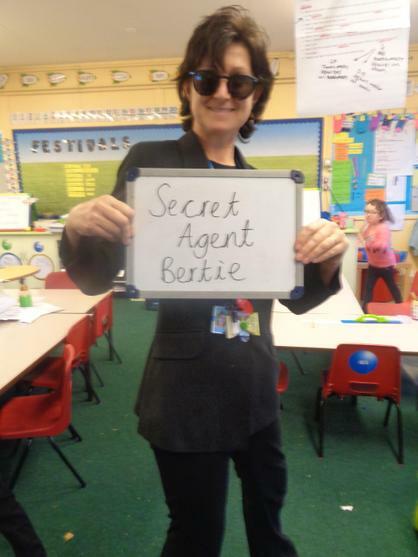 3.12.18- Today, Elvis appeared in our classroom. 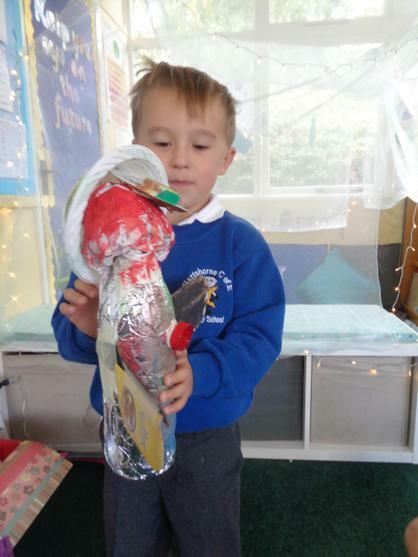 He wrapped the Christmas tree in toilet paper and asked some children to decorate it for him! 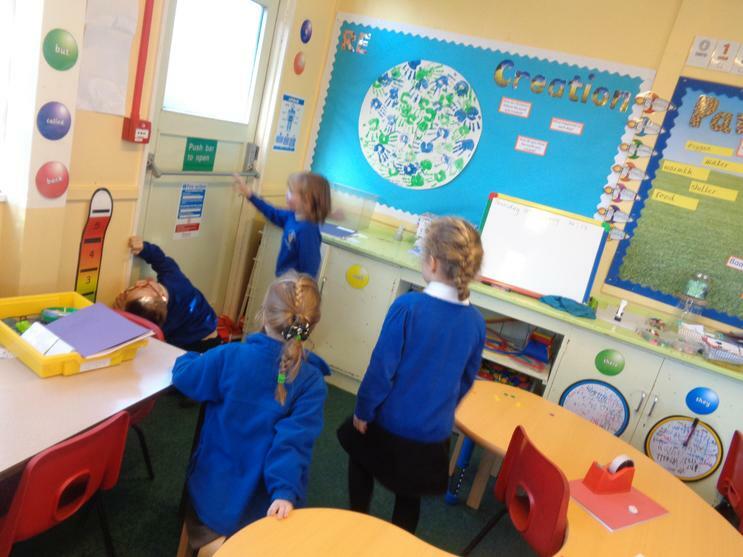 4.12.18- Elvis was extremely troublesome today- writing his name on the classroom window! 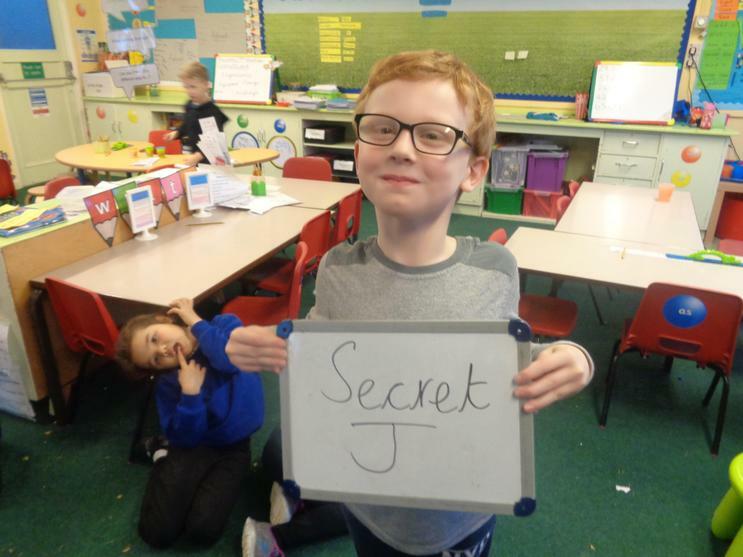 What a cheeky elf he is! 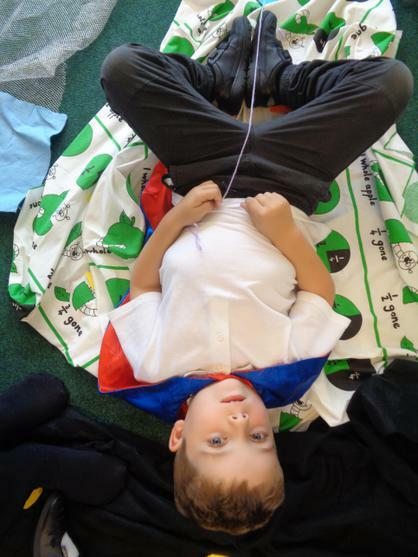 5.12.18- Elvis hasn't moved today but we think this is because some of the children touched him yesterday, we will keep an eye out for him tomorrow! 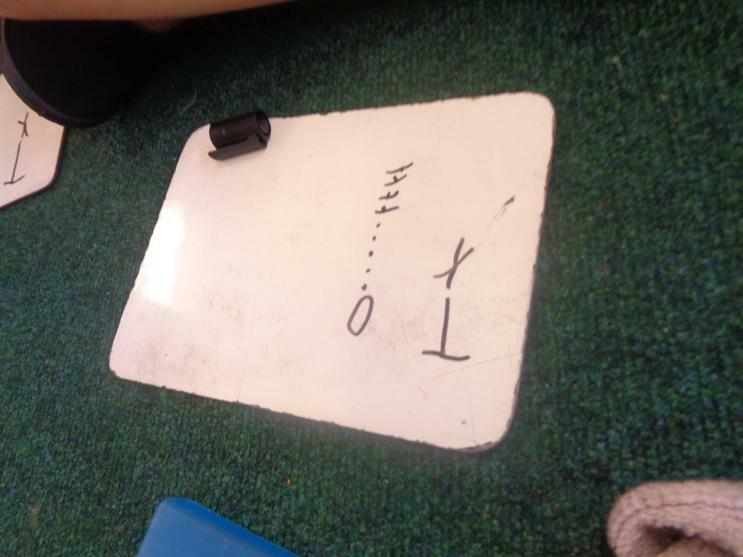 6.12.18- This morning the children found Elvis hiding a number on our number line.... can you work out what number it is? 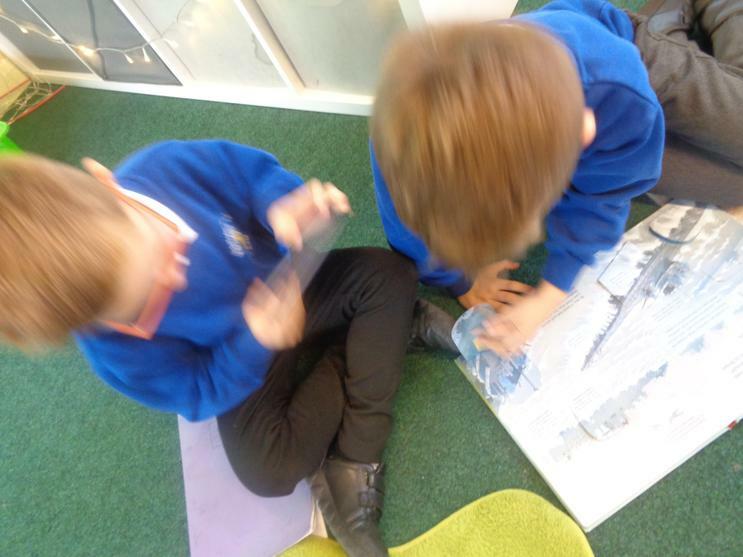 10.12.18- Elvis has made lots of beautiful, white snowflakes out of the scrap paper, what a cheeky elf! 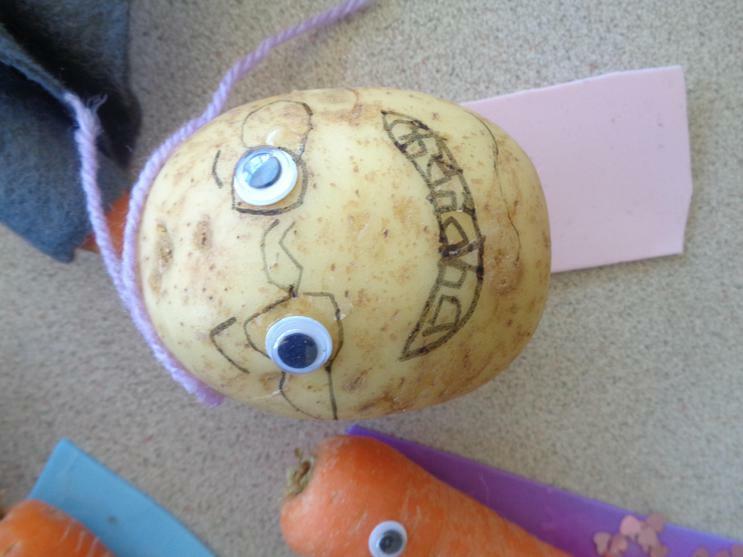 11.12.18- Elvis has been playing with the photocopier and copied lots of funny pictures of himself. 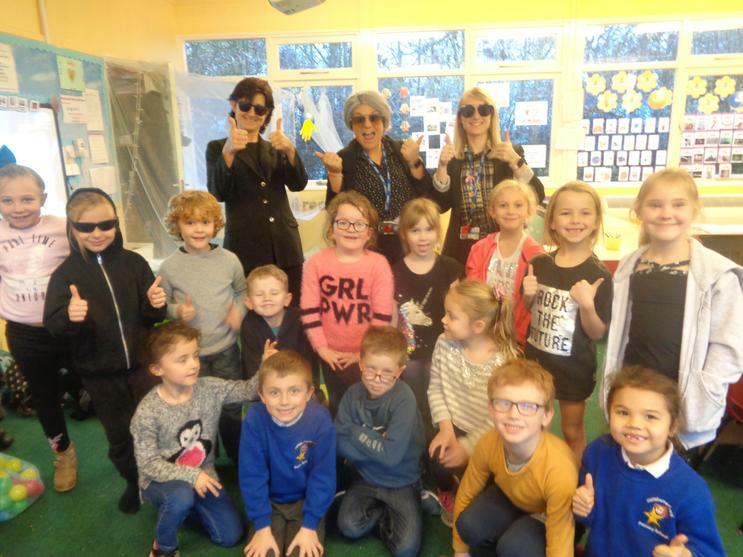 12.12.18- Willow Class received a visit from the Chief elf today, Together they sprayed patterns onto the classroom window but where was Elvis? 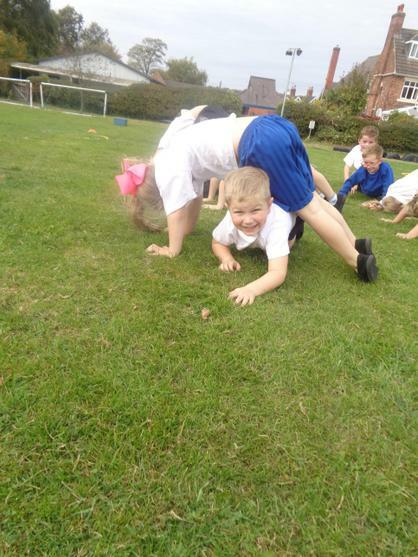 He had hid in Mrs Copestake's hood!! 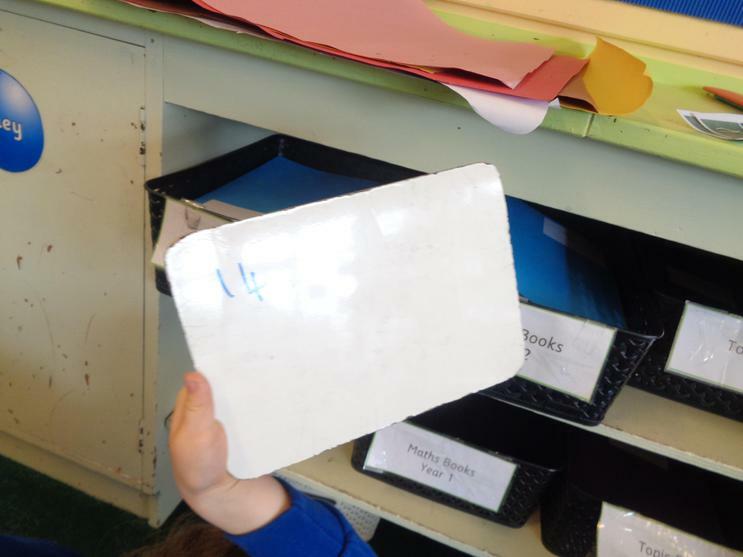 13.12.18- Elvis pressed the wrong button and ended up in the interactive white board... oh dear! 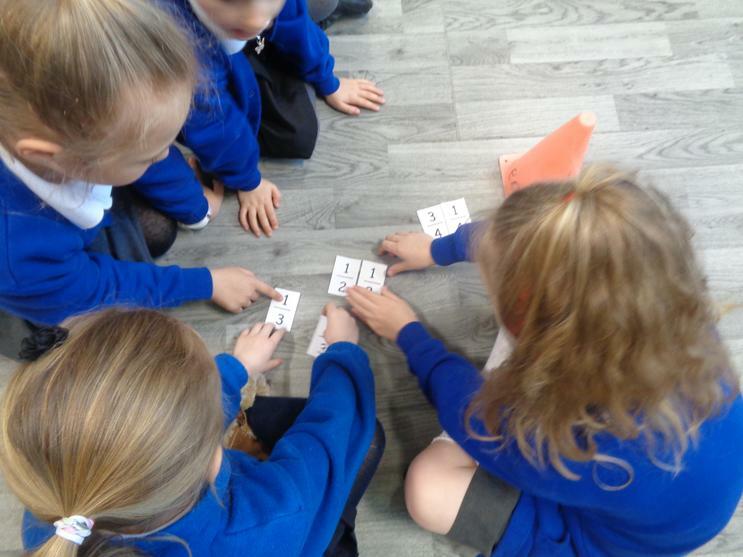 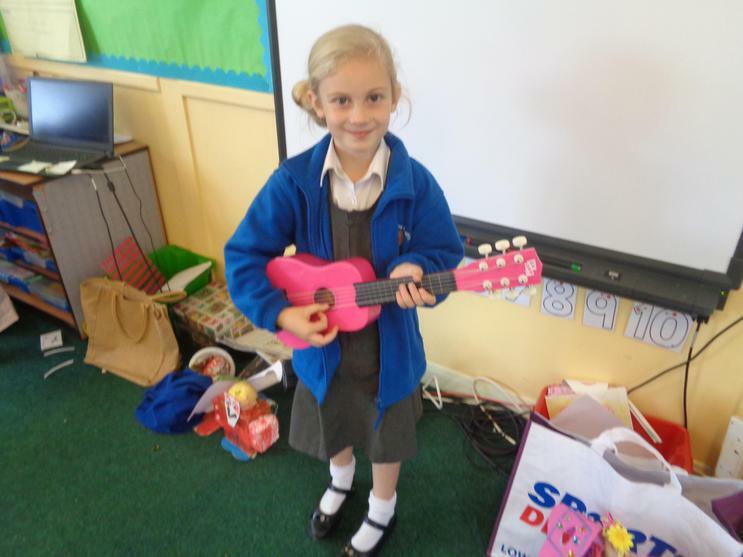 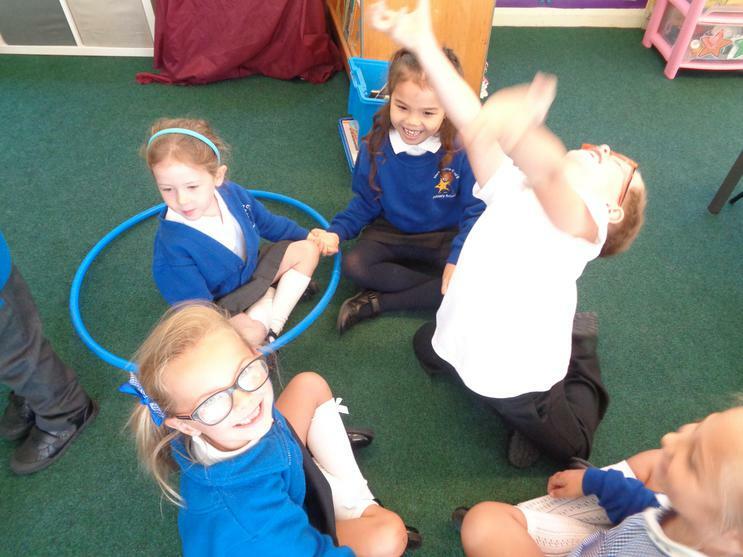 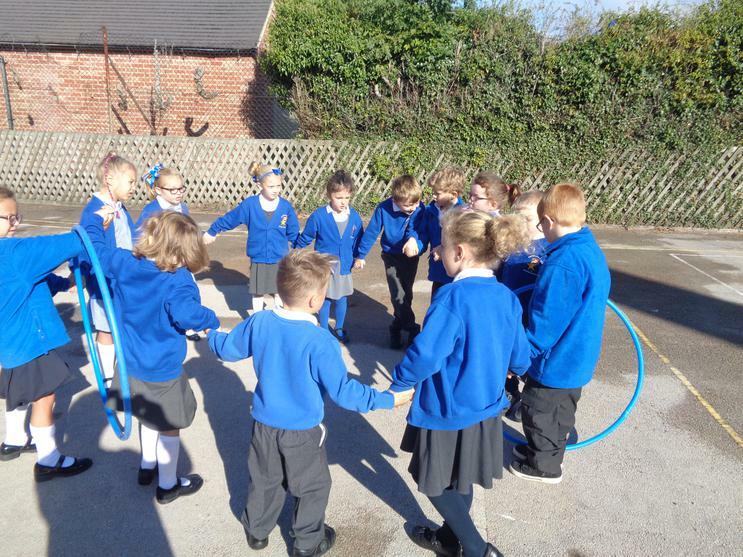 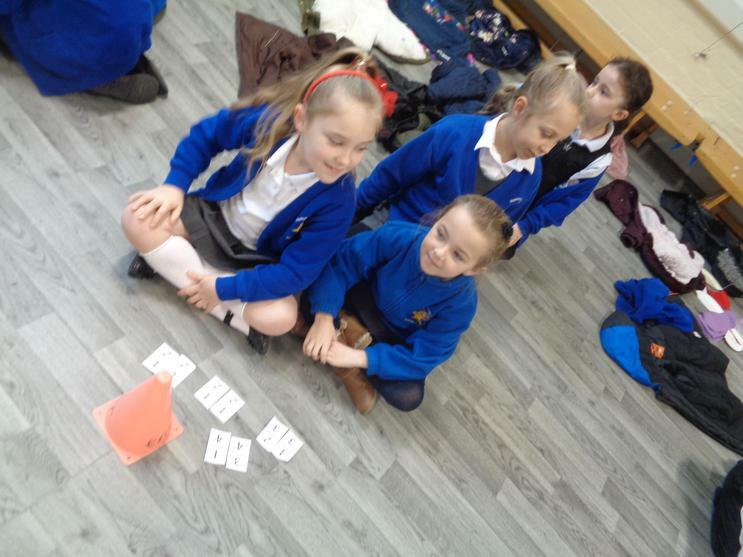 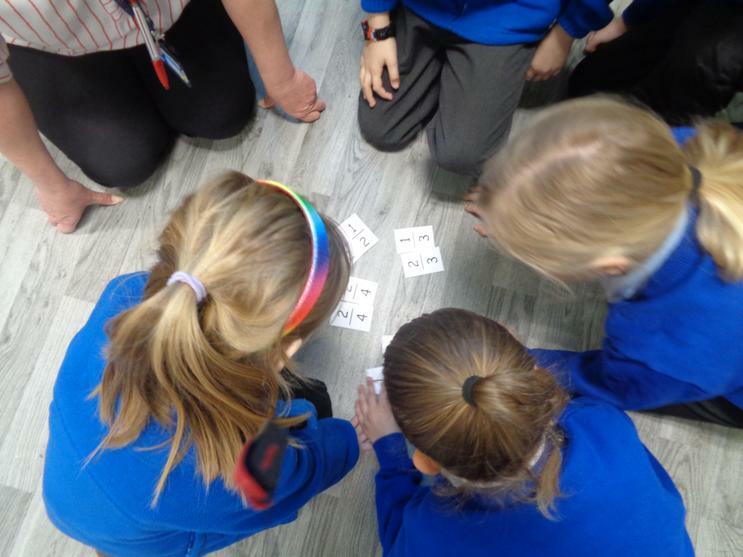 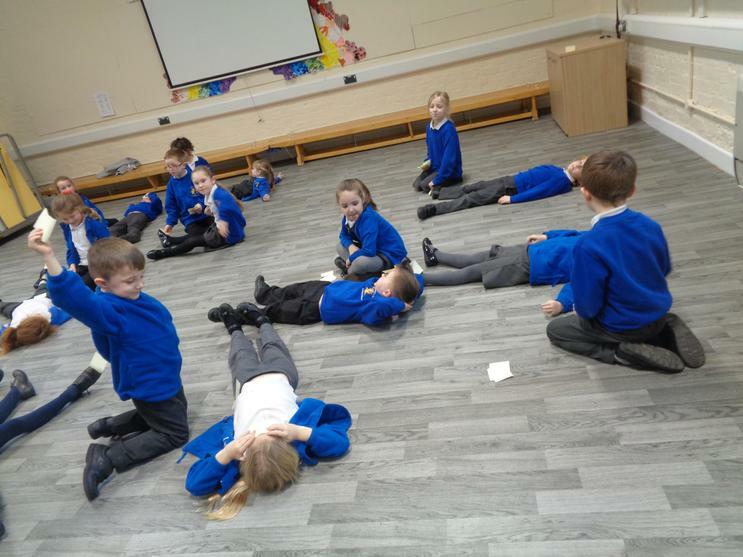 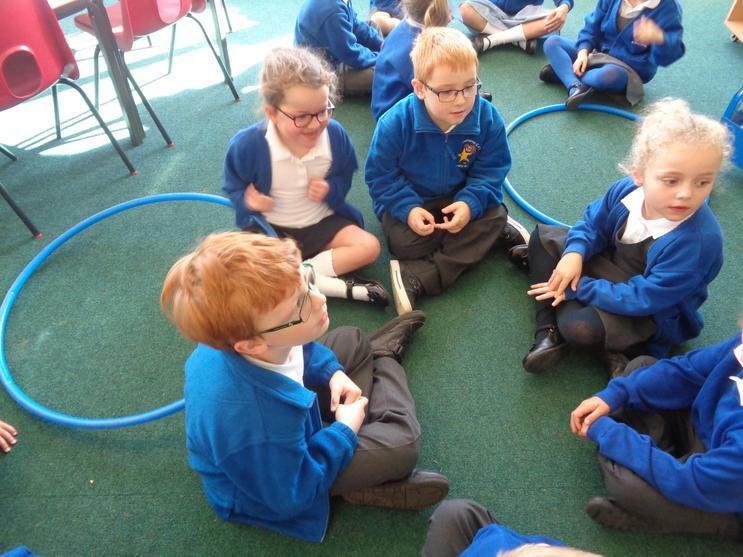 The children have been working really hard to practise the songs, as you can see from the photos, they are really enjoying working together to play the music off Mrs Orme's laptop! 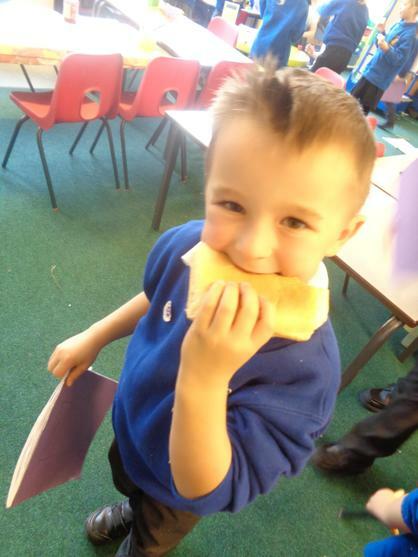 Try the following link to help your child. 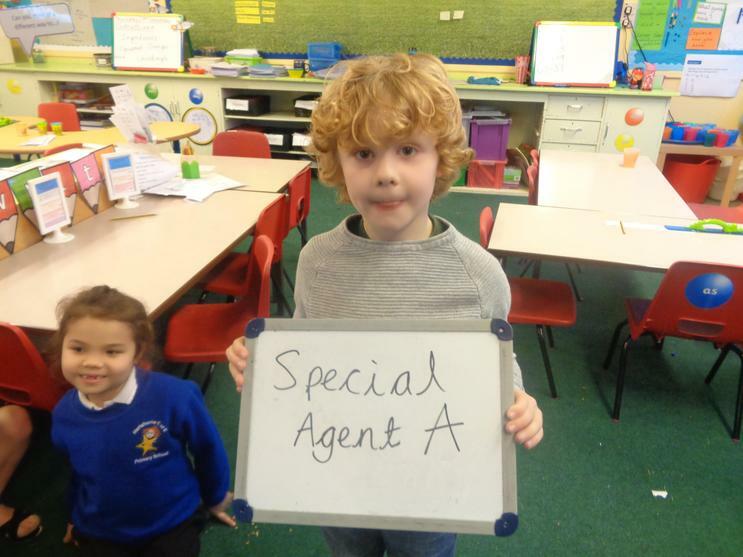 29.11.18- Today was the first session of our Special Agent Training. 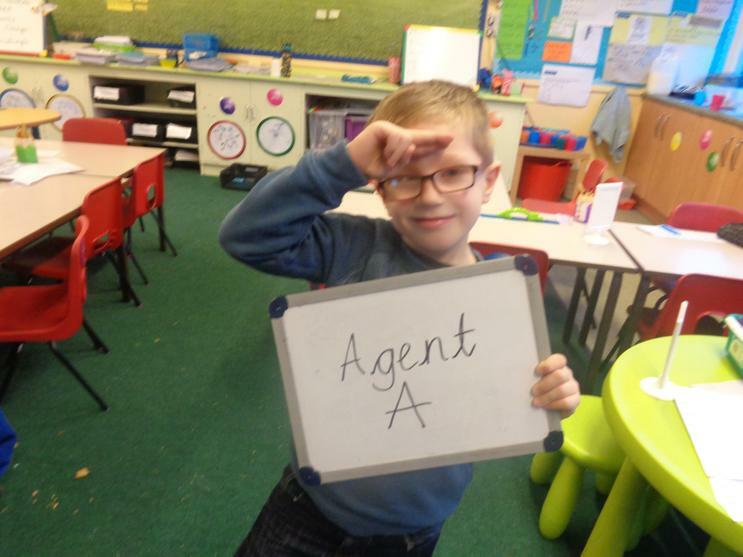 Thank you to Agent Freddie for your wonderful letter, the children were very excited to prove their capabilities. 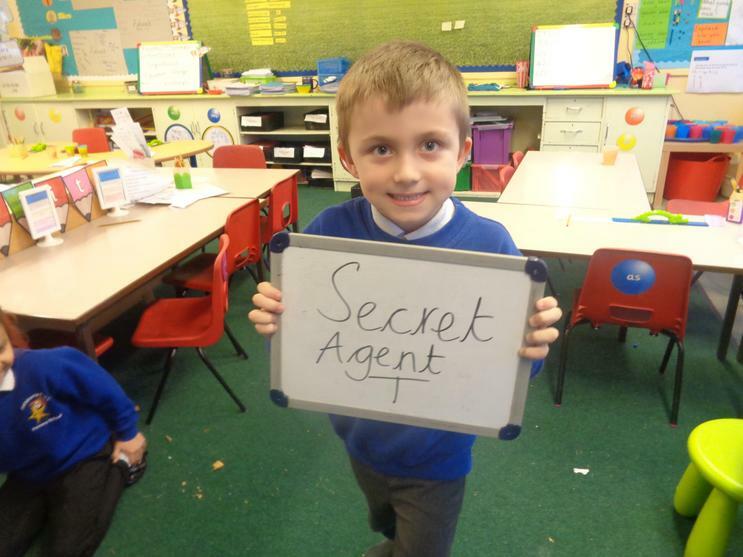 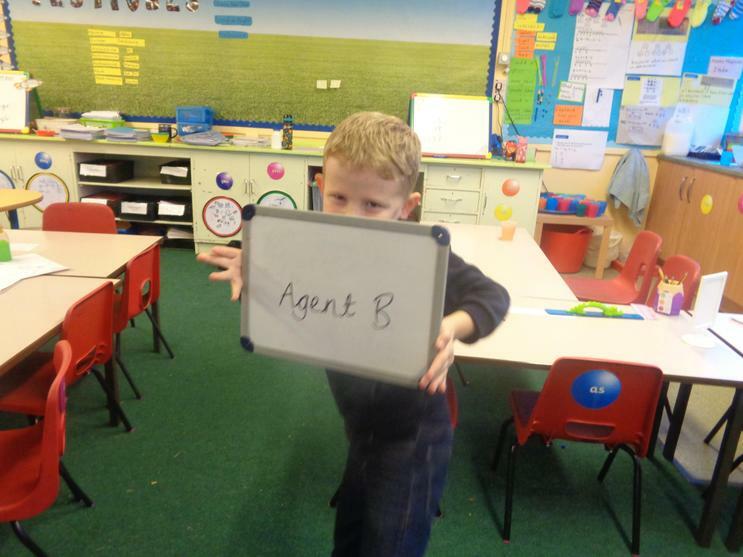 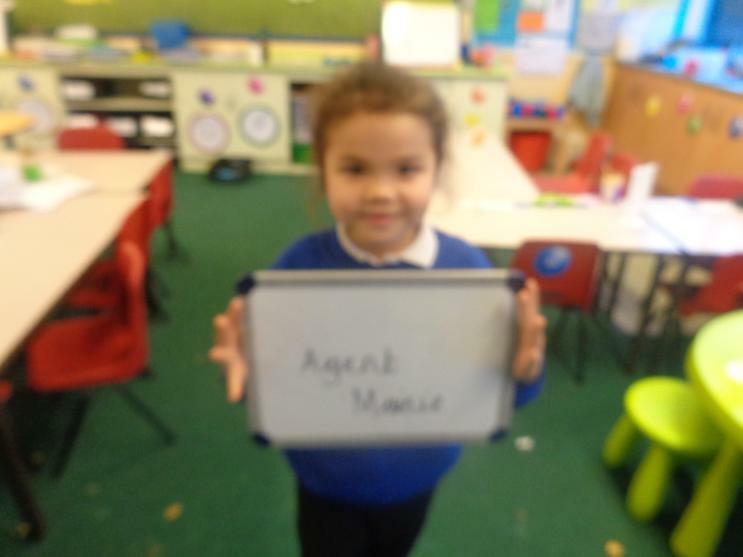 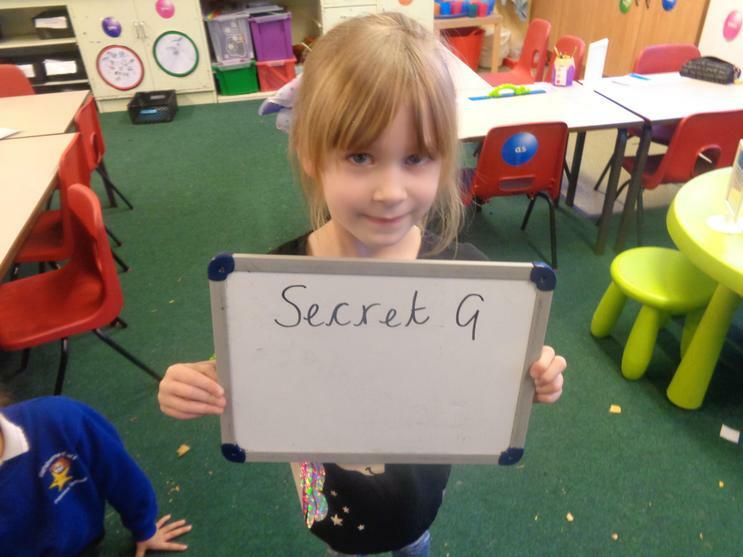 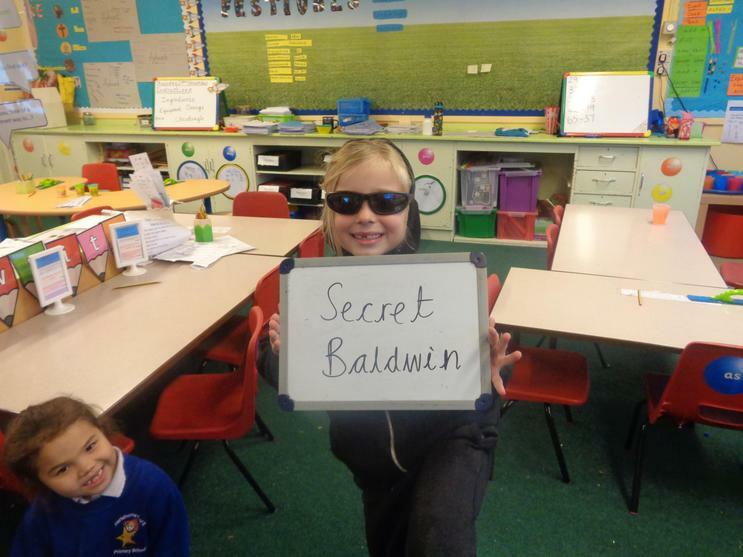 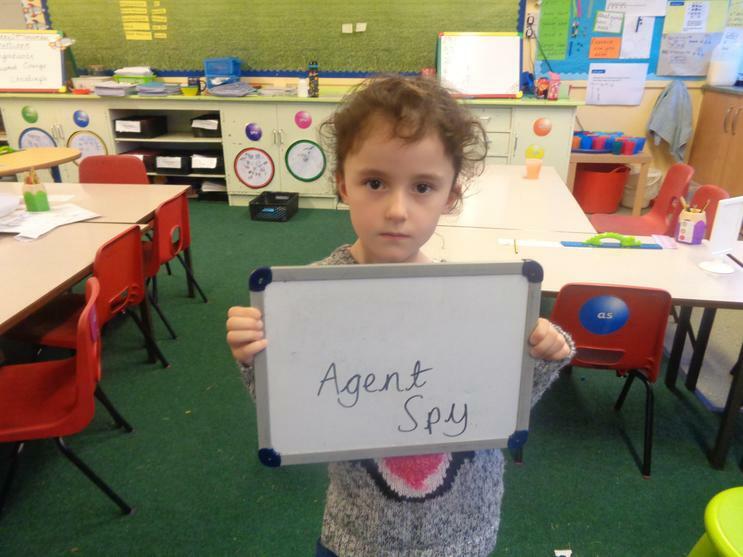 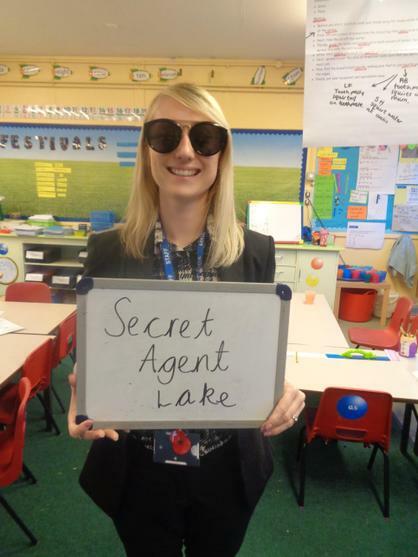 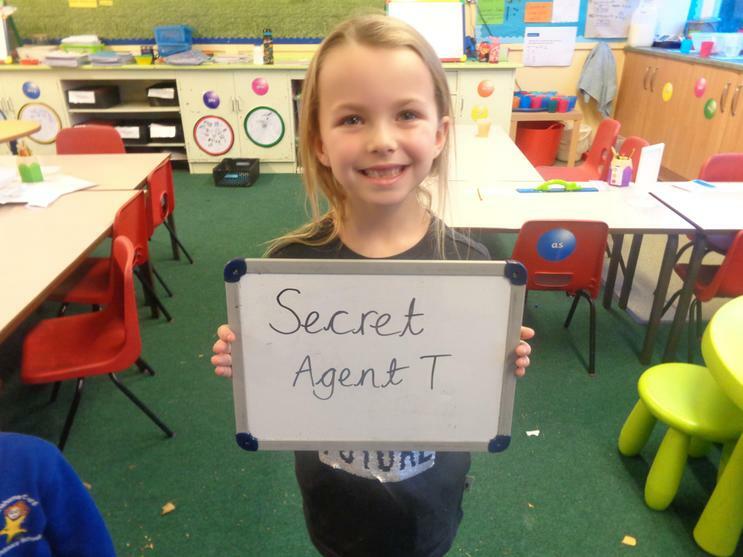 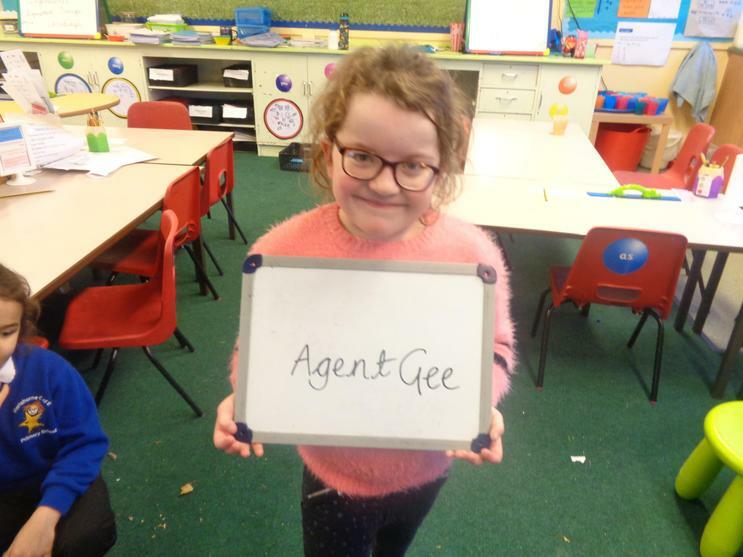 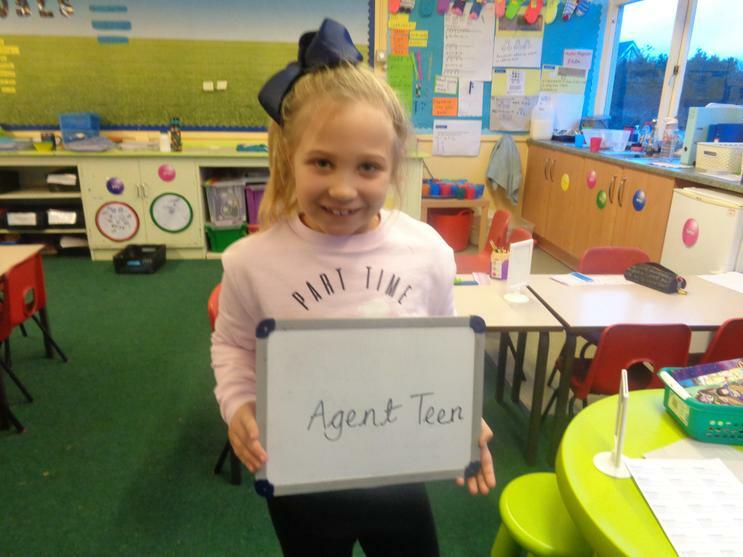 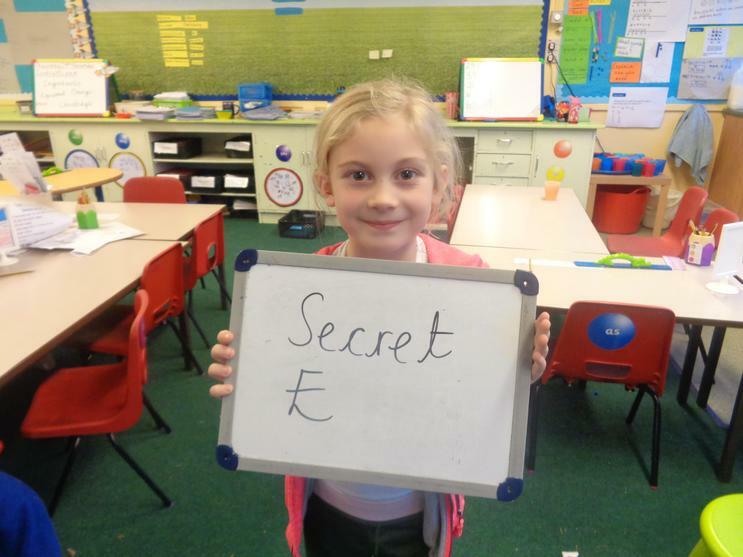 We have created our own Special Agent names and will be using these during our Training sessions. 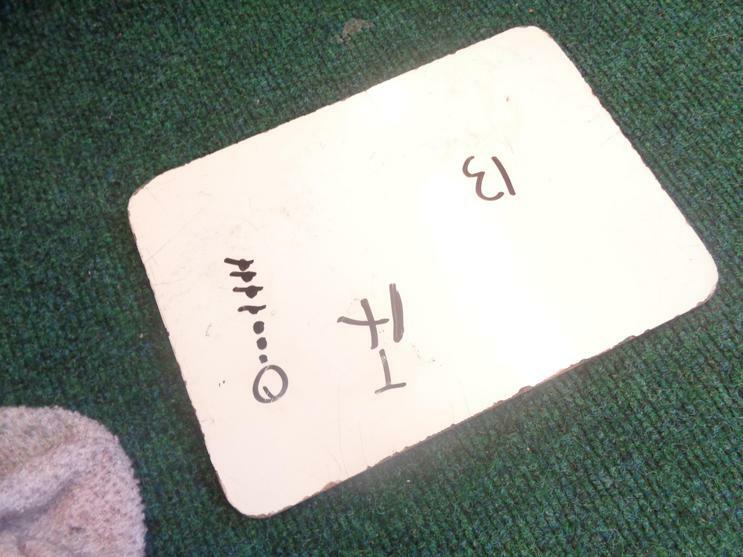 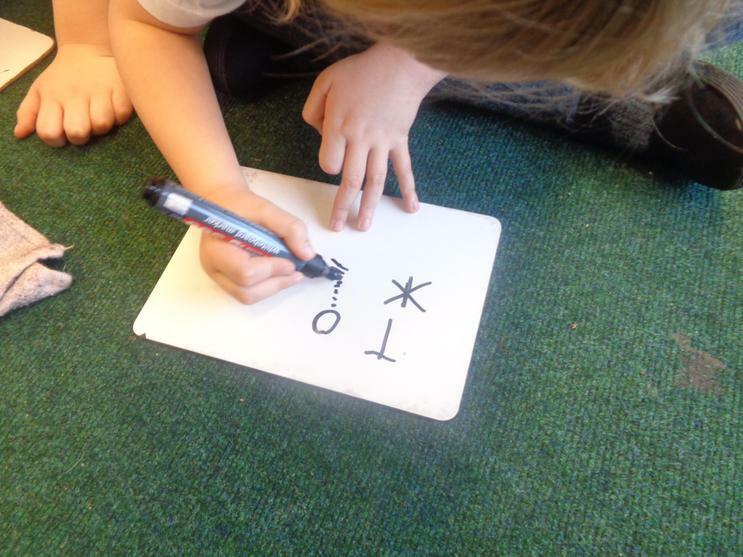 This half term we are learning to add and subtract using practical equipment and pictorial representations. 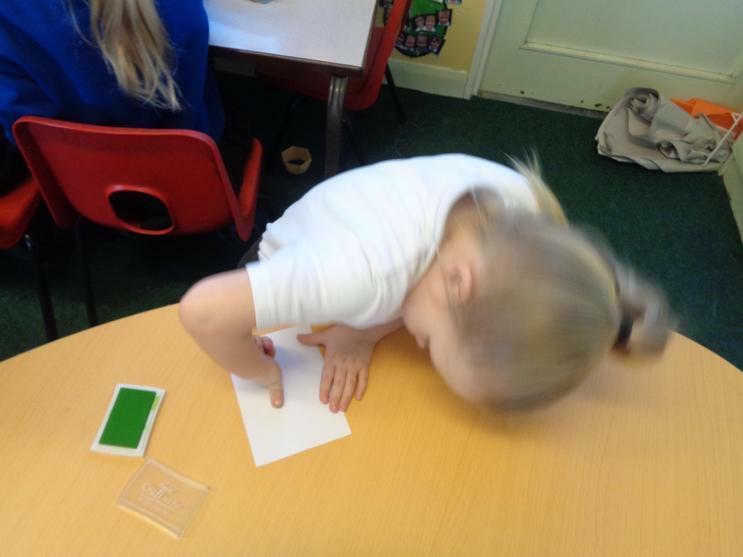 This half term we have been focusing on instructions. 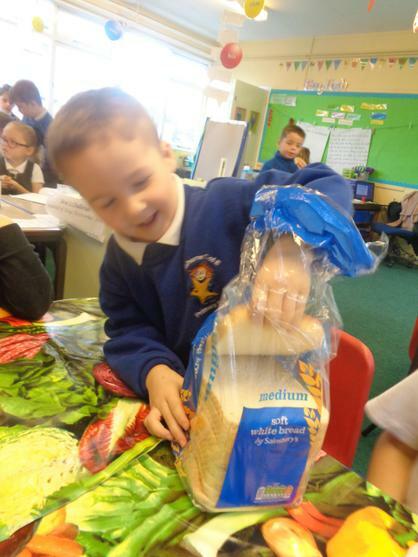 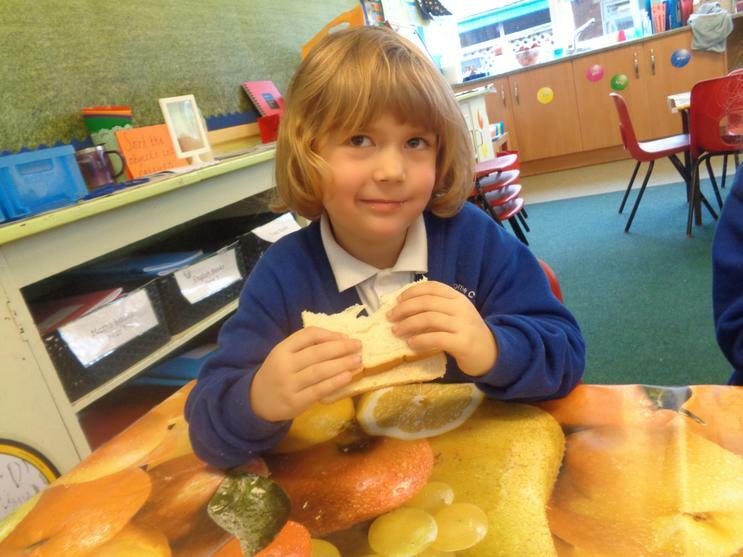 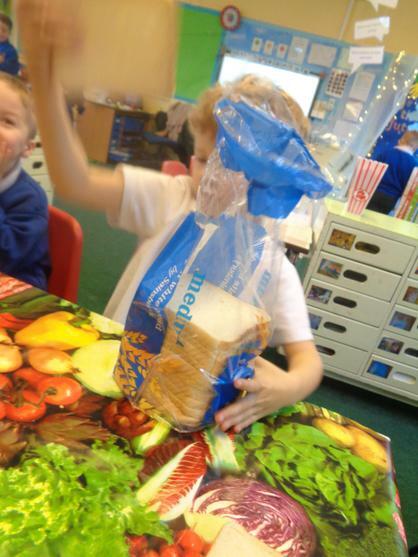 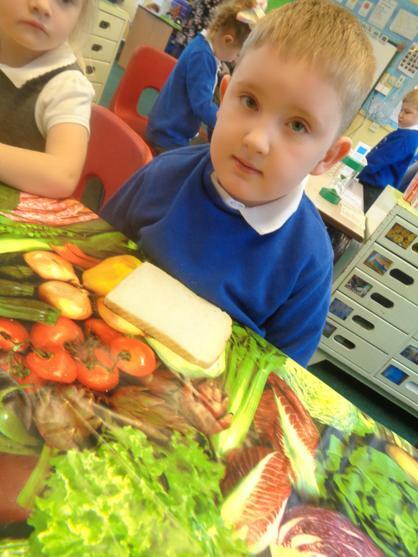 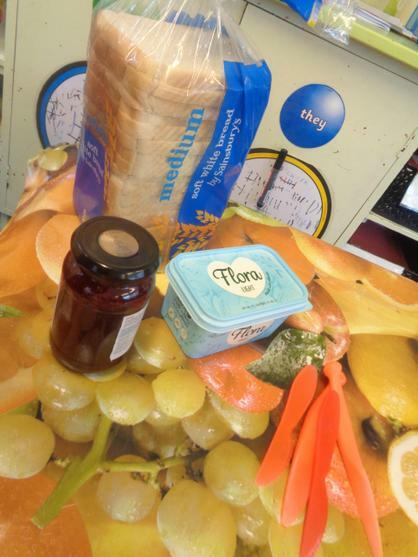 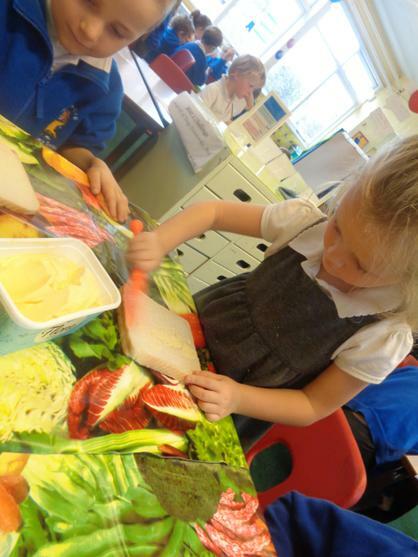 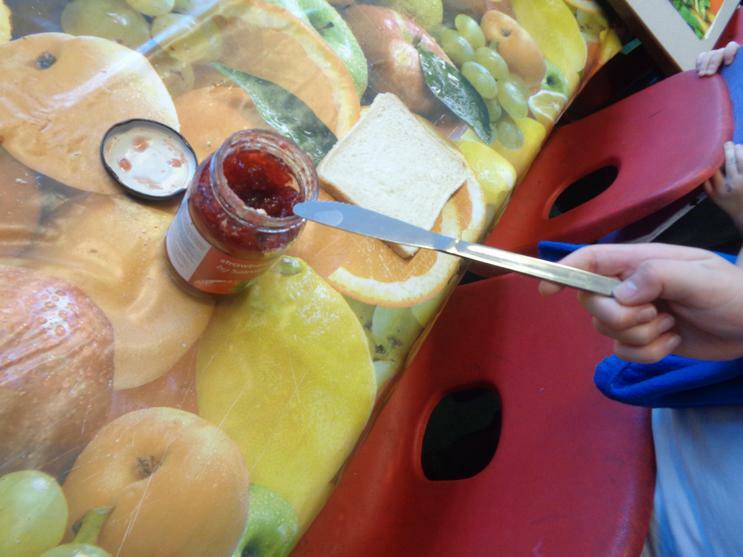 To start off the topic, we all made a jam sandwich and they were extremely yummy! 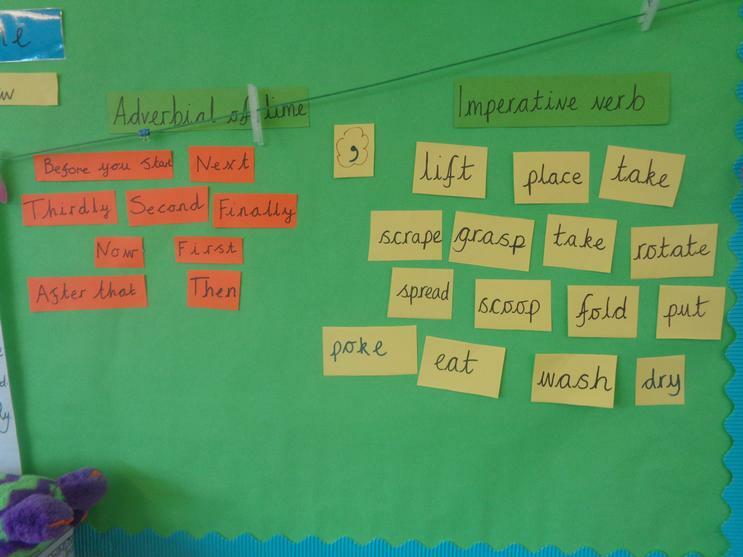 This half term we are learning to identify imperative verbs and adverbials of time. 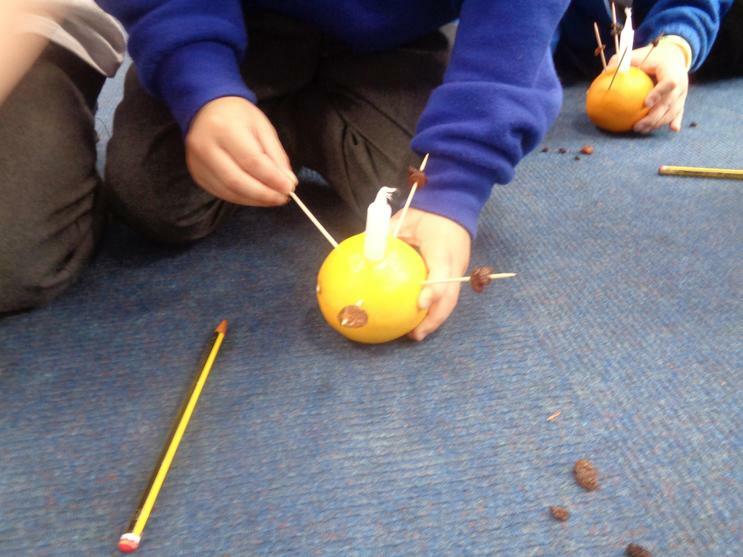 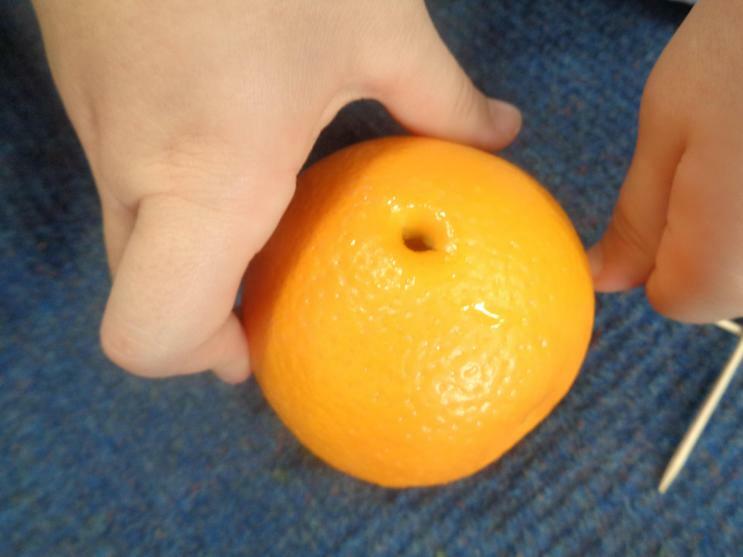 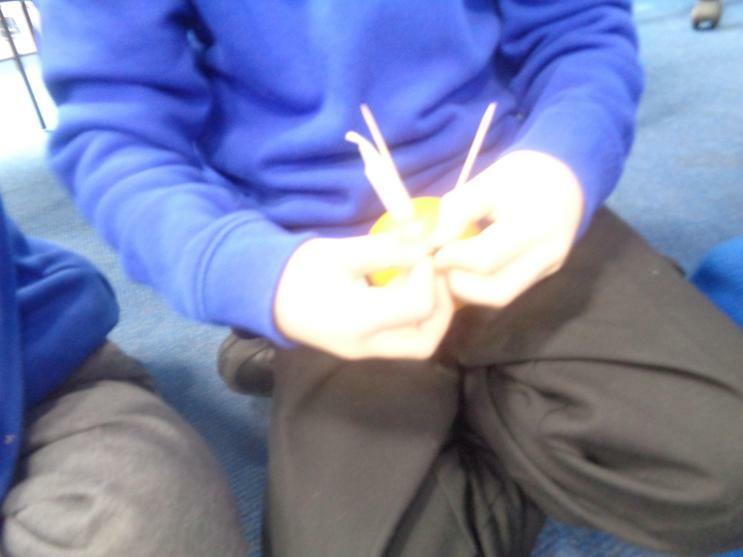 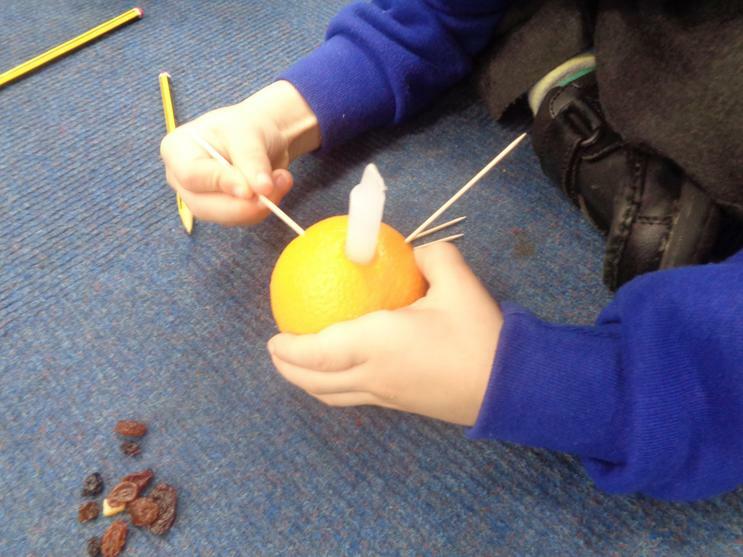 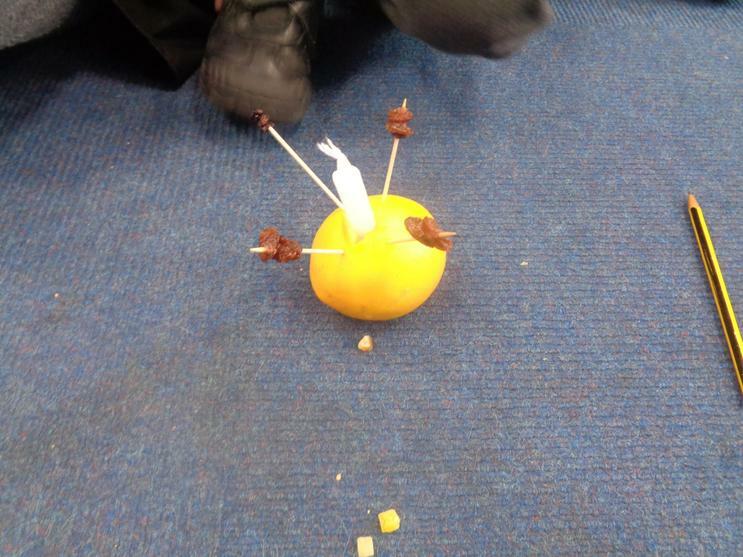 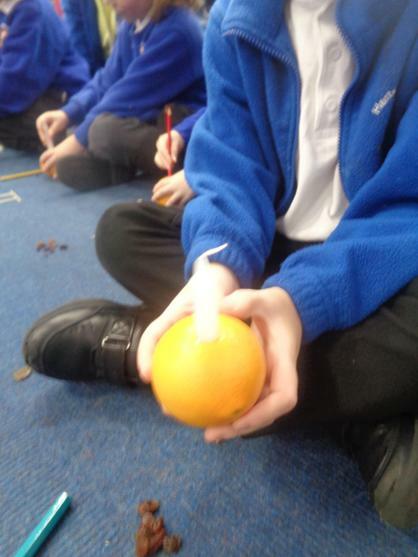 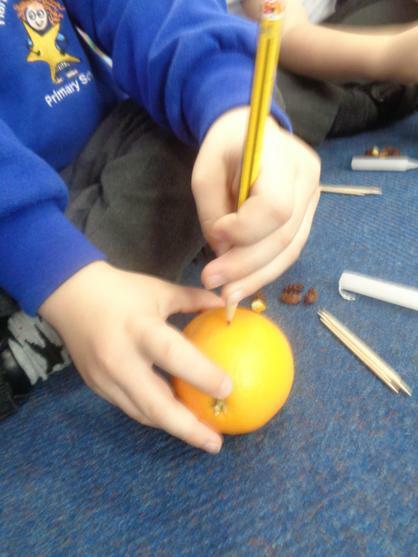 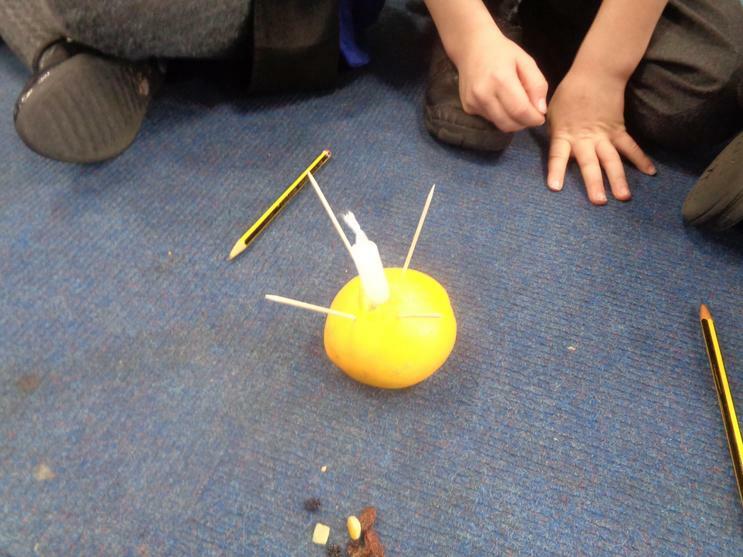 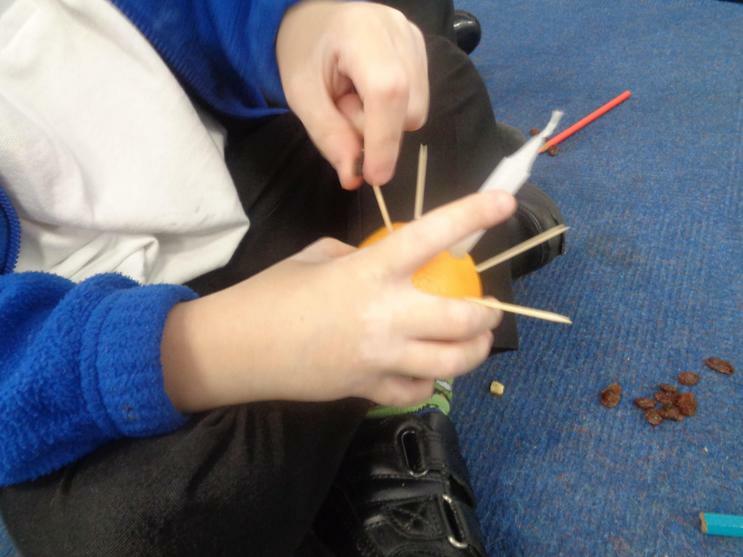 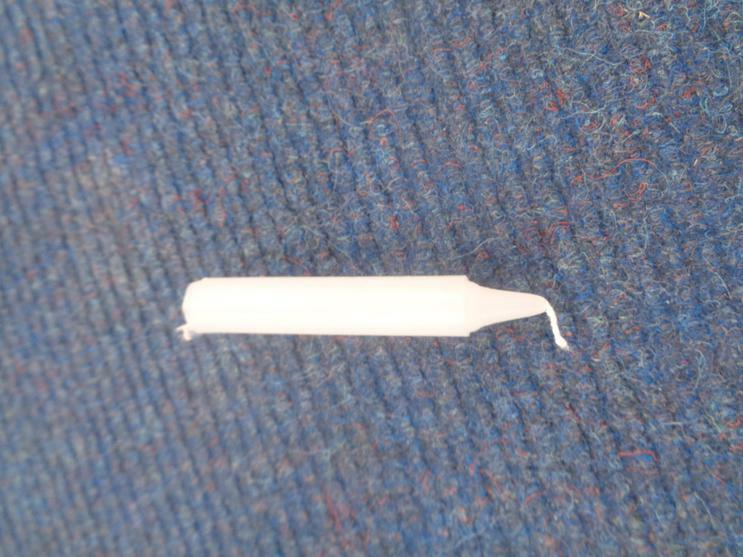 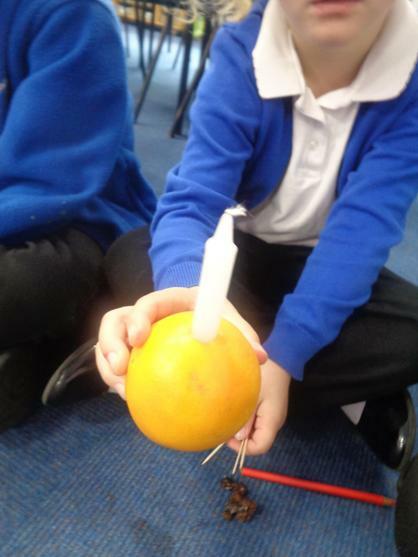 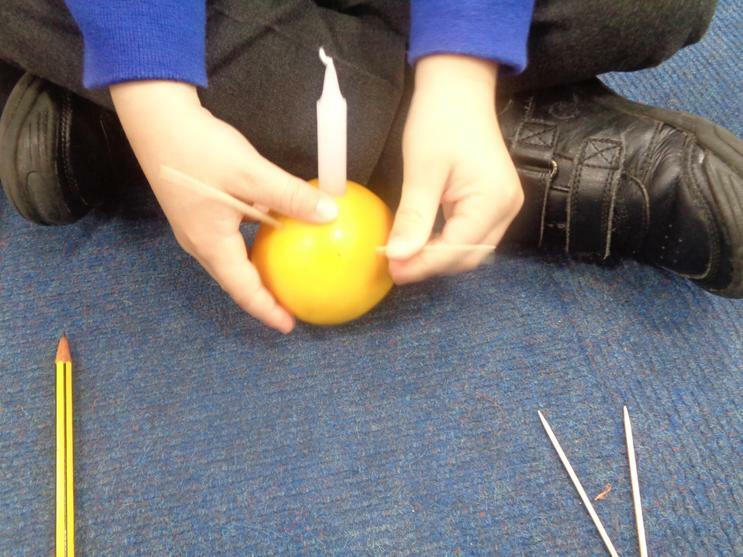 As part of our innovation in English, we have made a Christingle. 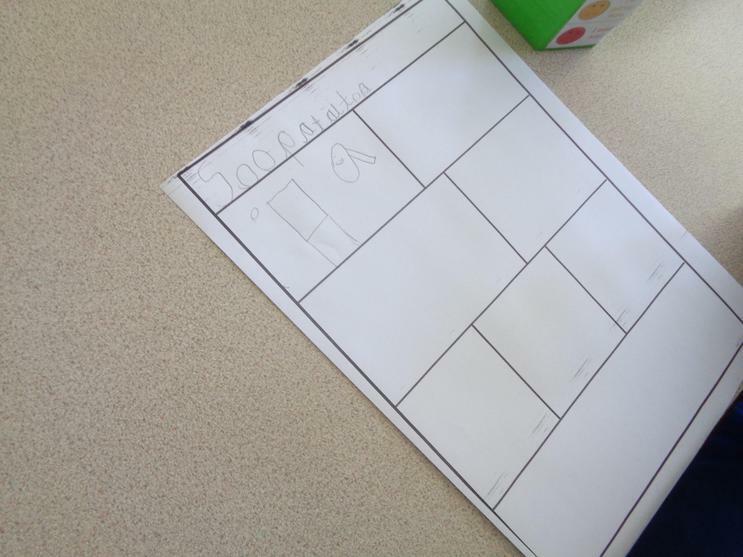 We have started to draw story maps for the instructions then we will write the instructions using a range of adverbials of time and imperative verbs. 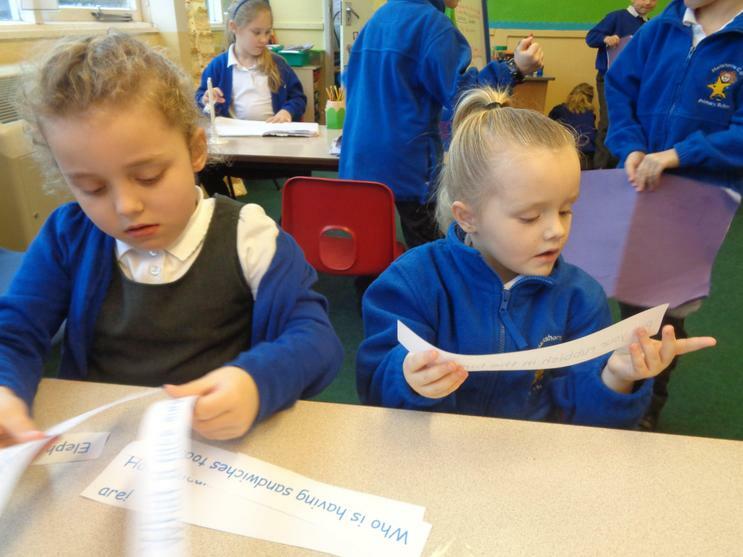 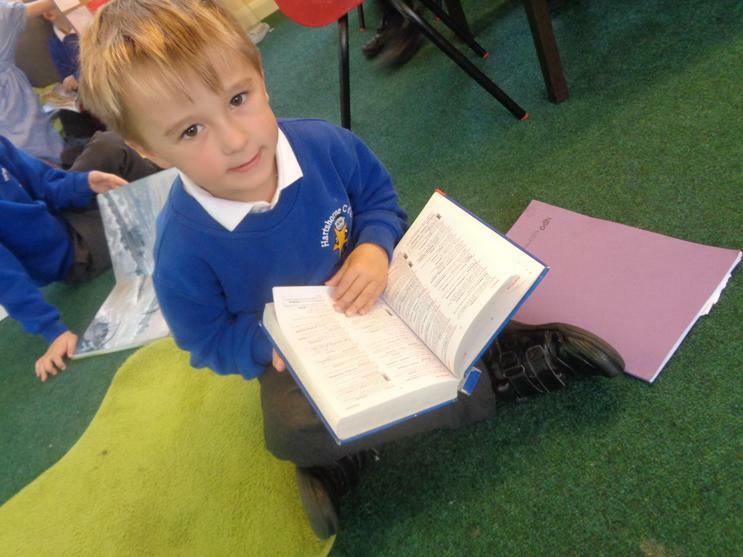 Willow class can also identify the different features of an instructions text. 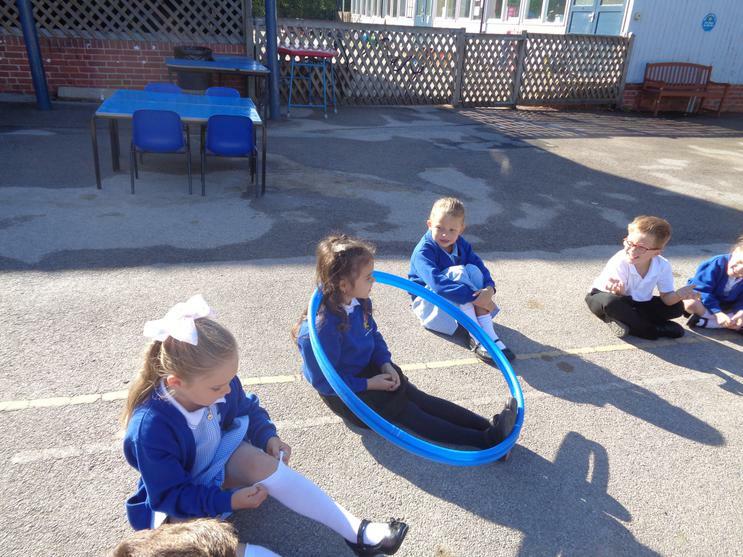 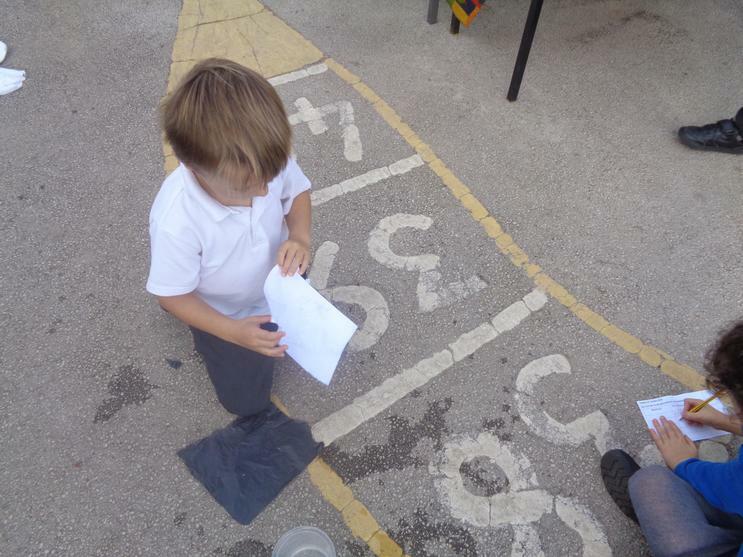 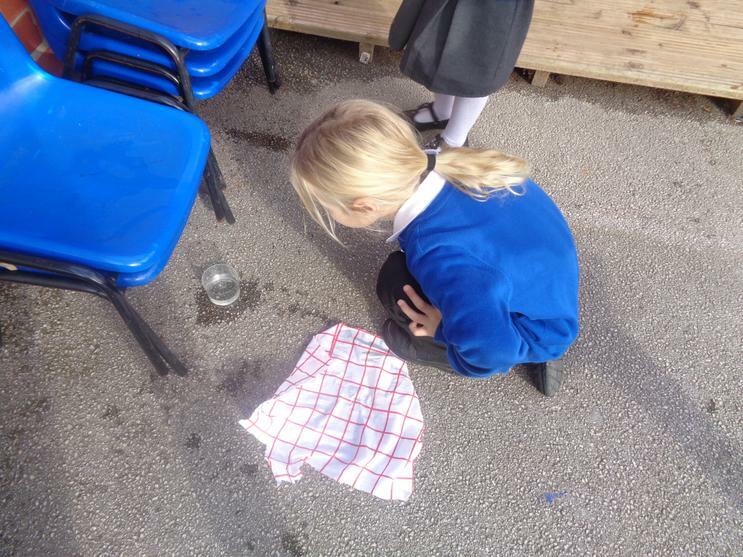 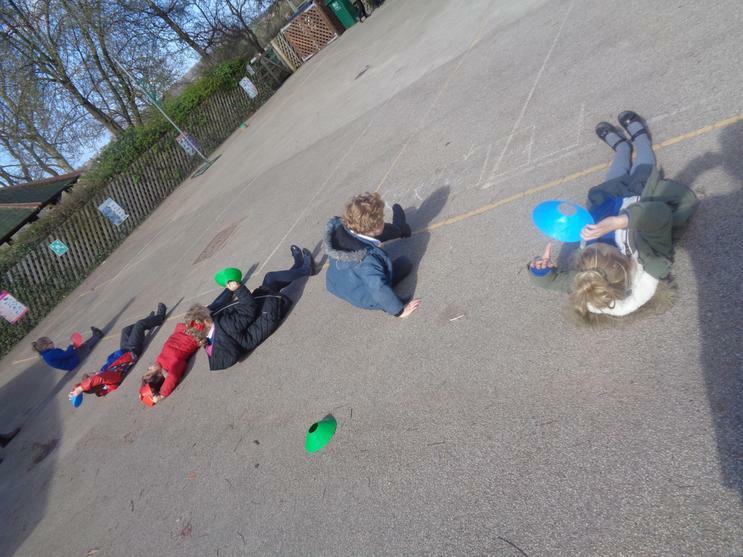 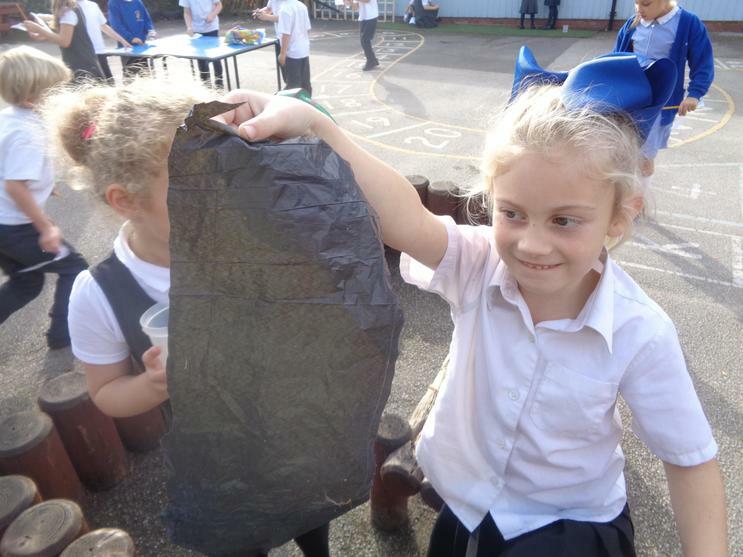 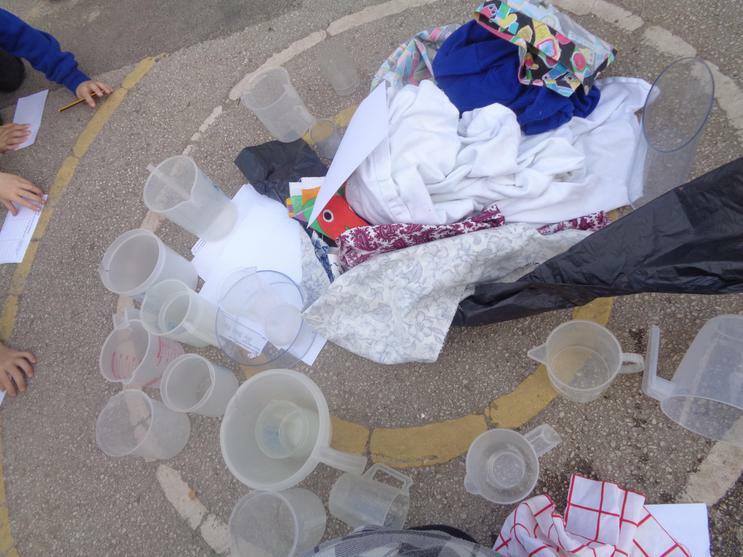 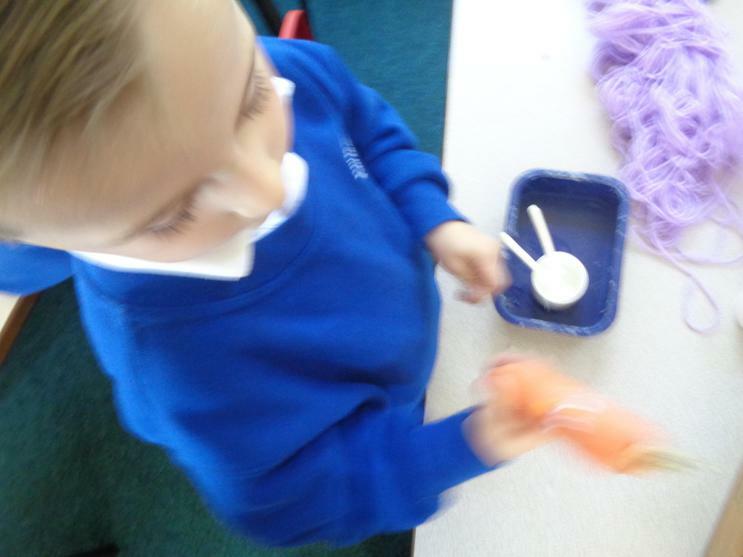 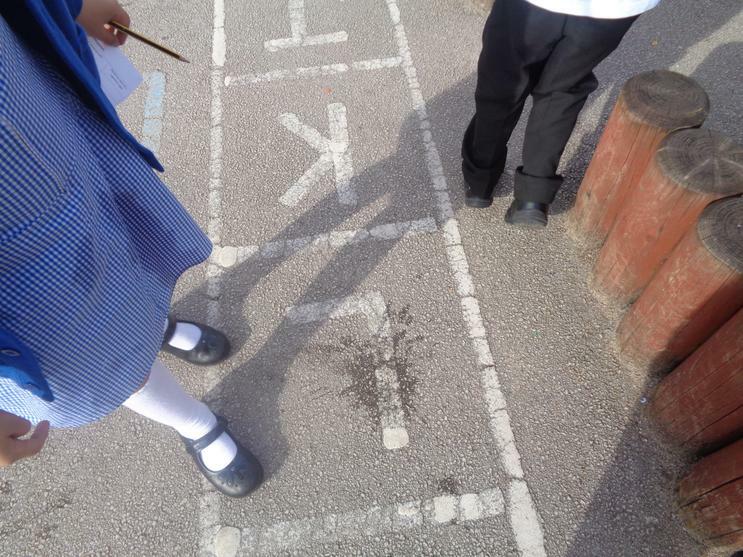 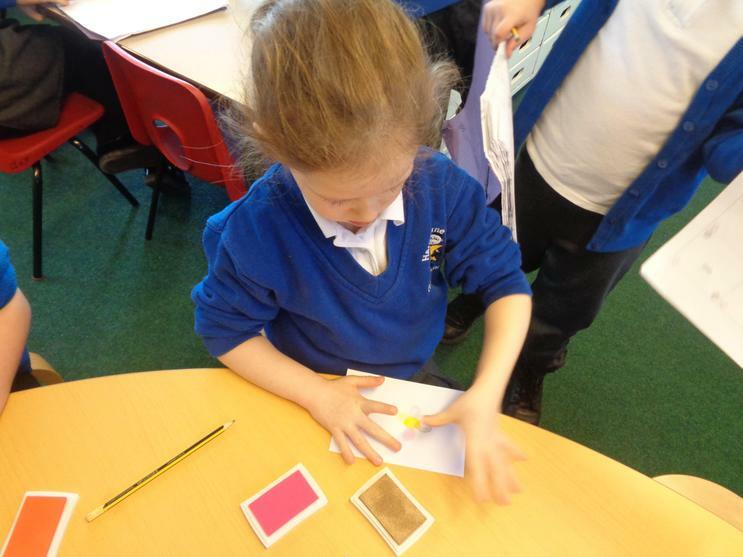 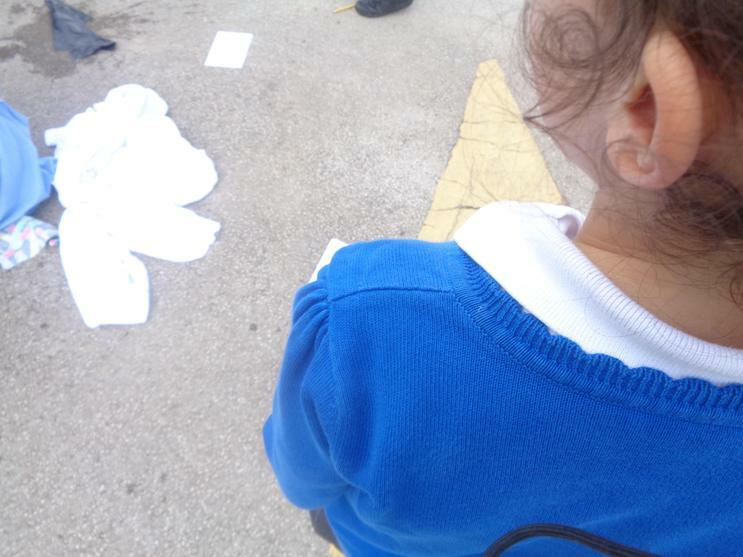 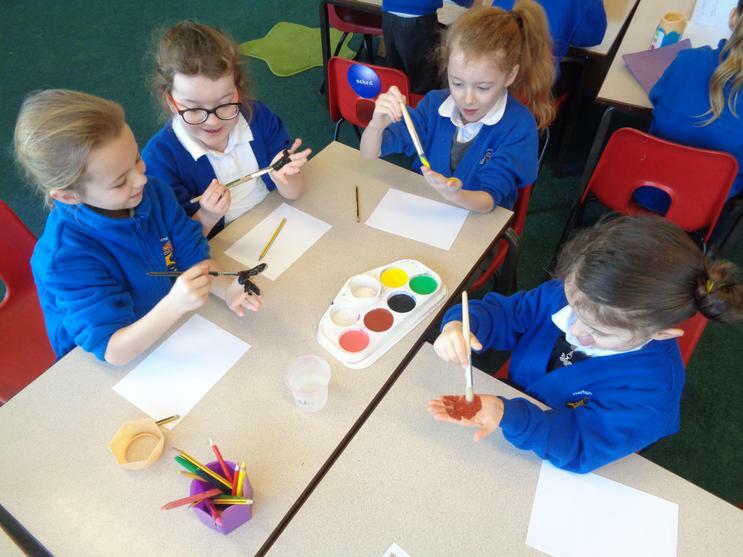 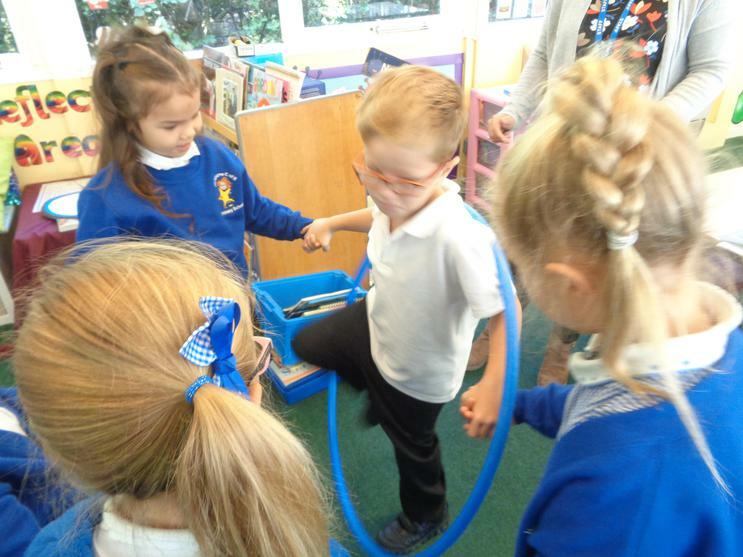 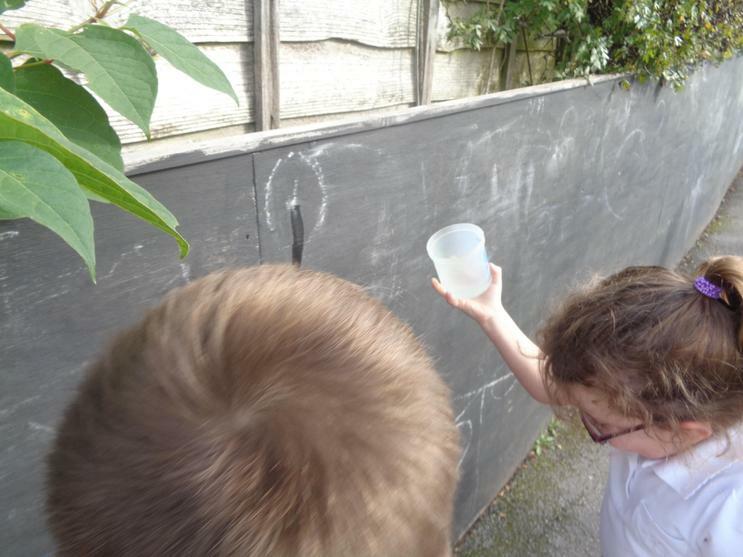 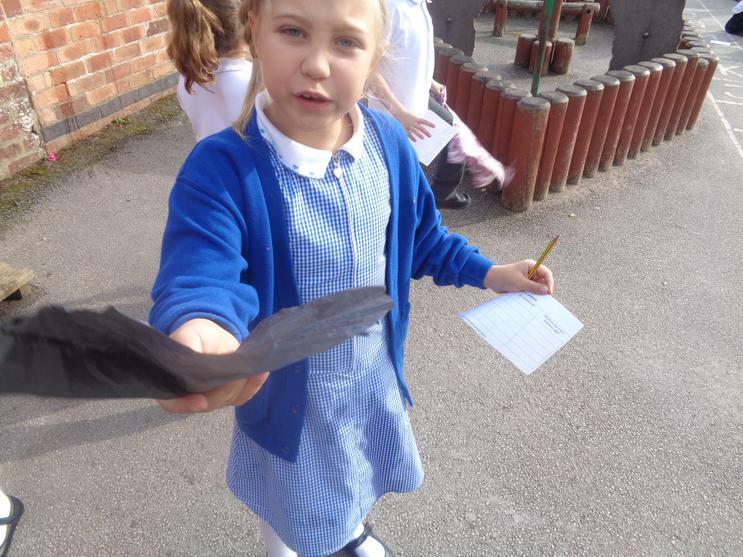 In Science, we have been learning about different materials and today (Wednesday 17th October) we investigated which materials are waterproof. 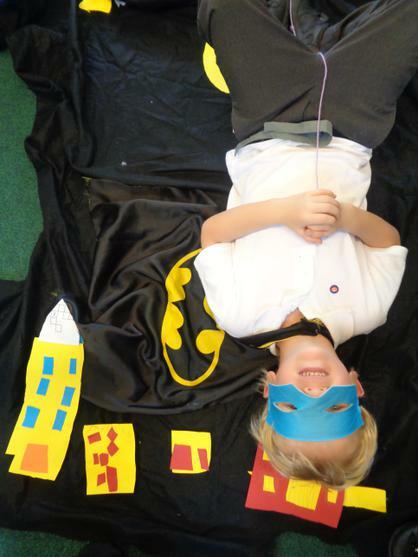 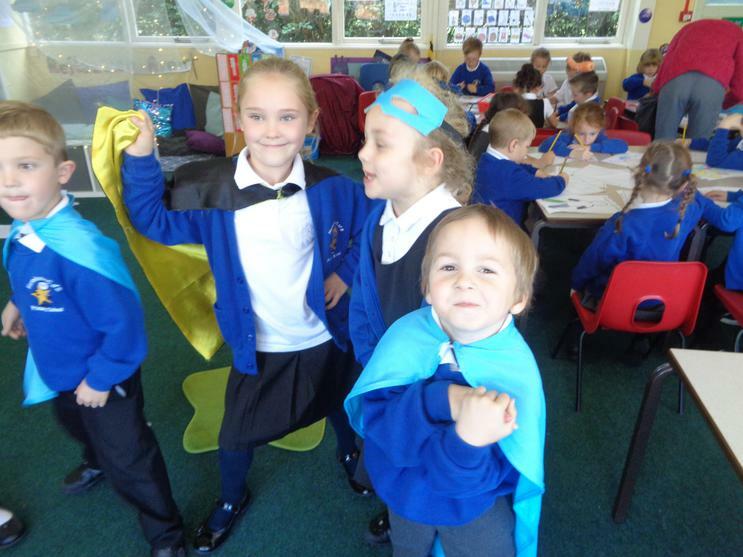 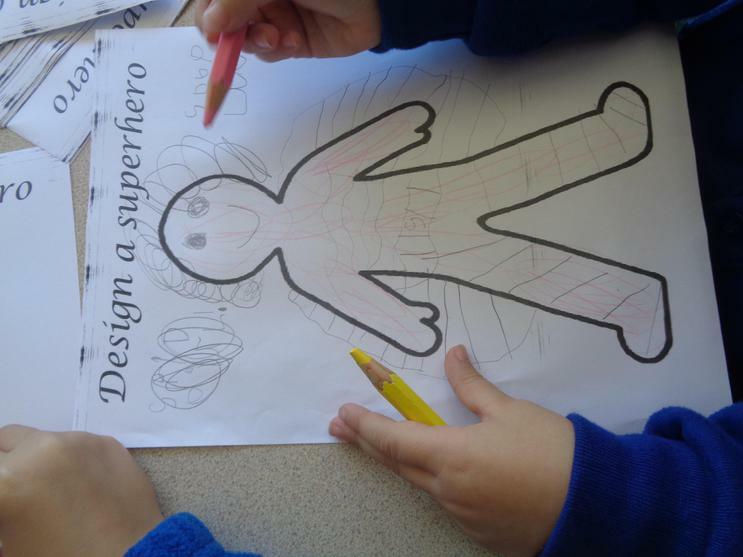 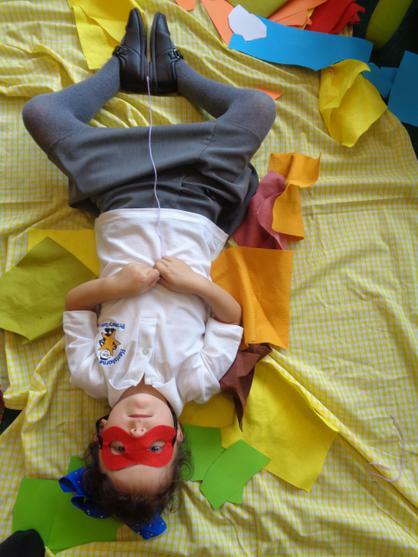 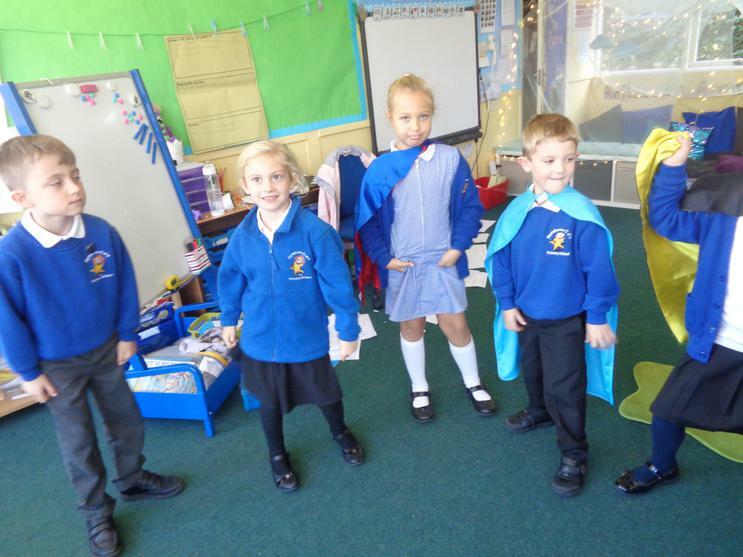 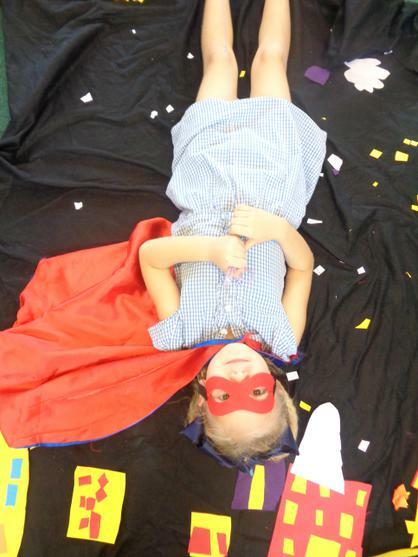 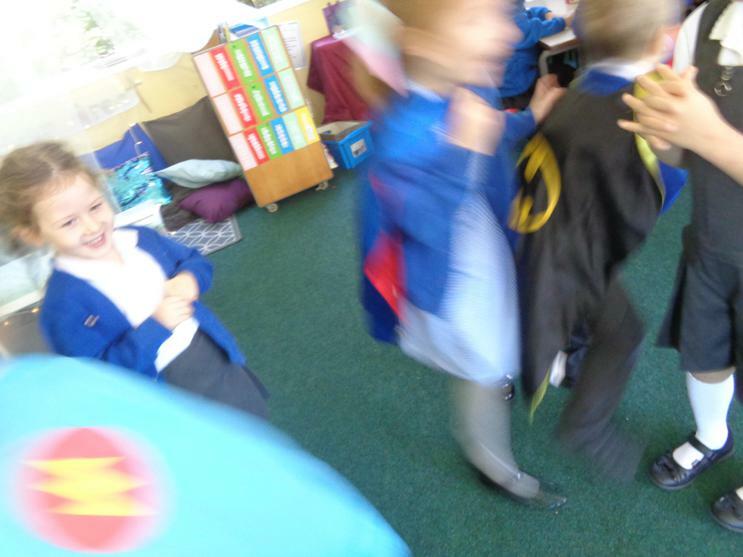 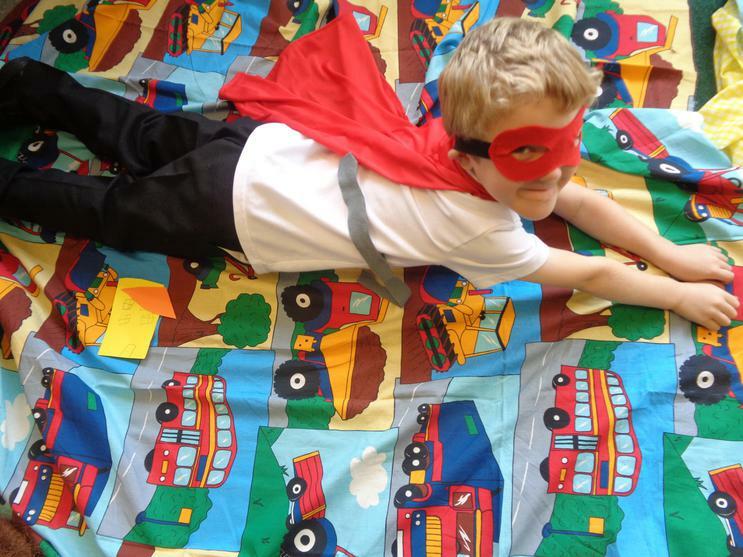 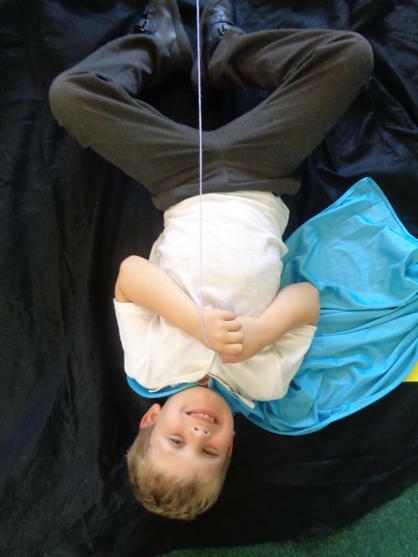 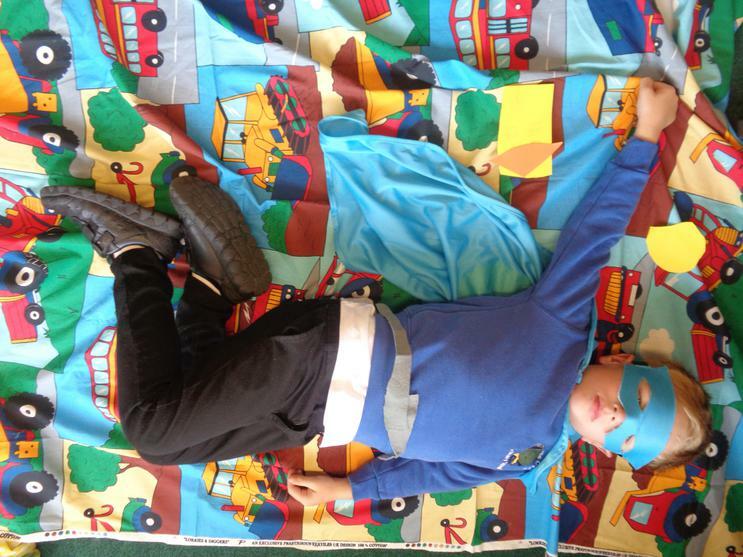 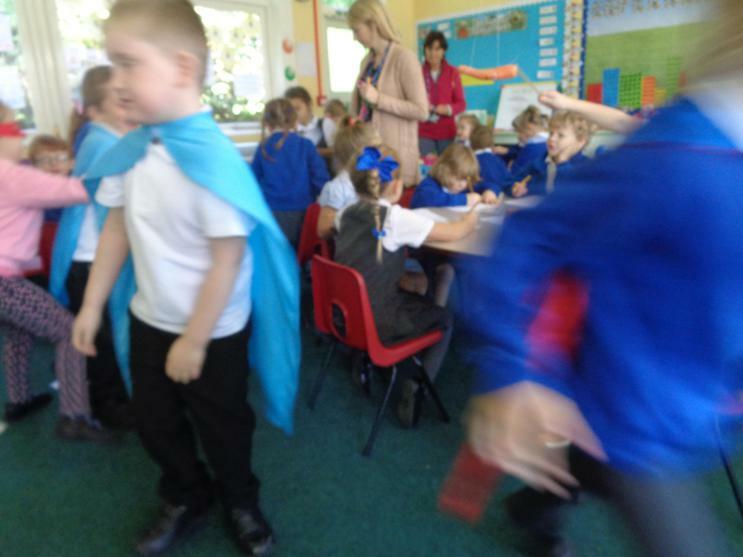 We found out that plastic is the best waterproof material and this is the best material for a superhero cape. 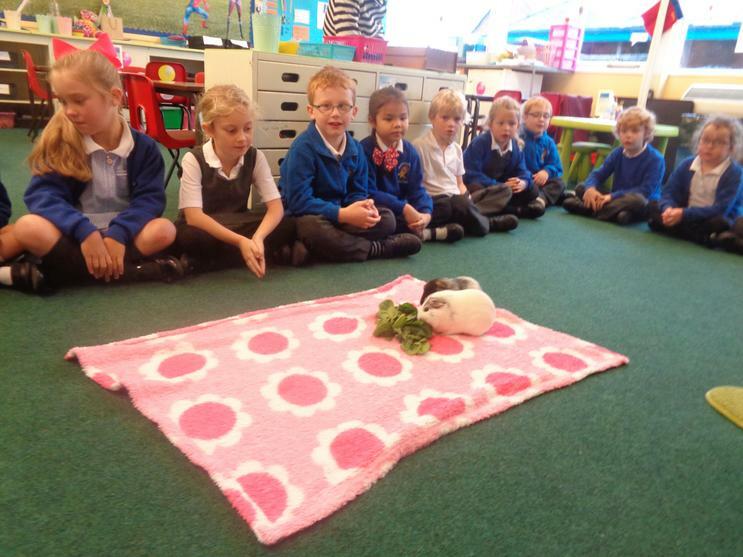 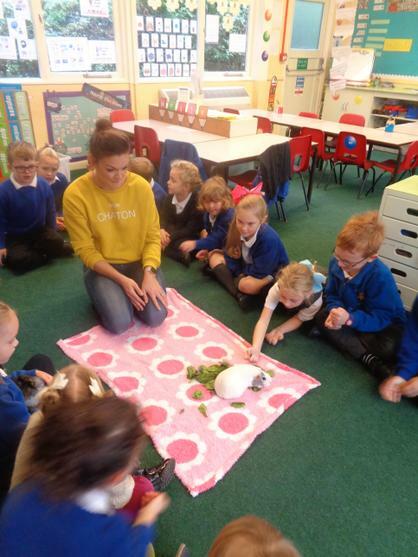 Thank you to Scarlet's mummy for bringing in the guinea pigs. 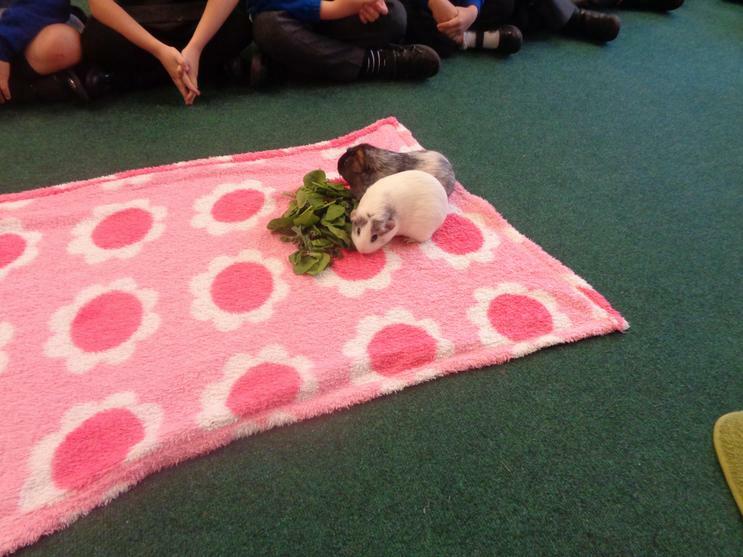 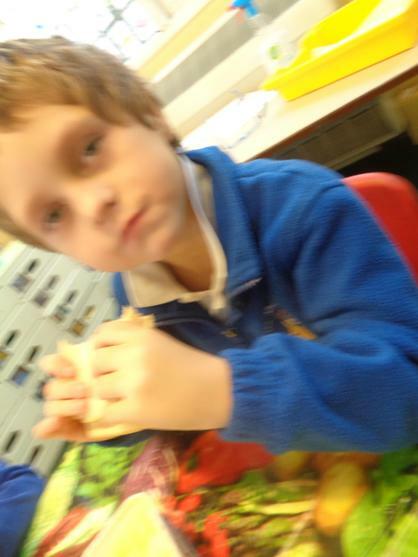 We watched them eat some yummy food and we compared them to the rabbits that we have previously met. 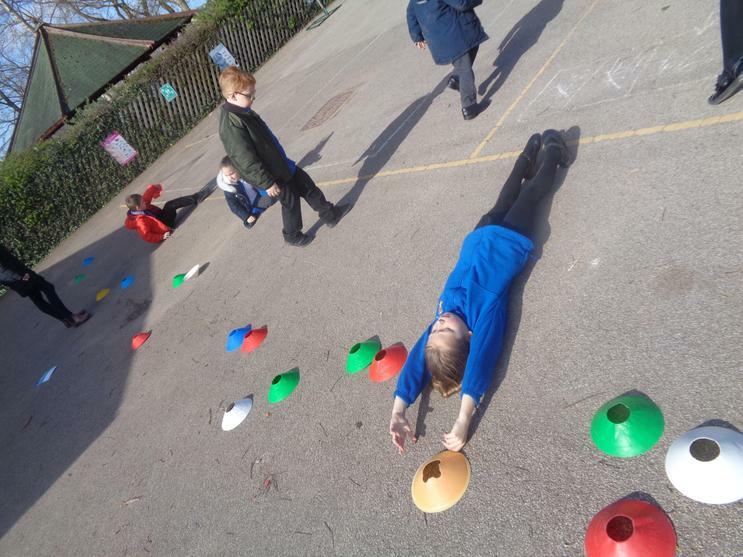 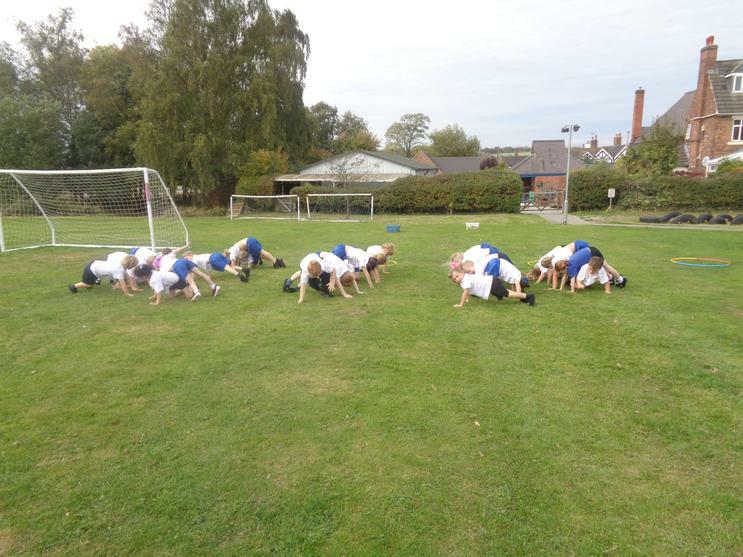 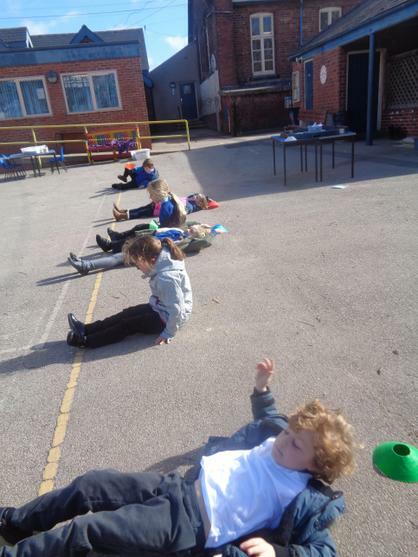 In PE this half term we have been working on strengthening our core. 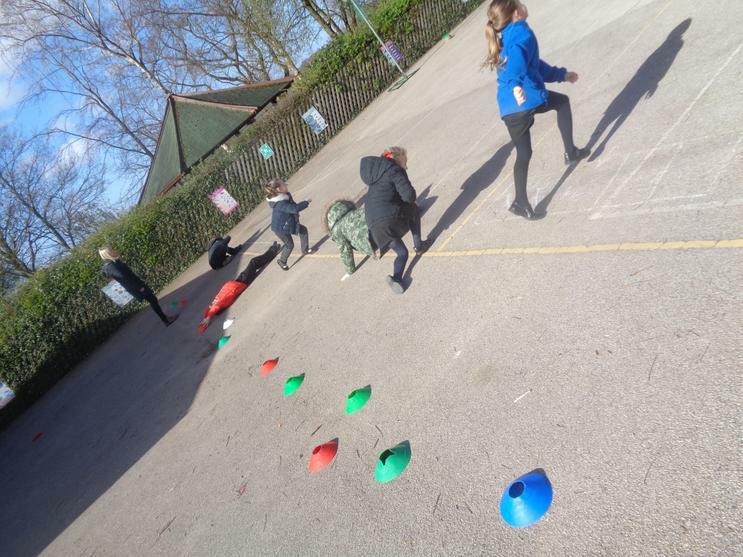 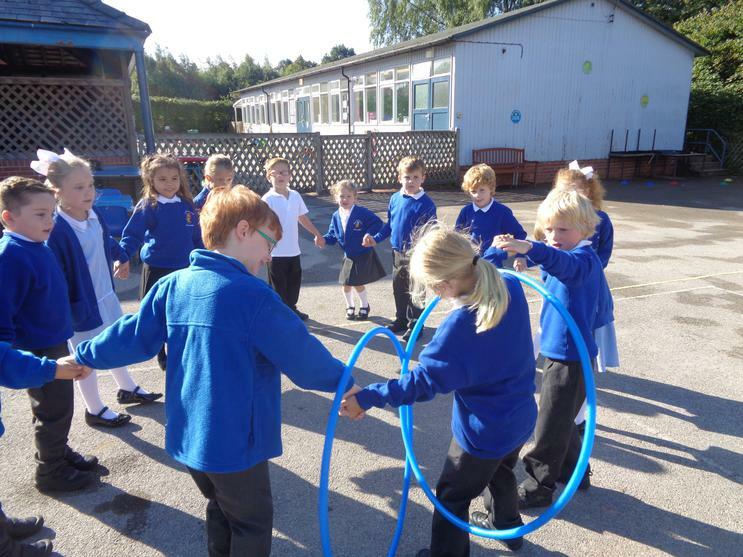 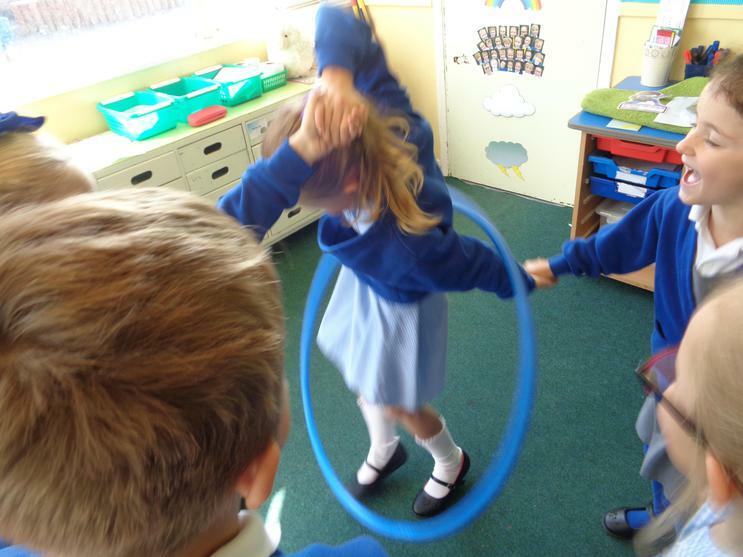 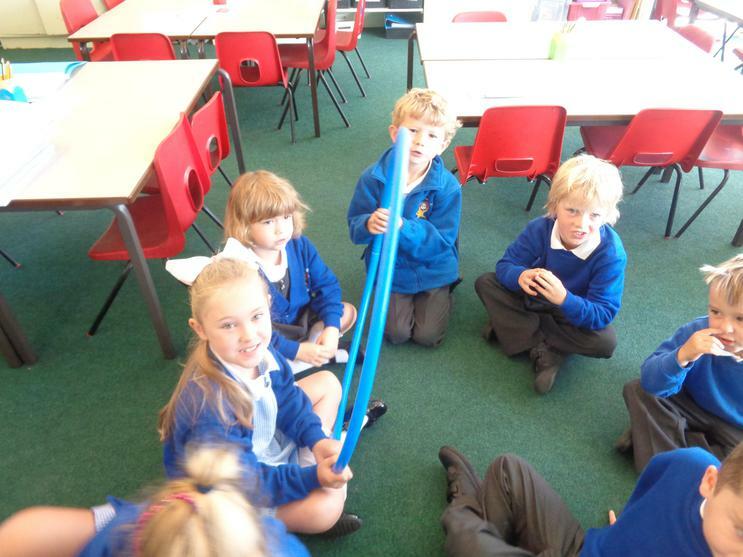 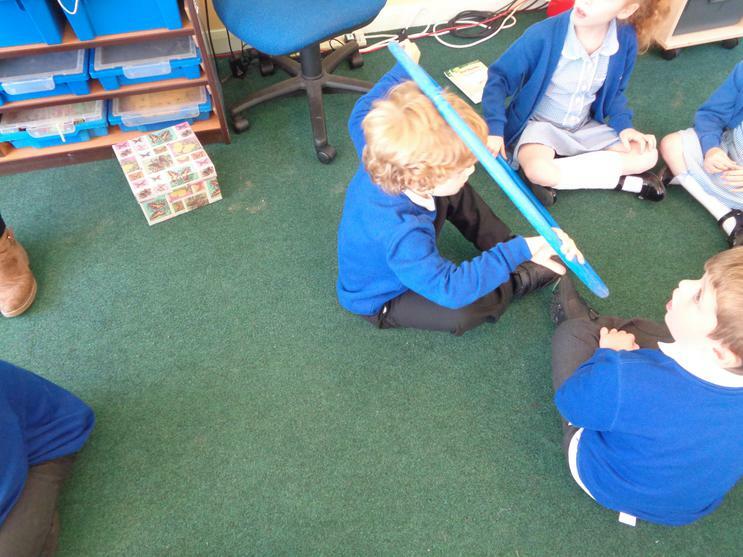 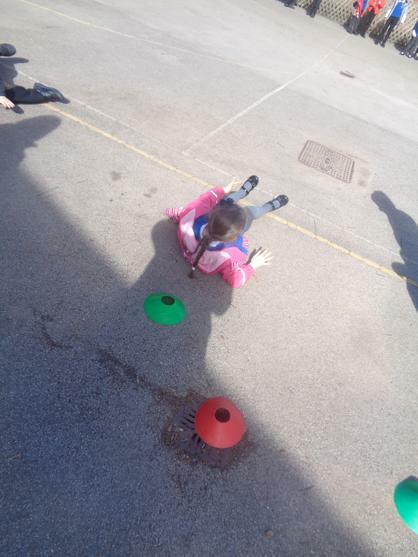 We have played lots of different games to make us stronger. 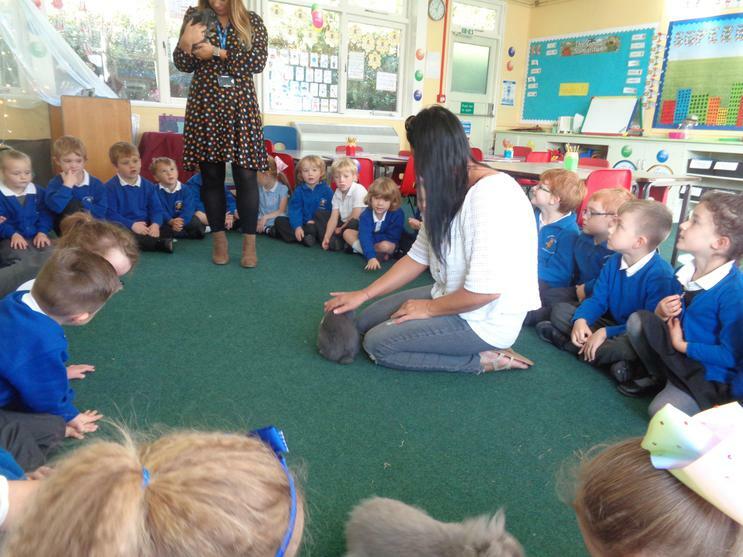 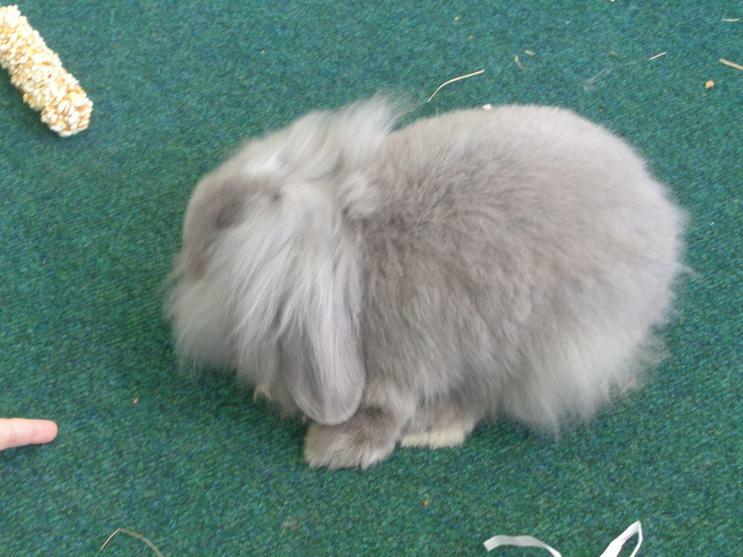 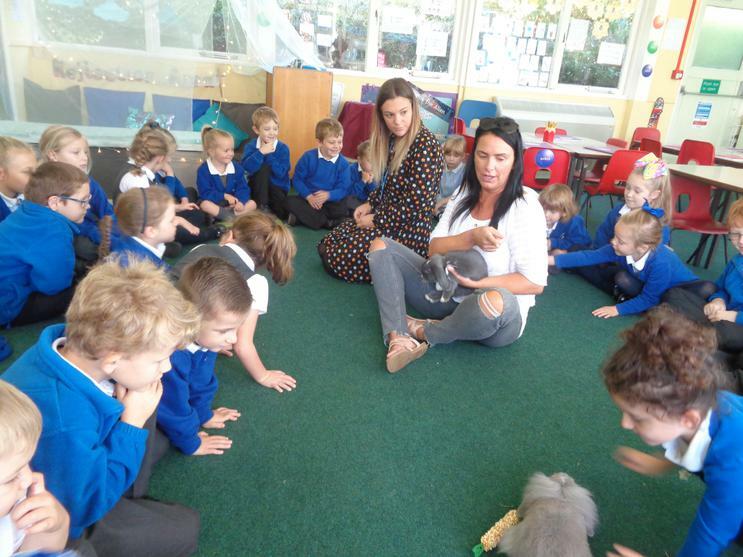 Thank you to Tia's mum and sister for bringing in her lovely rabbits. 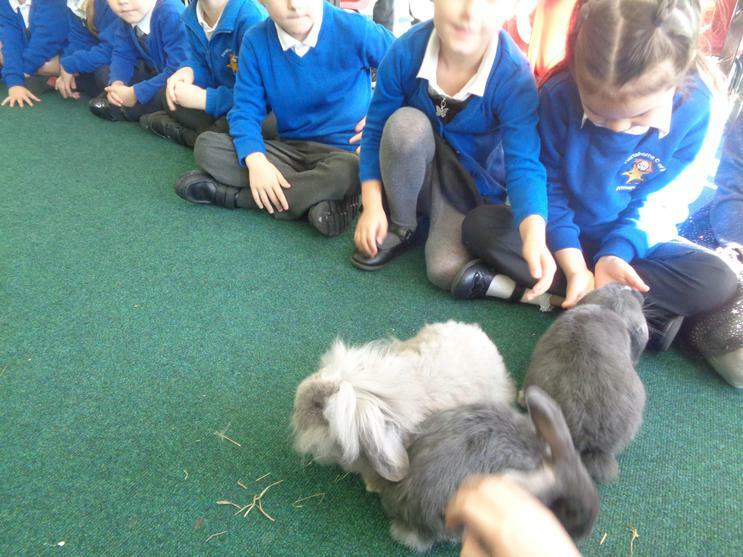 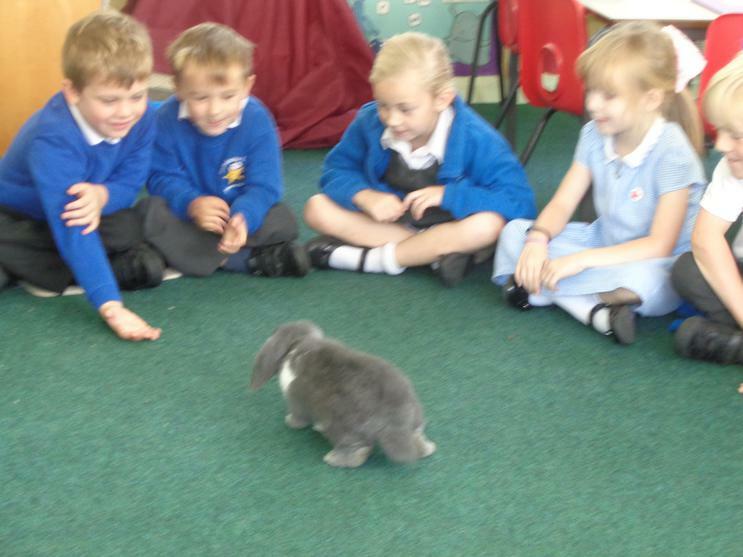 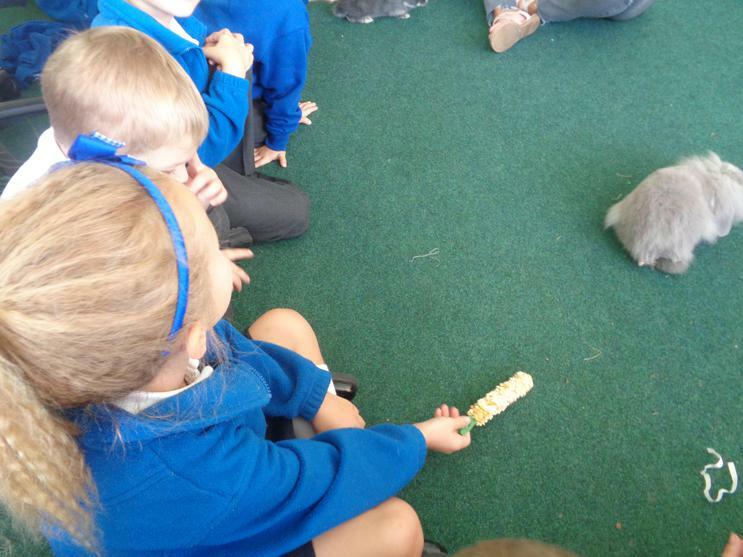 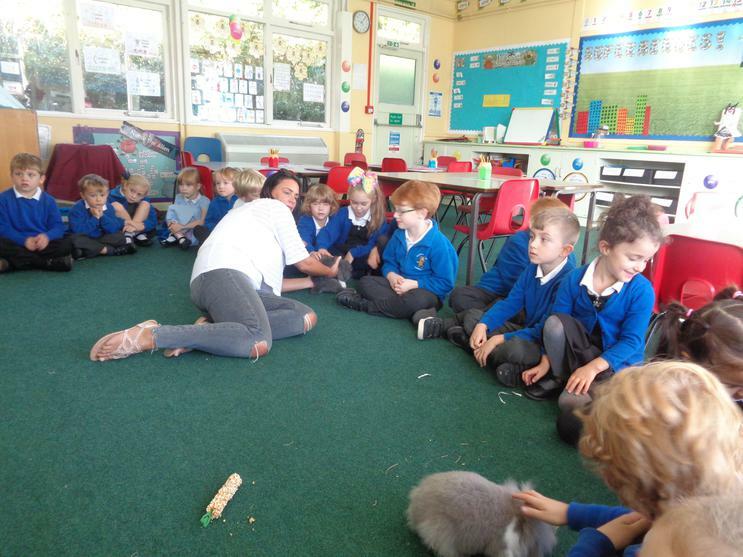 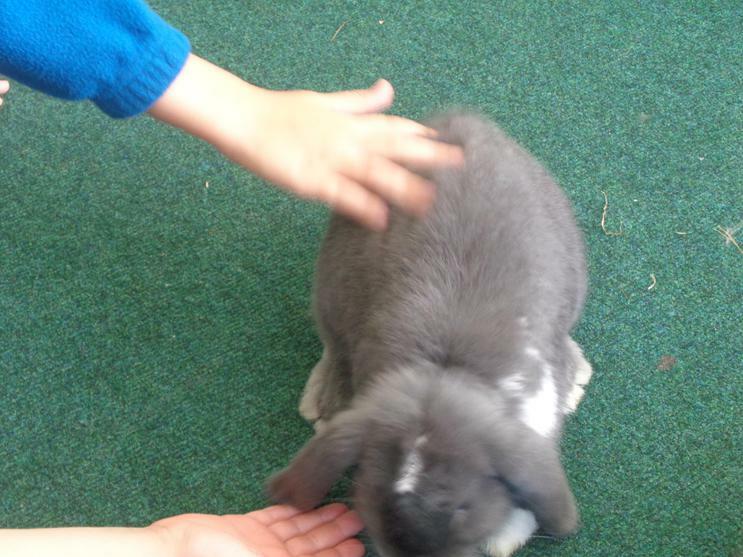 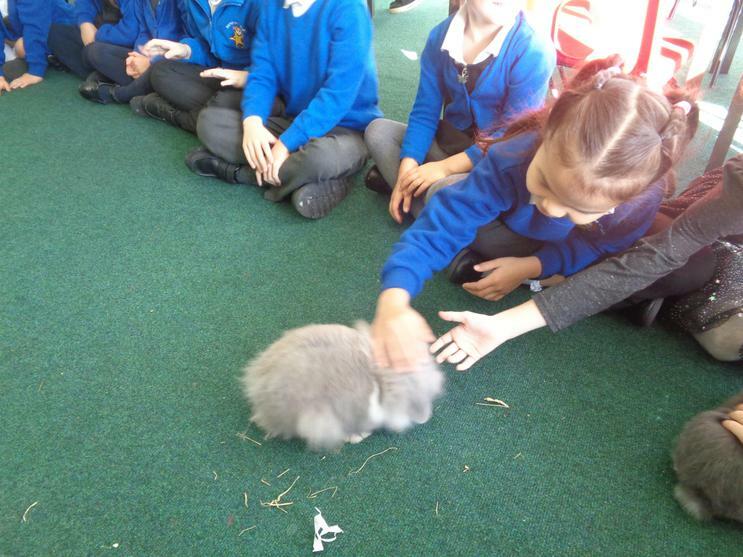 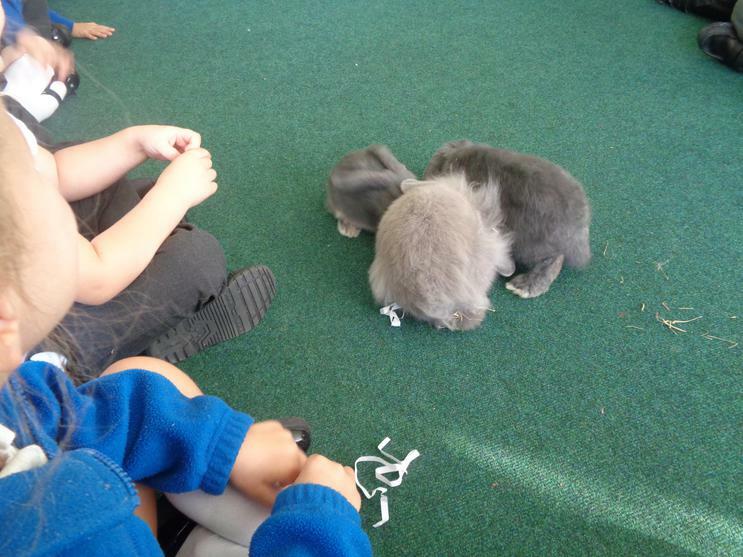 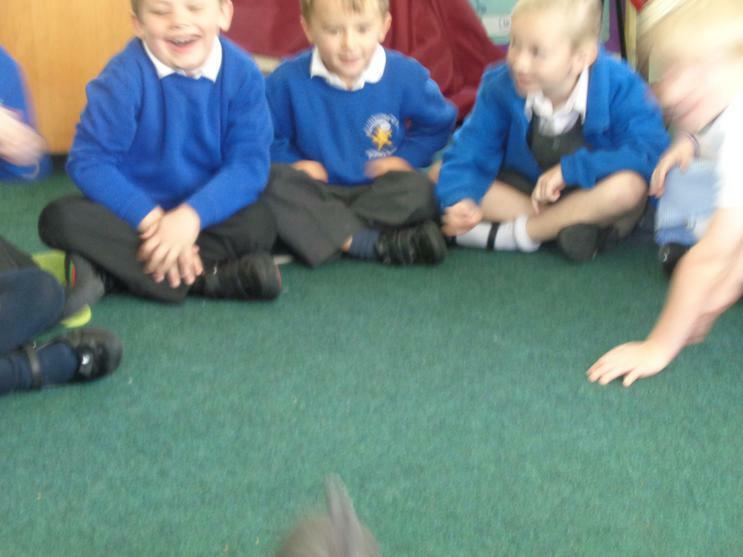 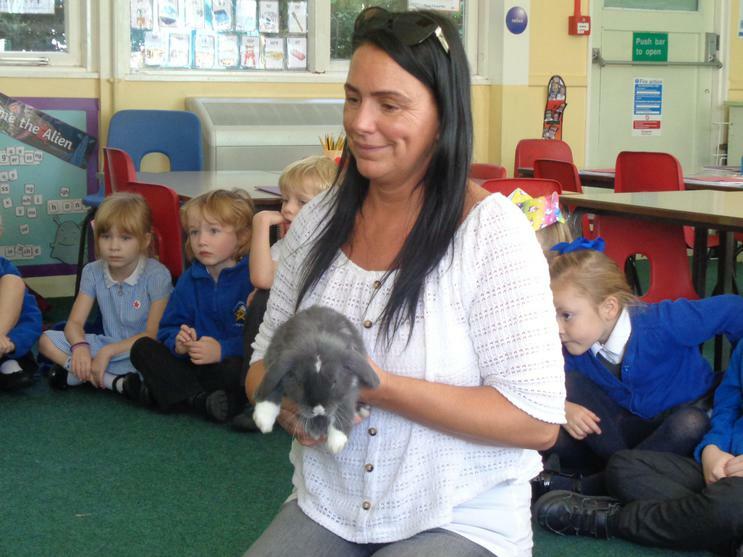 The children loved stroking them and Mrs Orme would now like a rabbit! 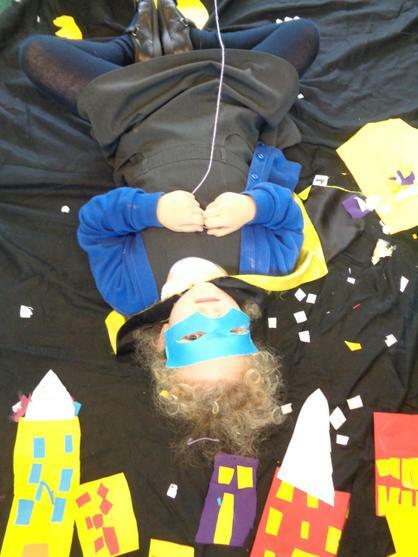 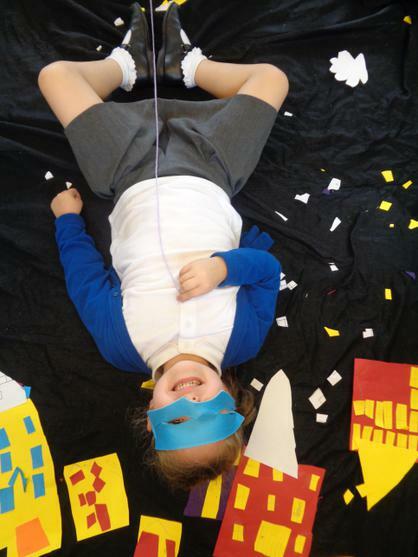 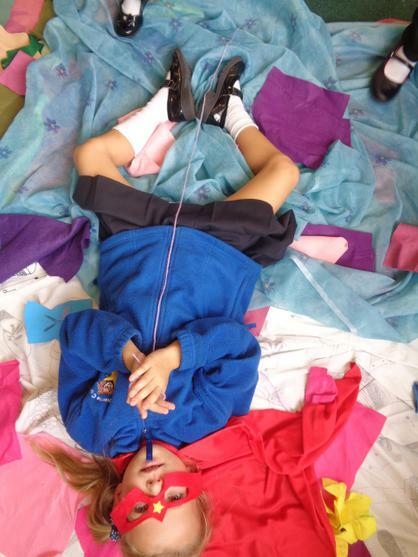 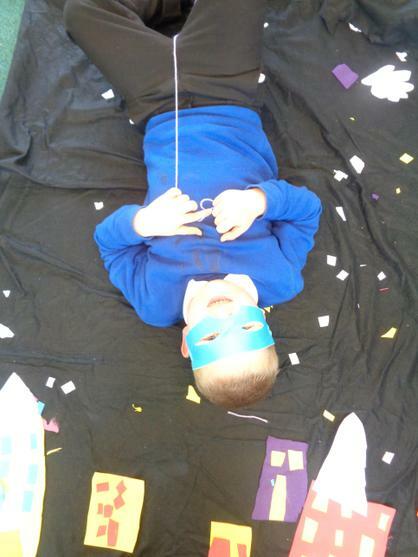 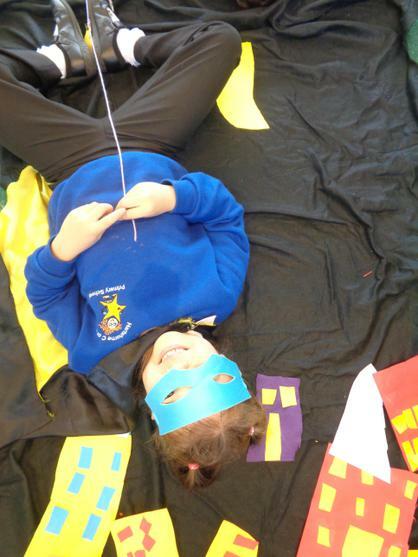 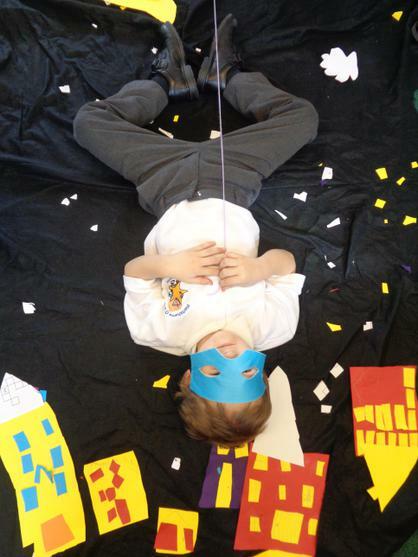 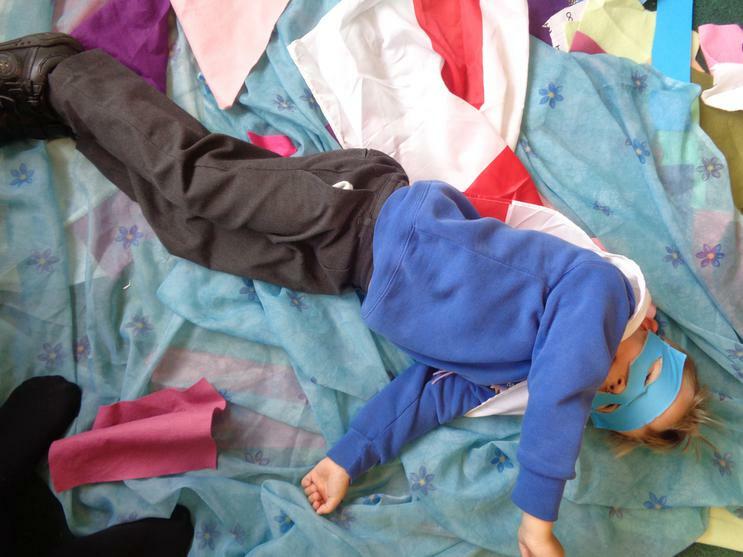 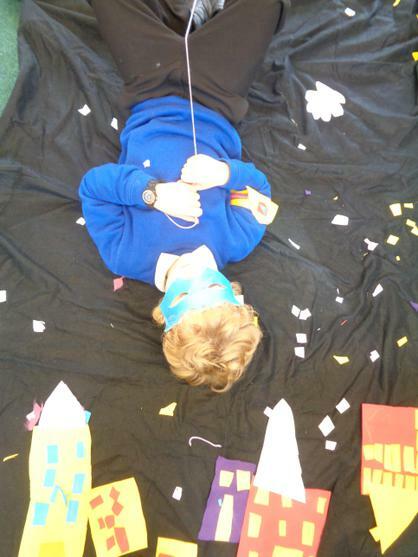 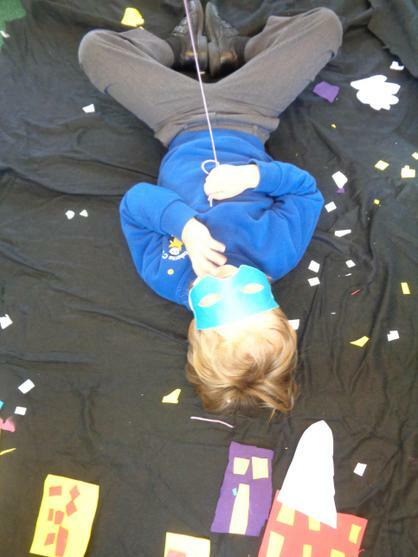 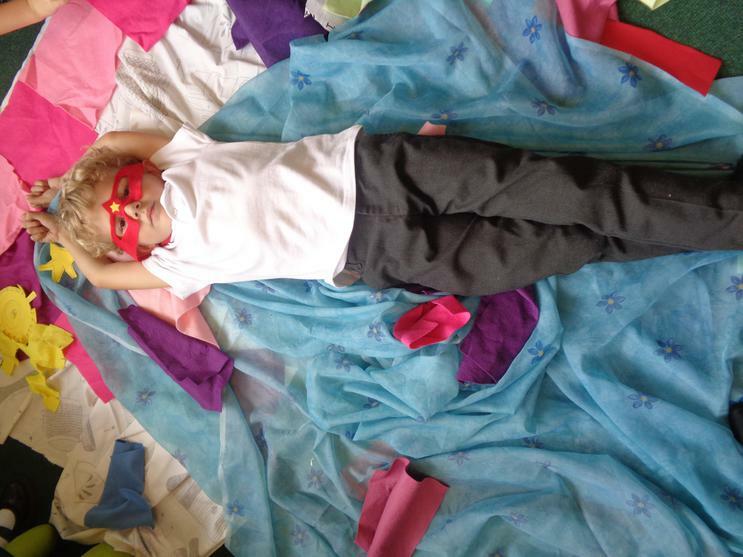 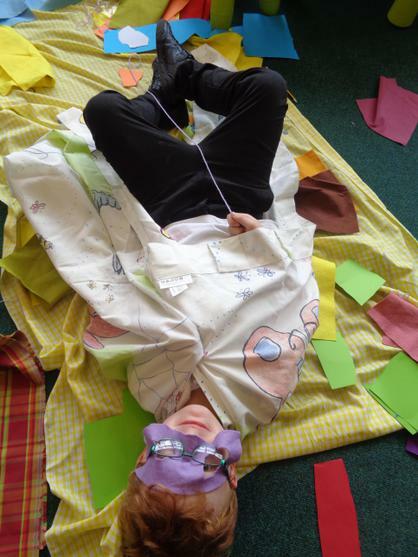 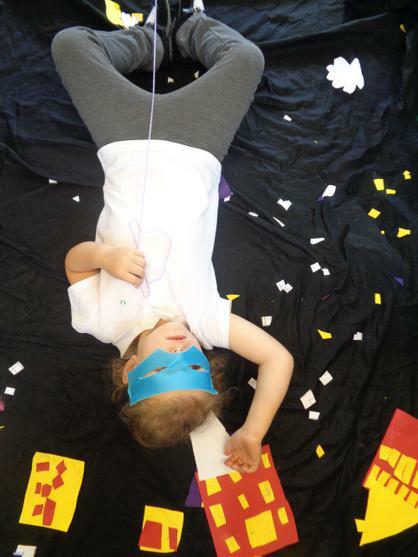 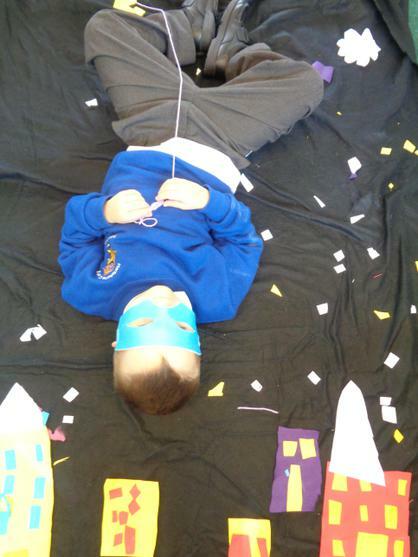 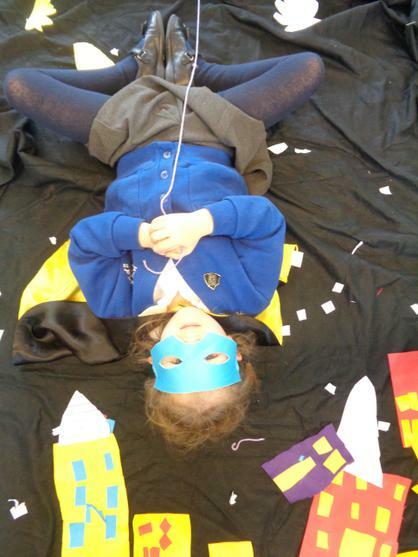 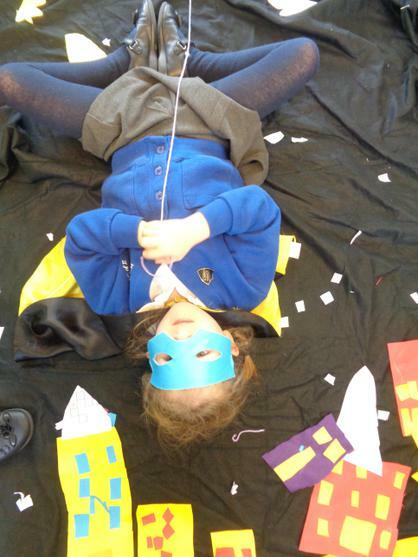 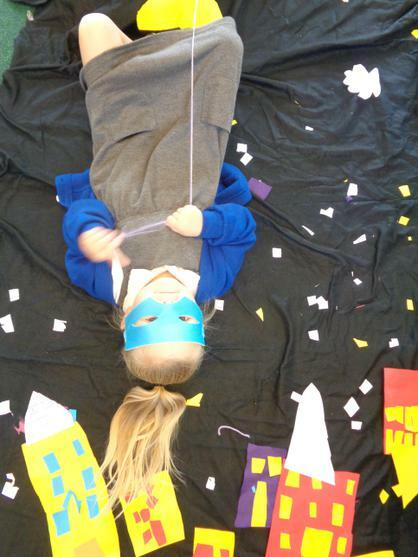 So far this half term, we have made scenery out of large pieces of material, paper, card and wool. 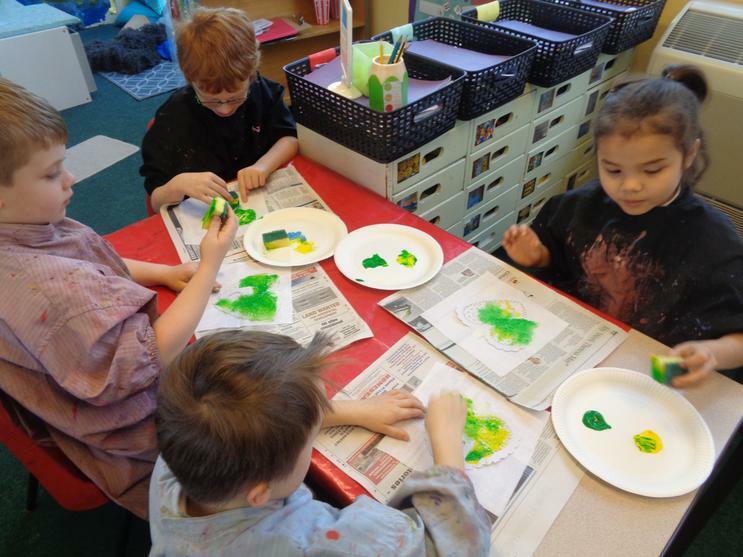 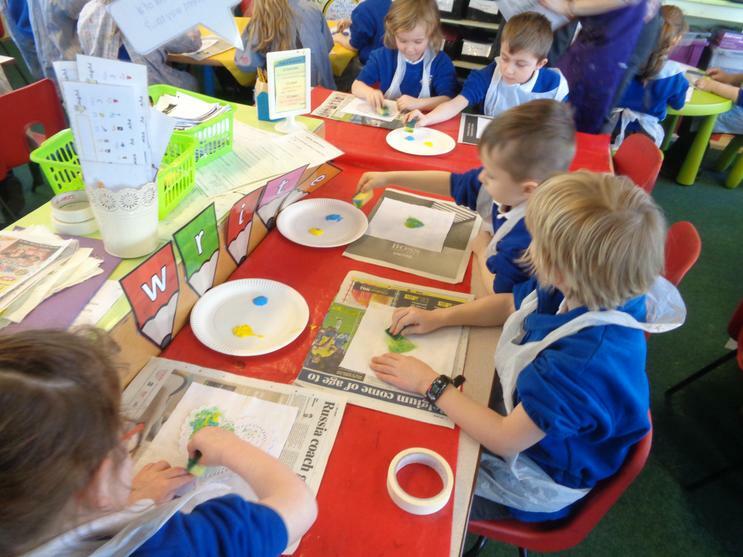 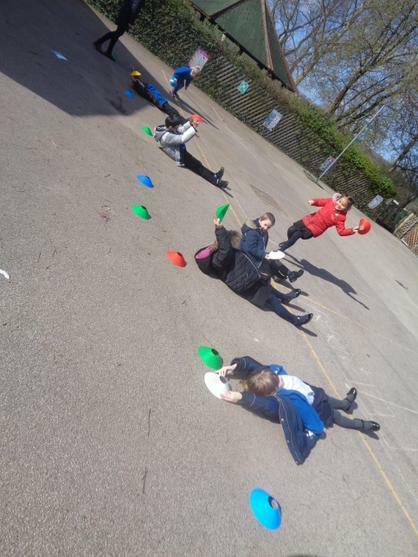 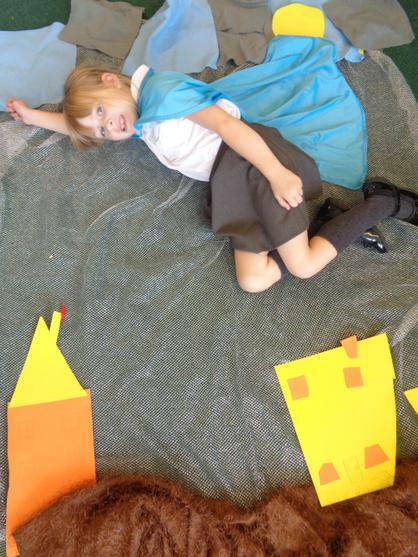 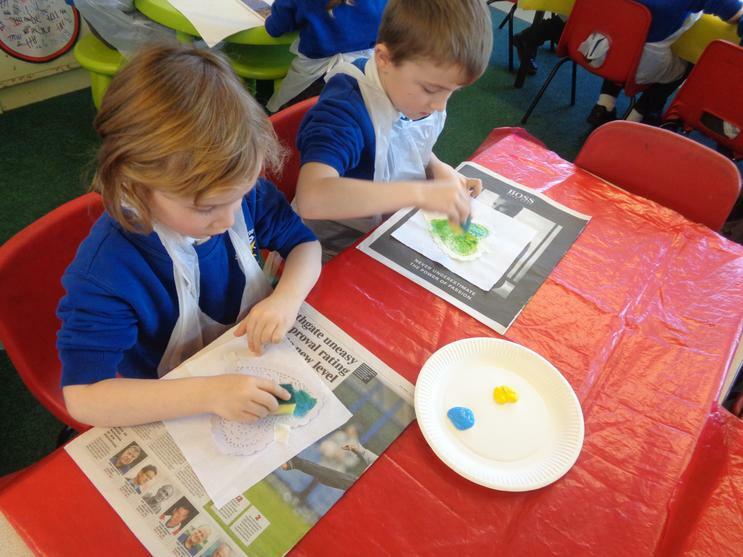 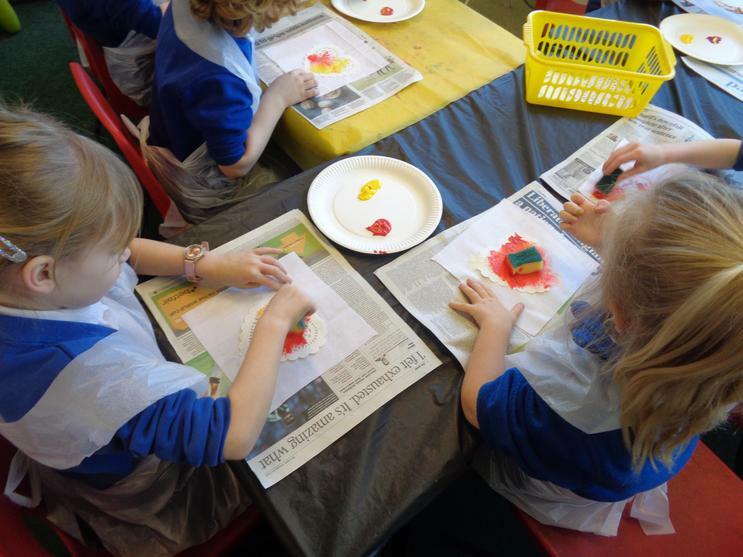 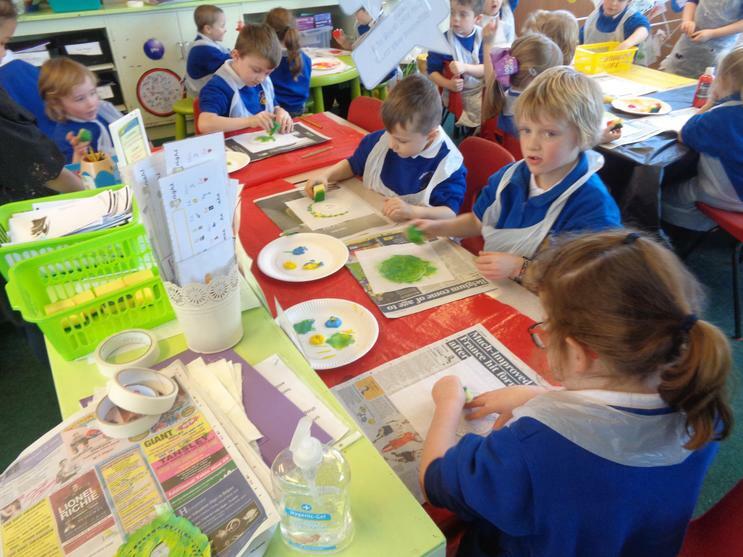 We had lots of fun creating streets, forests and busy places. 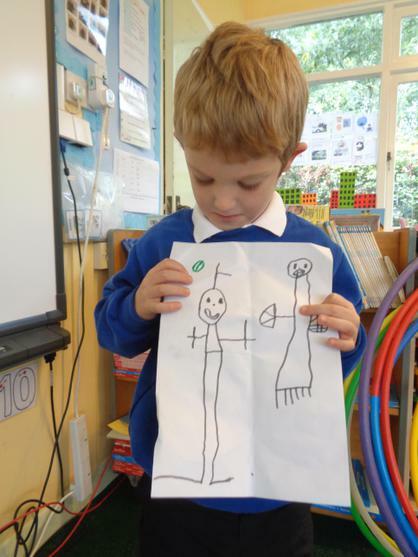 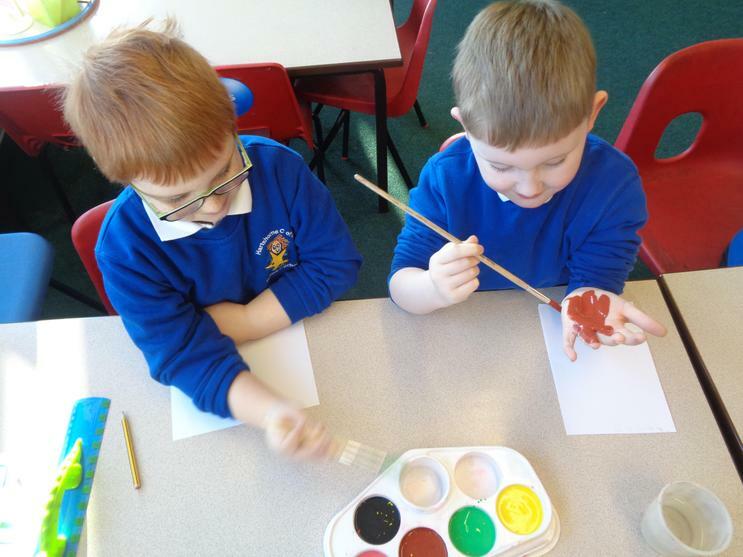 We will be using our pictures in pour writing next week. 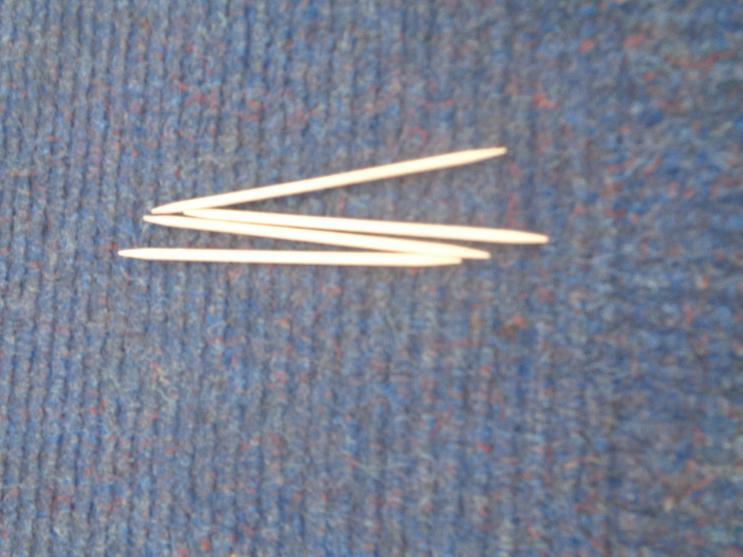 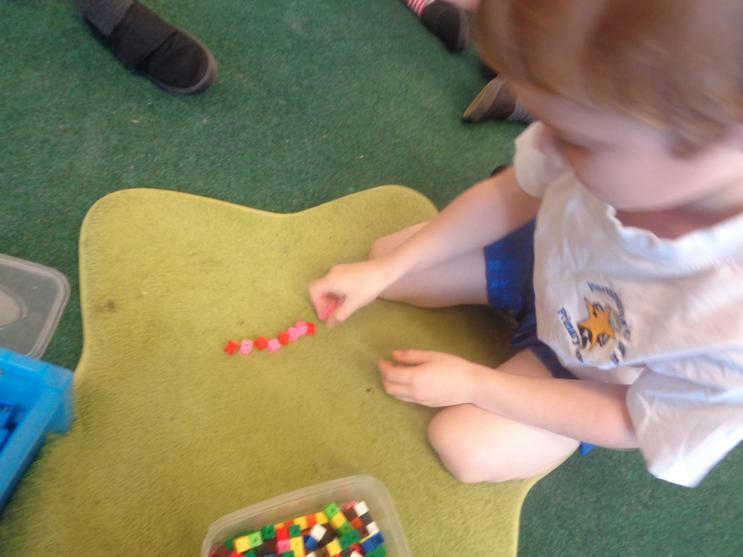 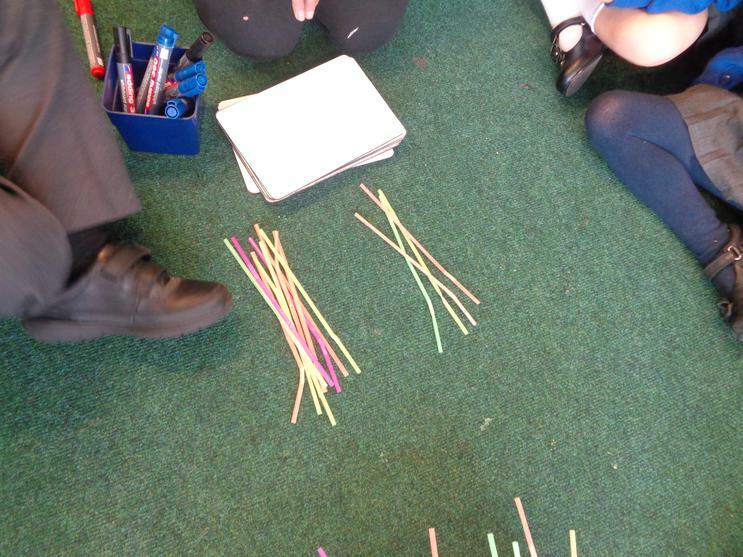 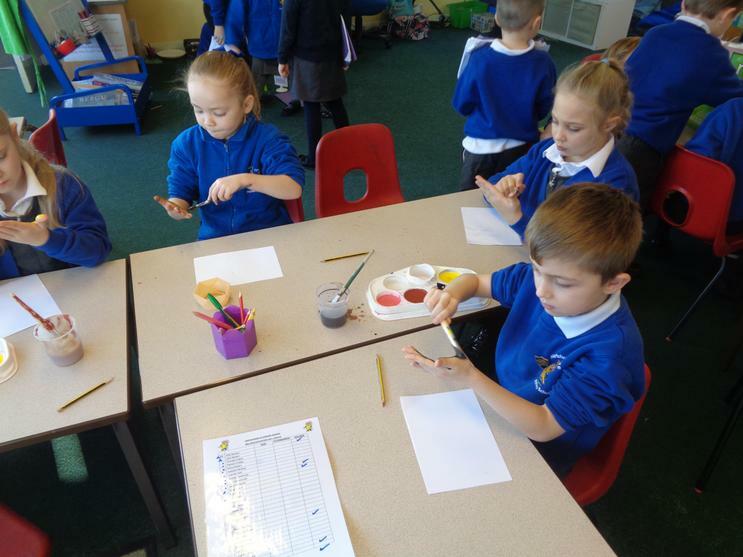 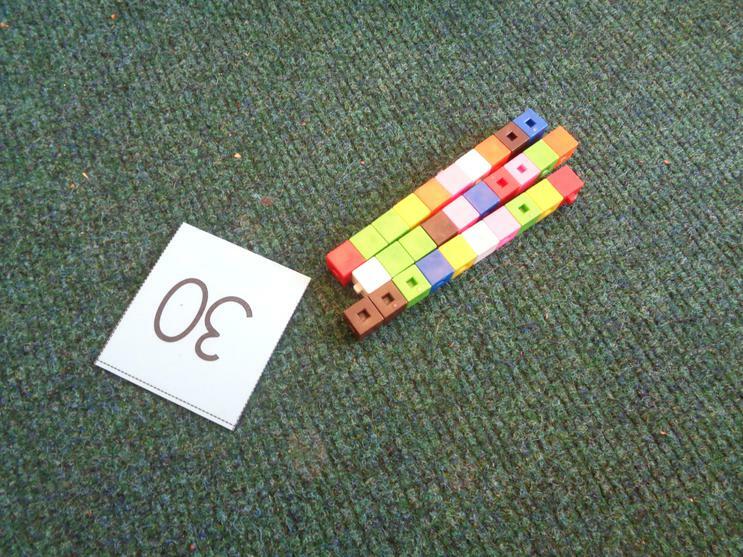 This week we have been learning to make numbers, identifying the tens and ones, using a range of different equipment such as straws and cubes. 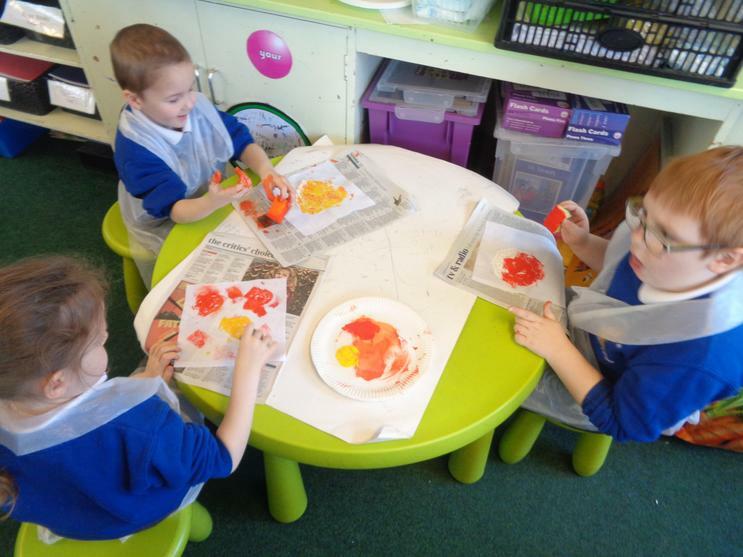 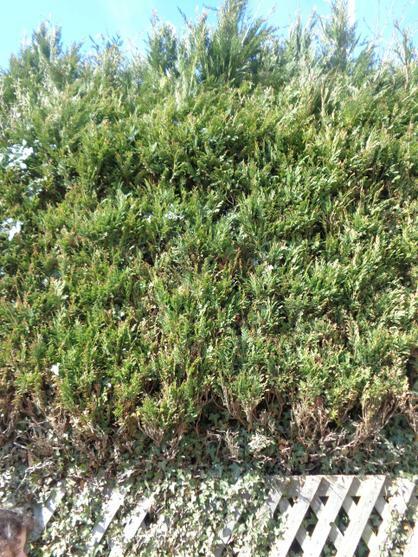 Here are a few pictures of our work. 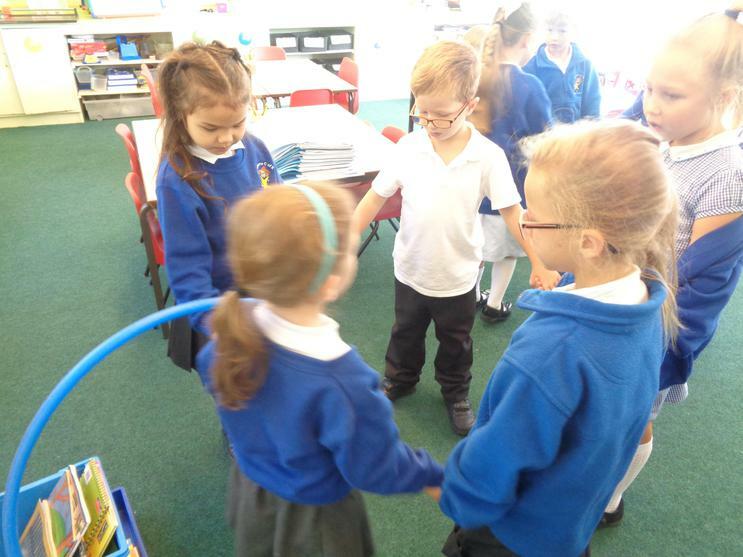 To start off the year we have played different games to help get to know each other. 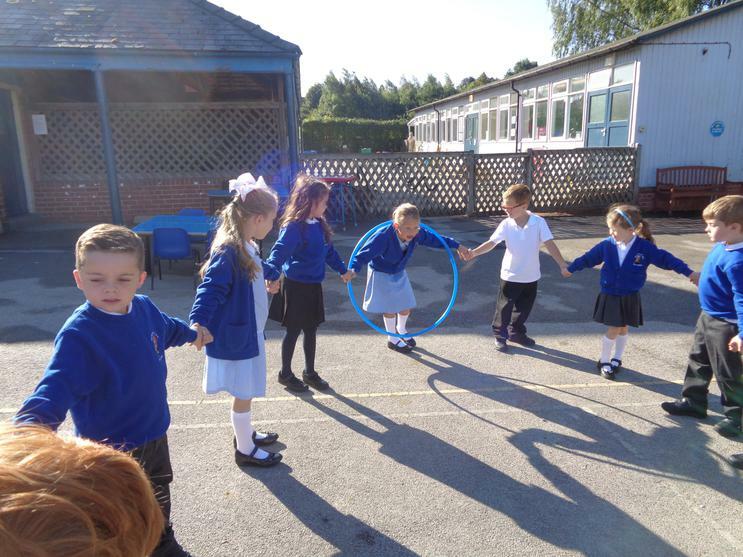 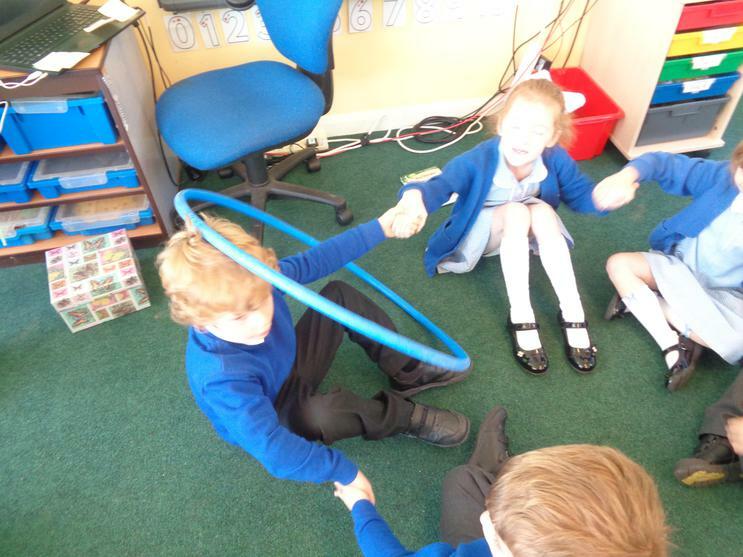 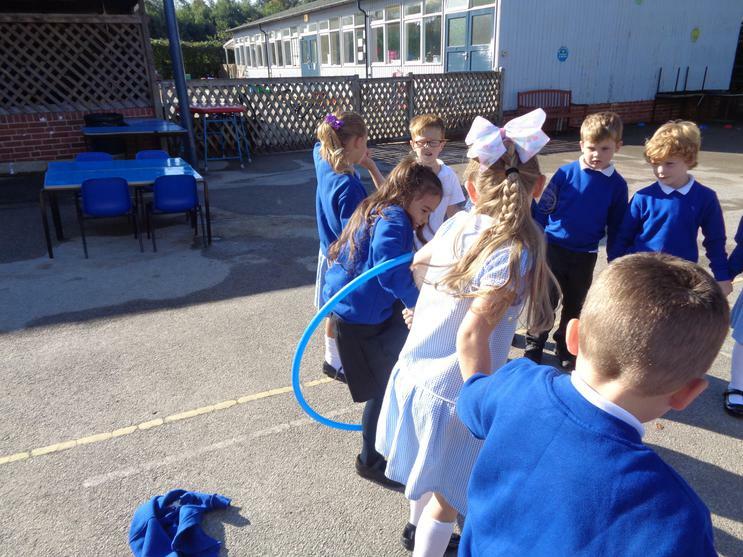 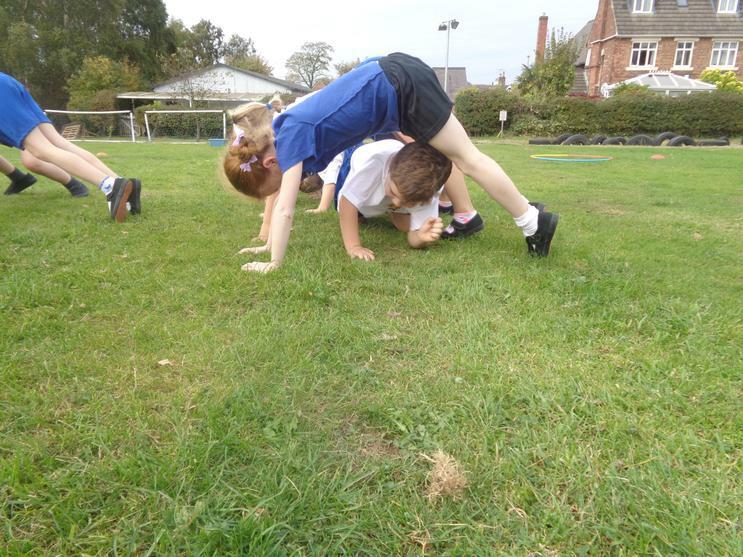 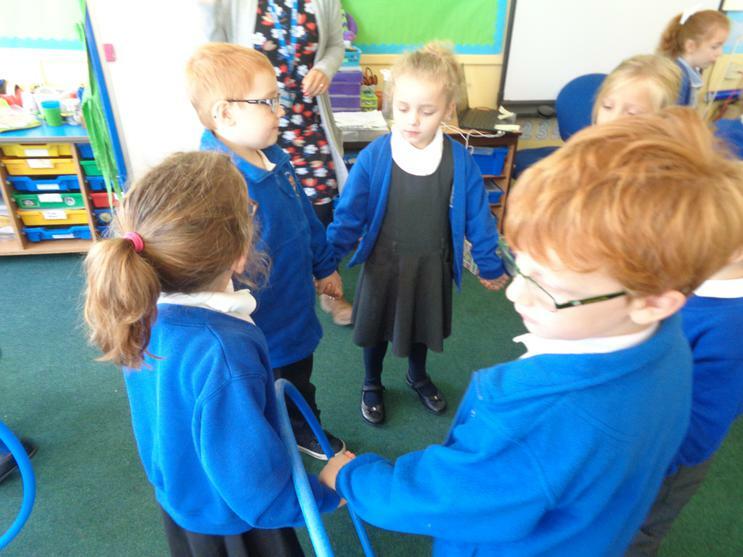 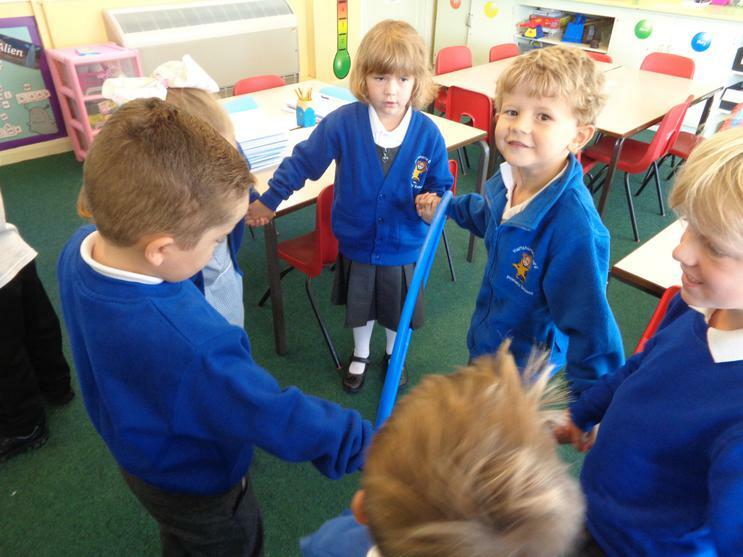 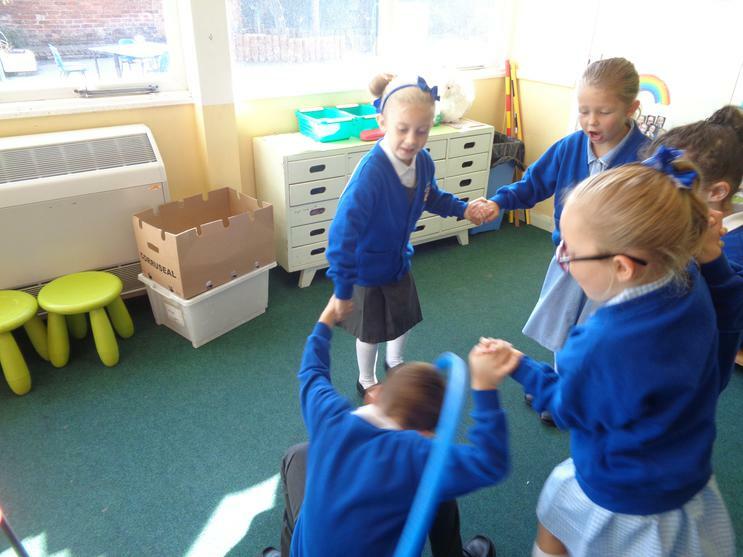 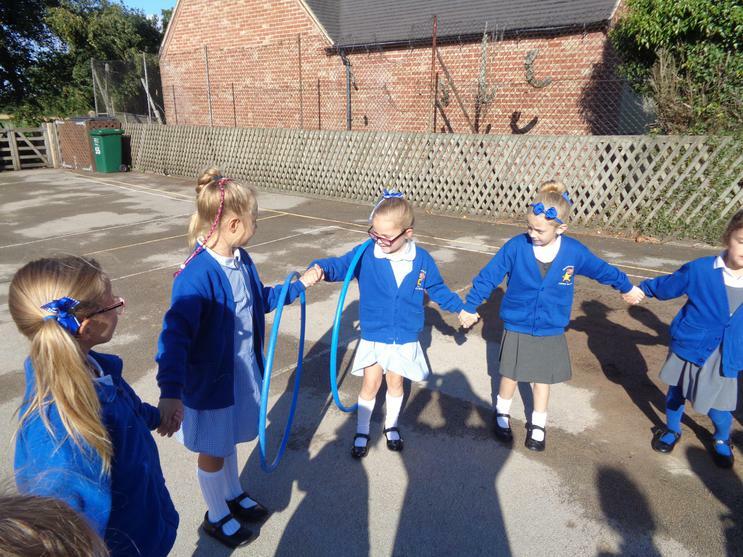 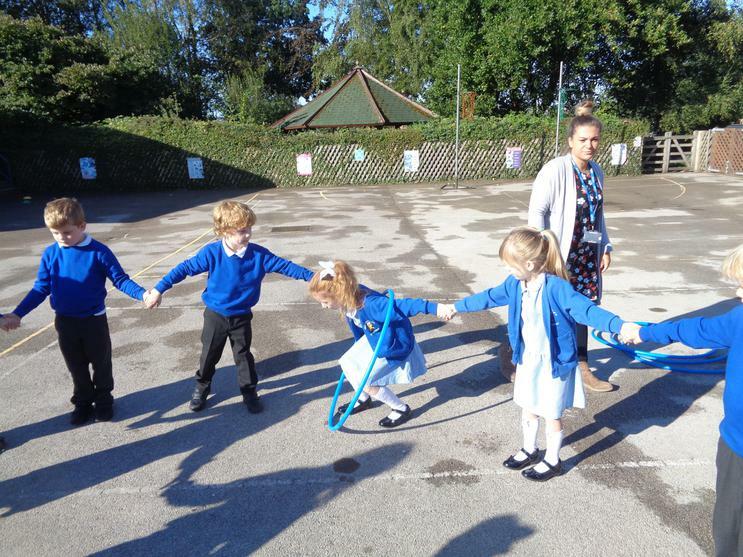 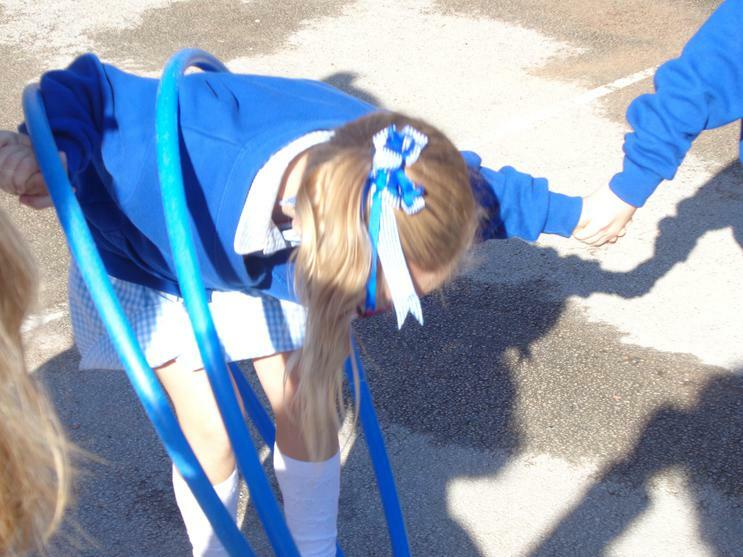 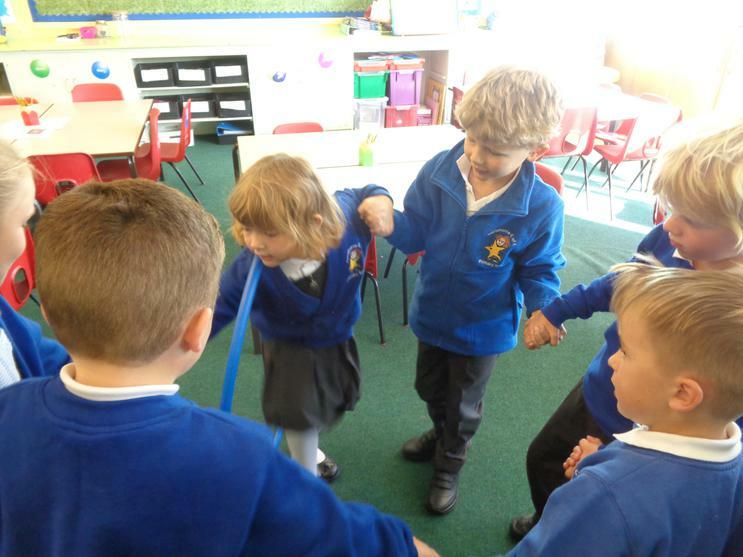 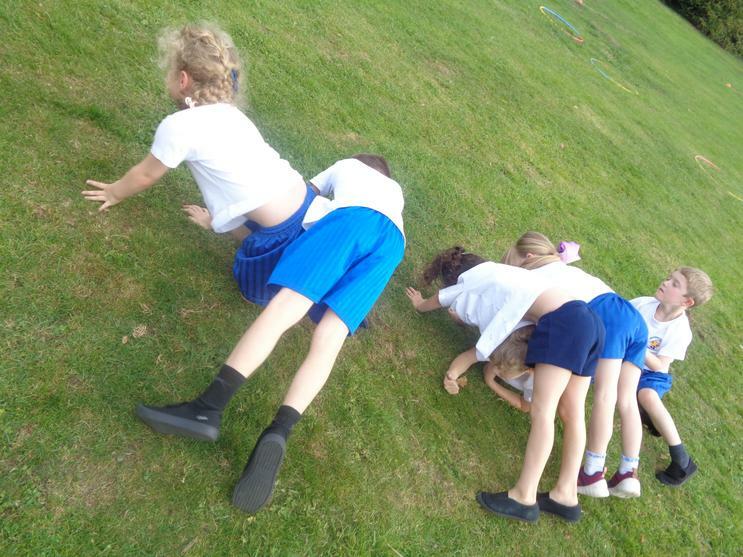 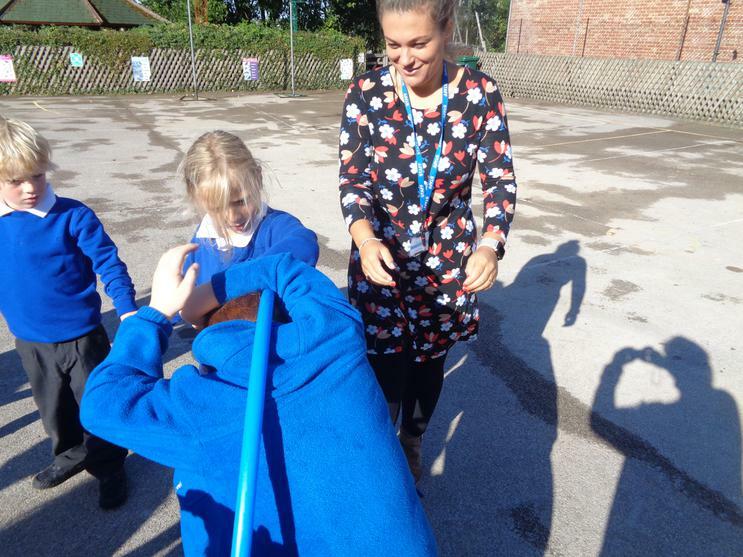 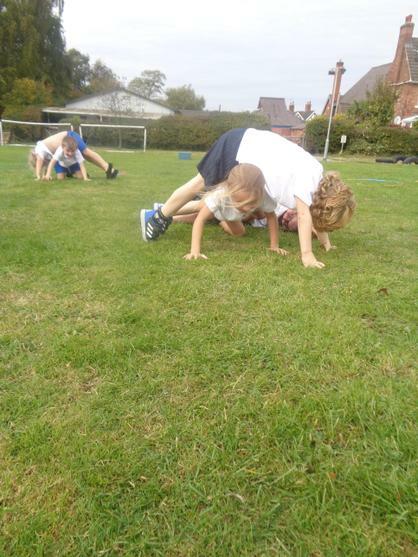 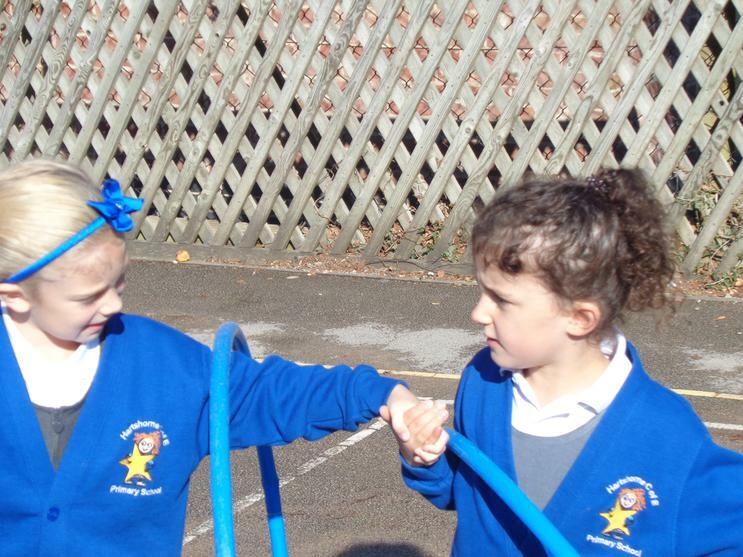 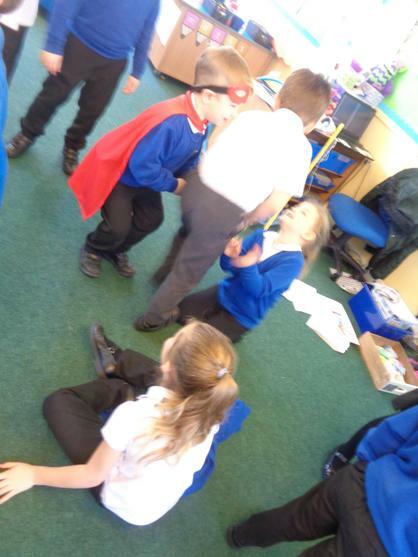 We have learnt to keep trying when tasks become tricky, asking our peers for help and working as a team.